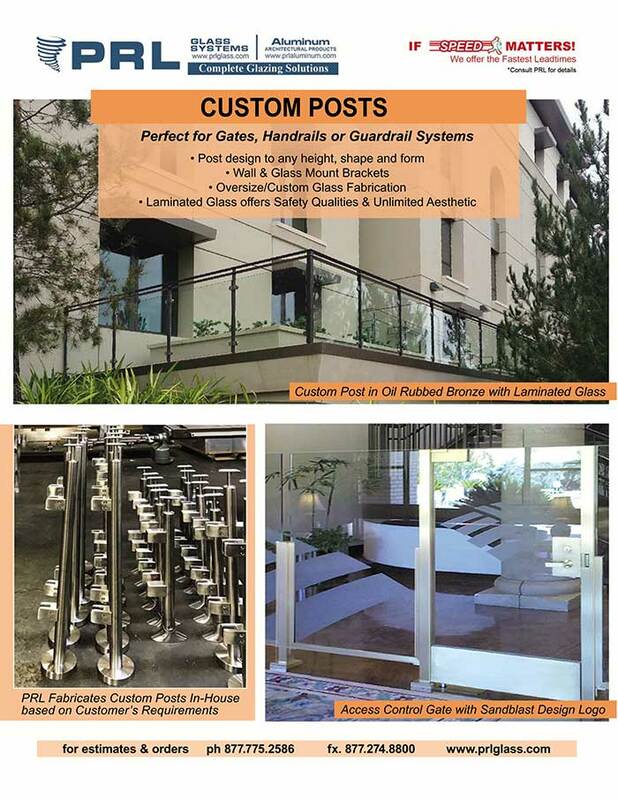 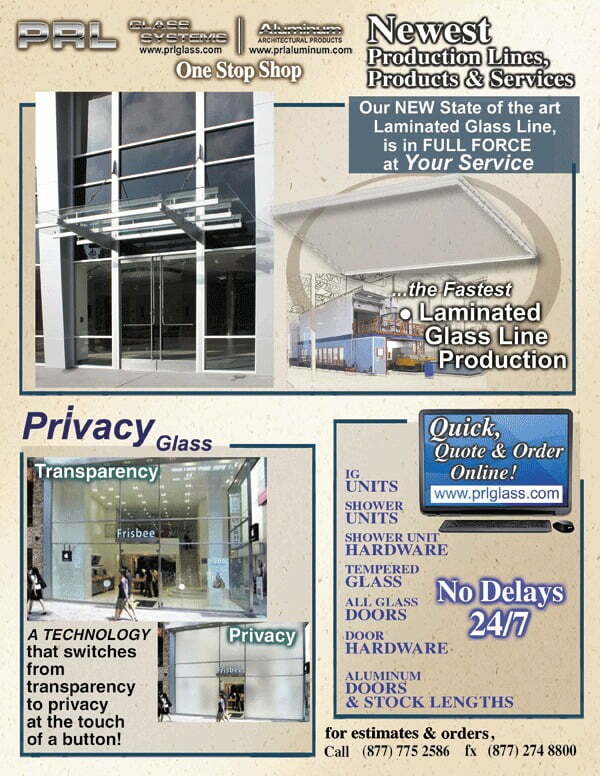 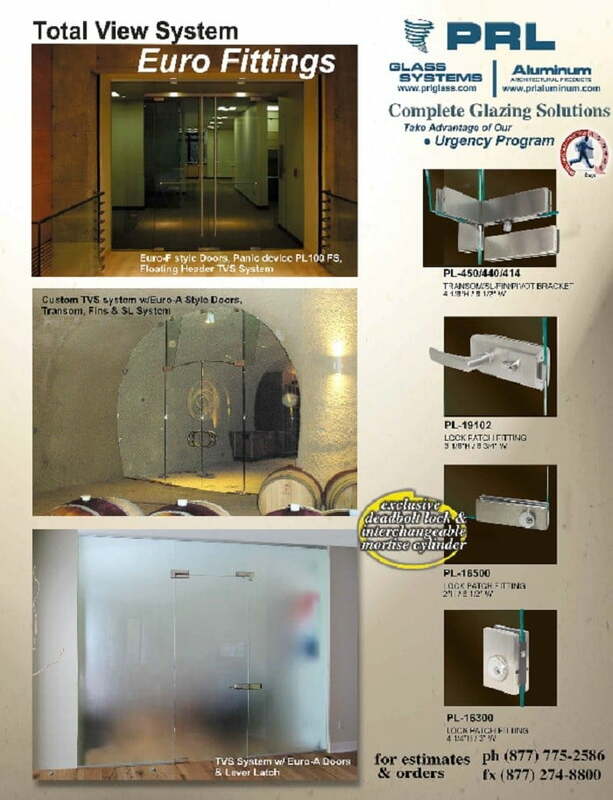 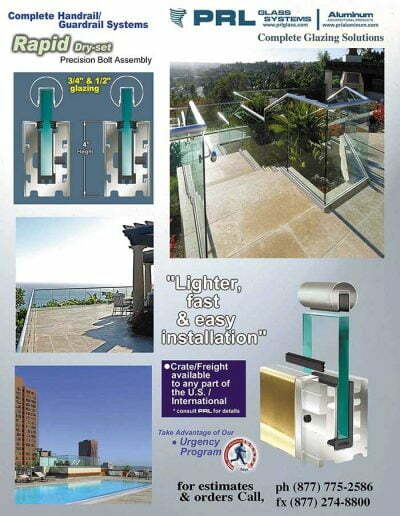 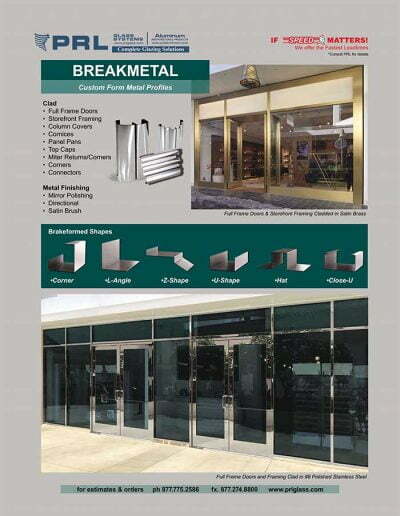 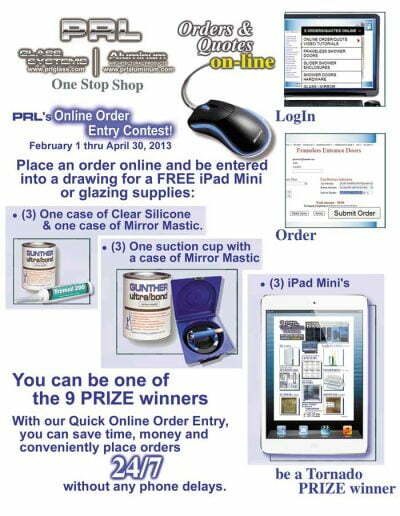 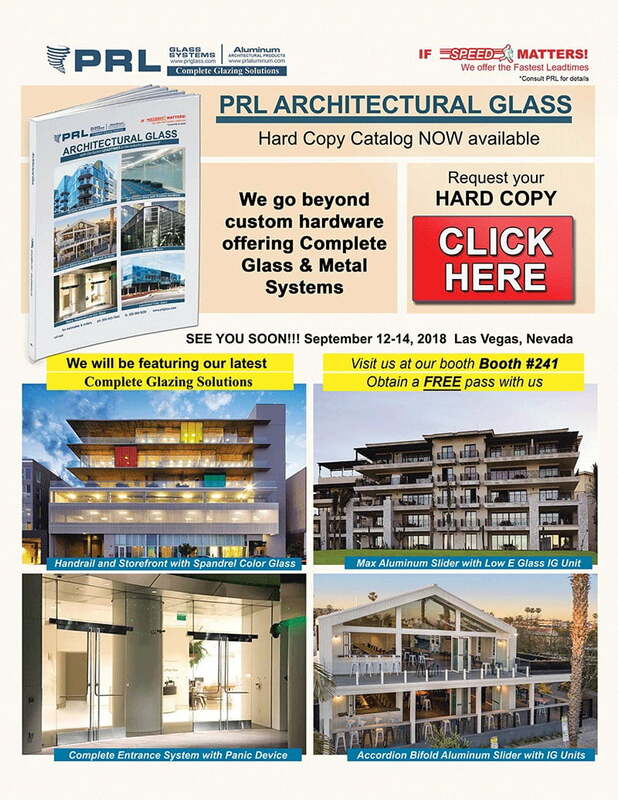 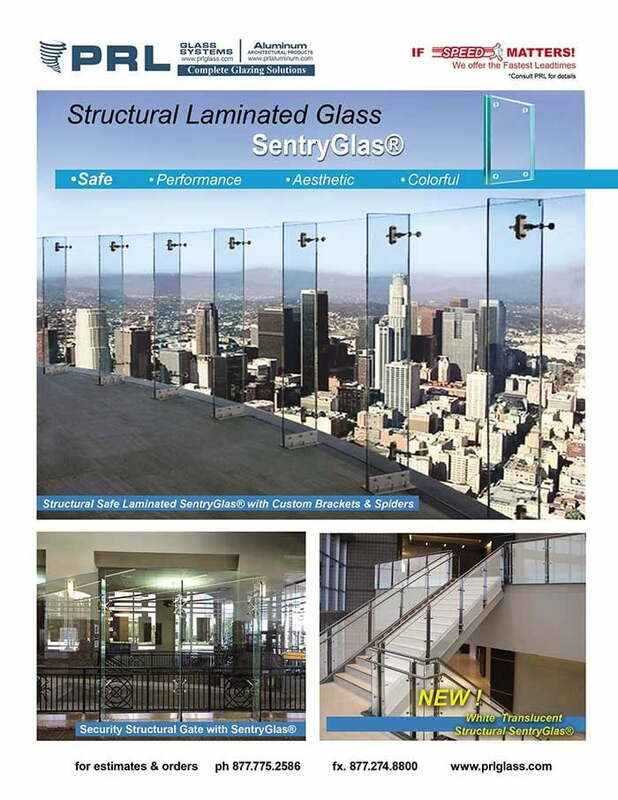 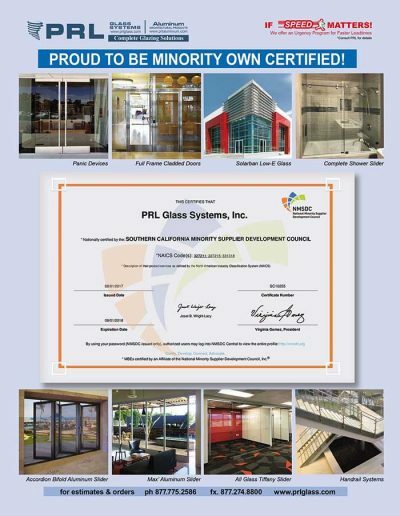 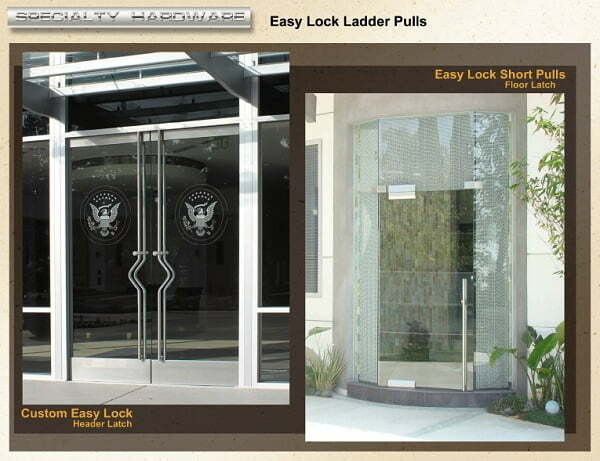 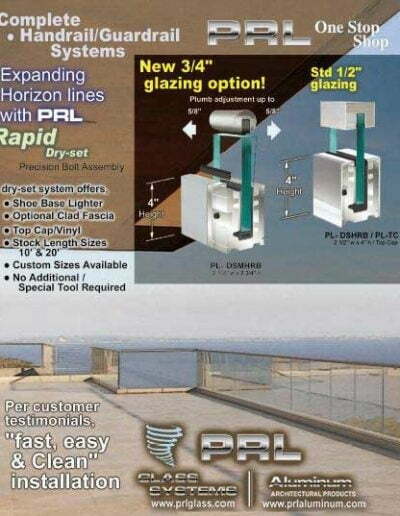 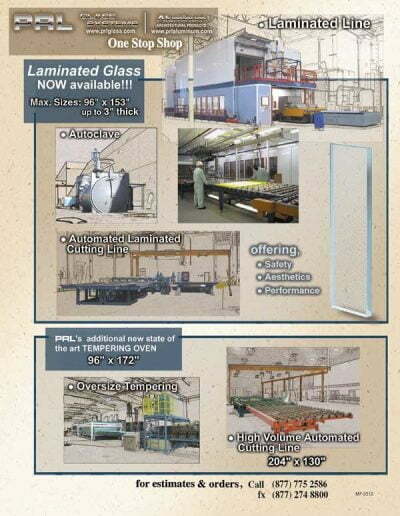 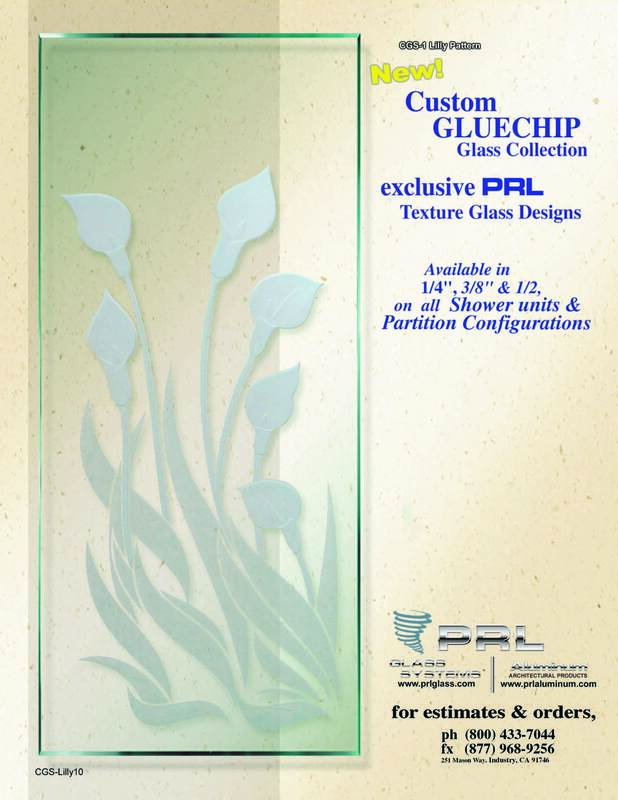 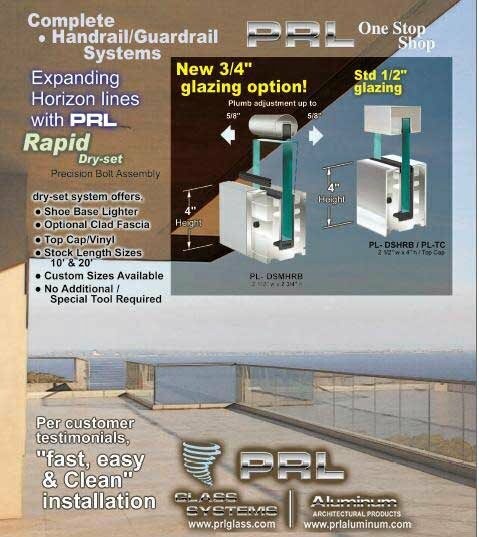 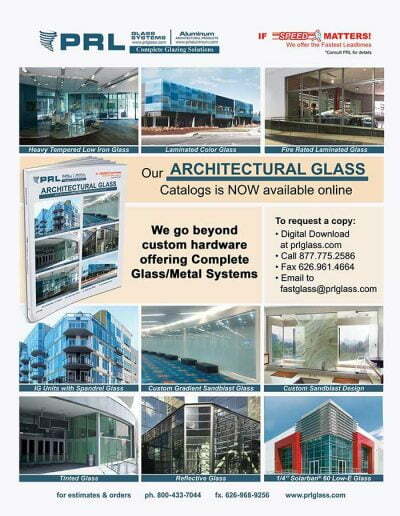 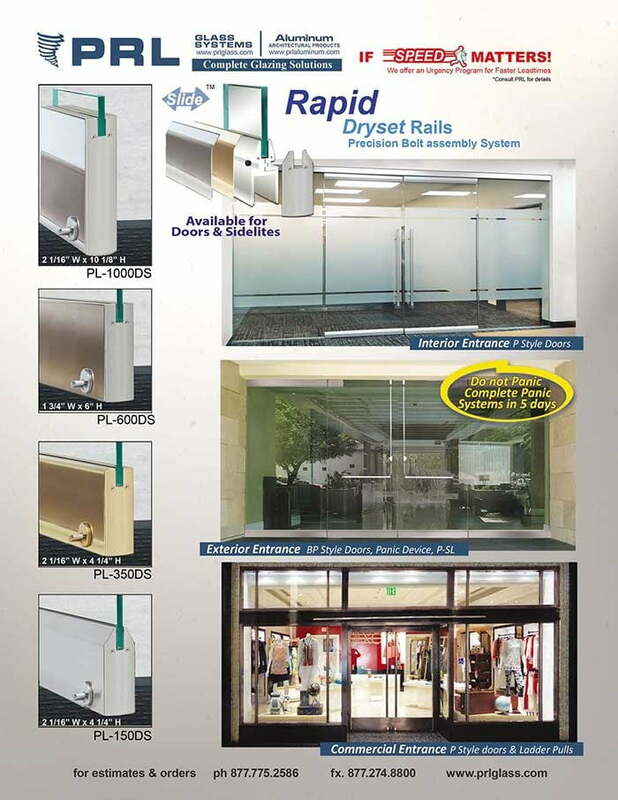 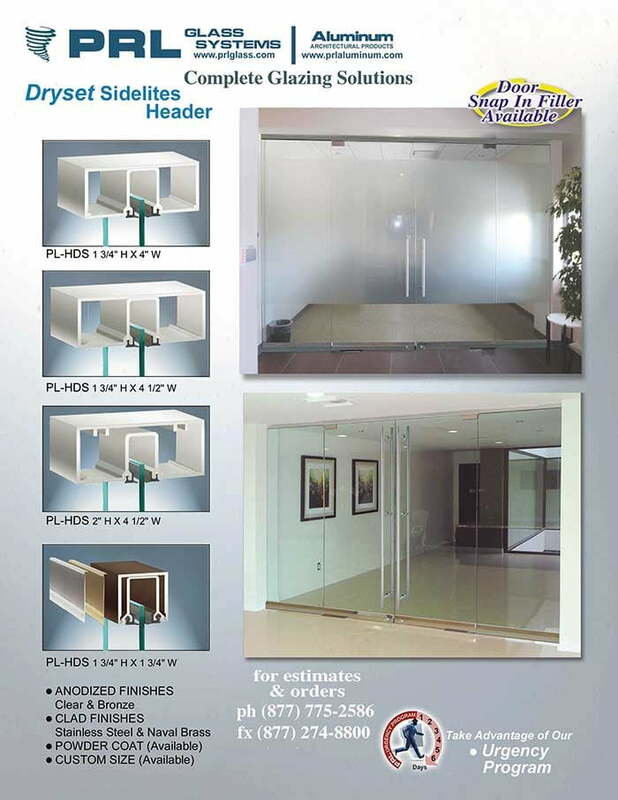 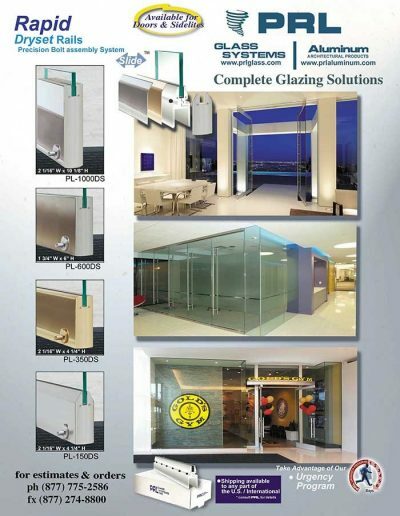 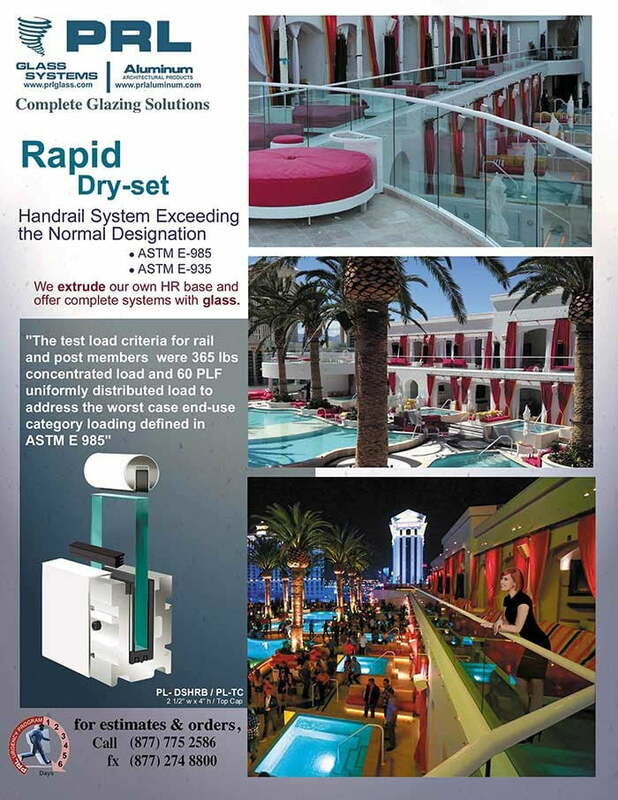 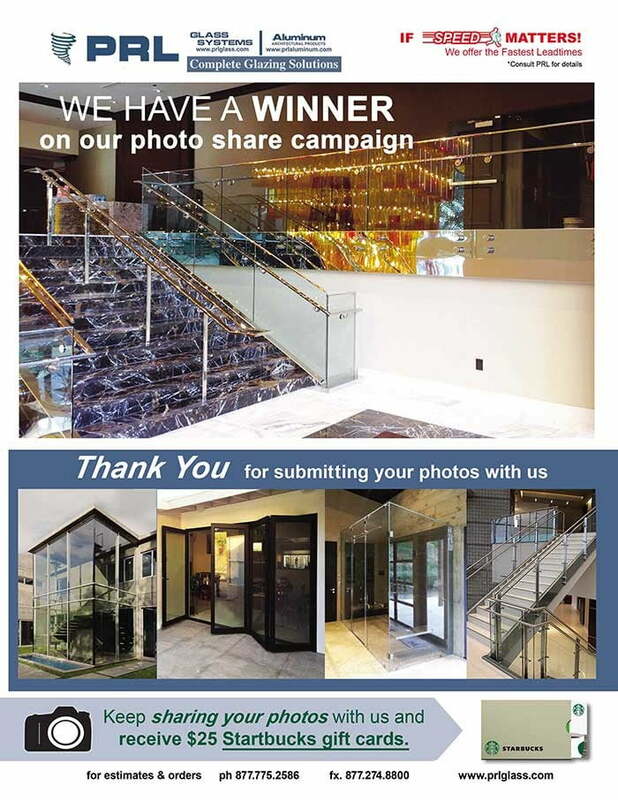 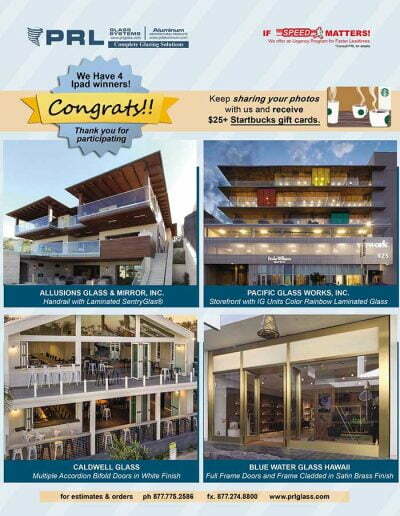 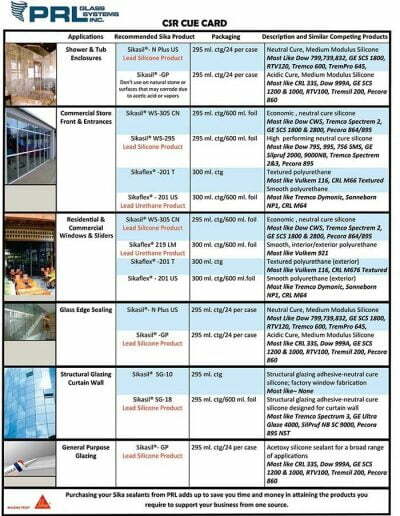 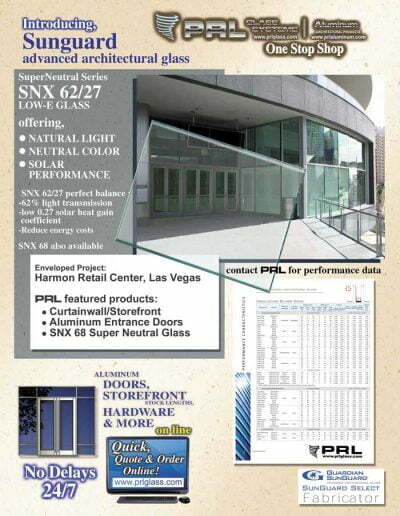 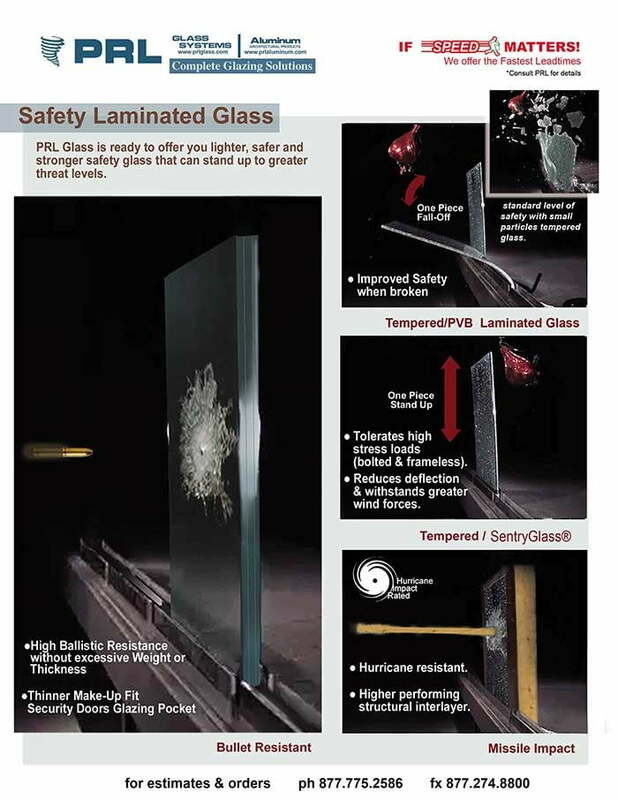 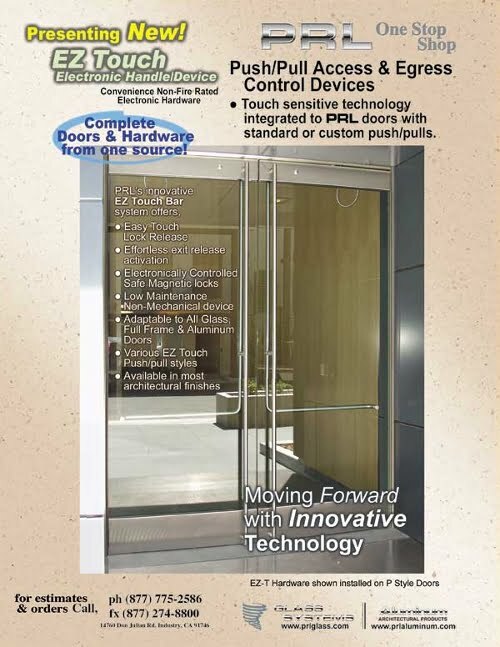 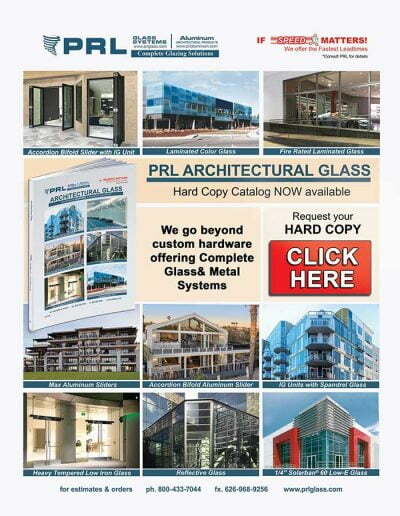 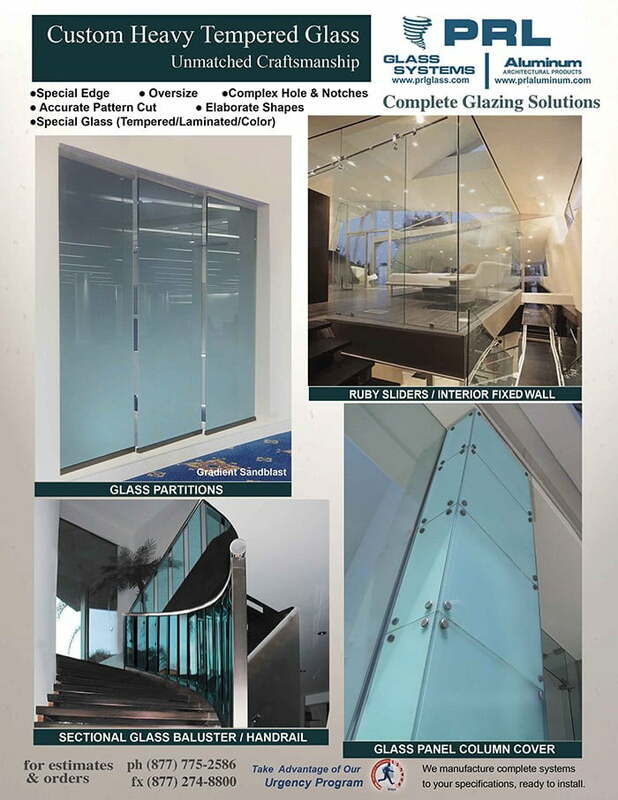 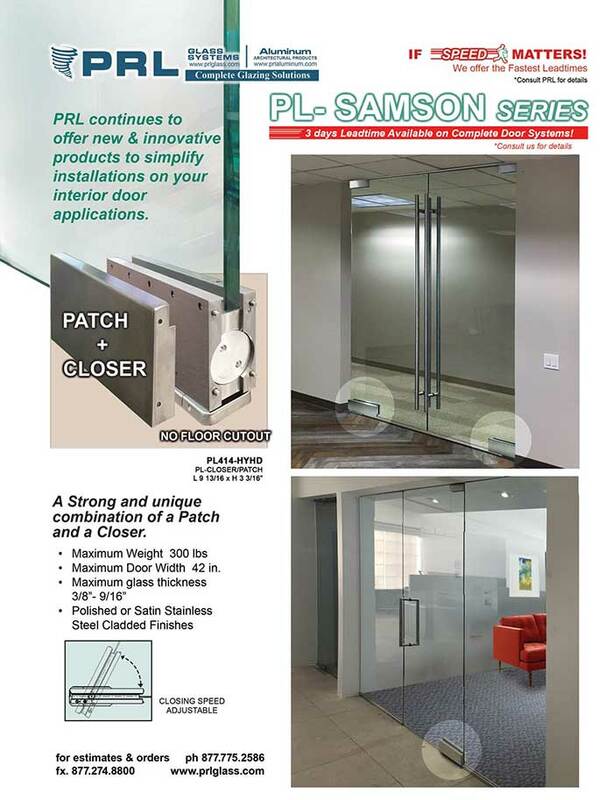 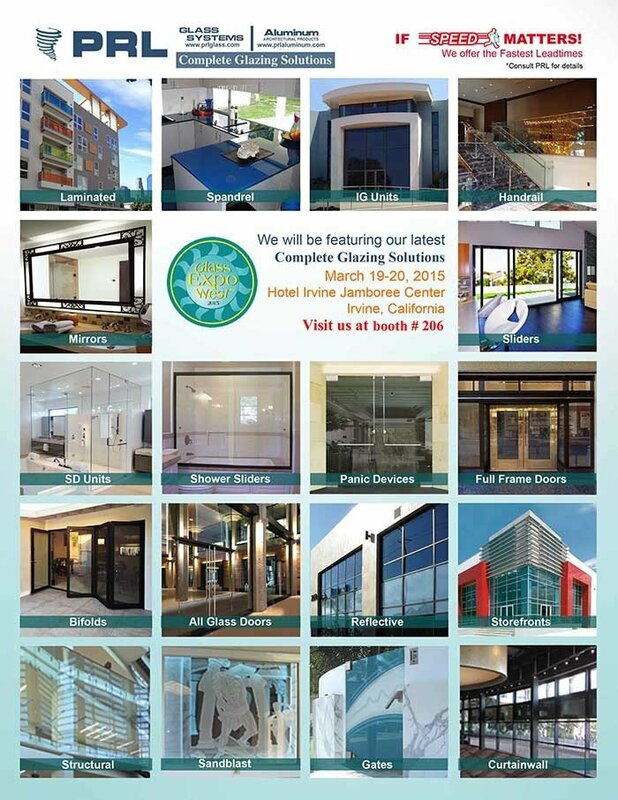 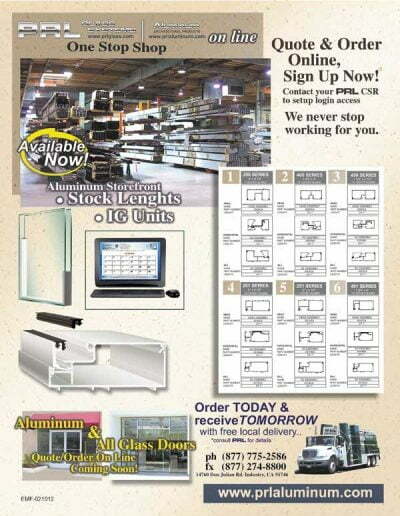 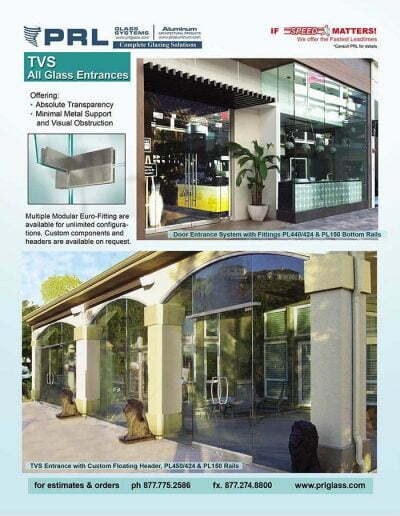 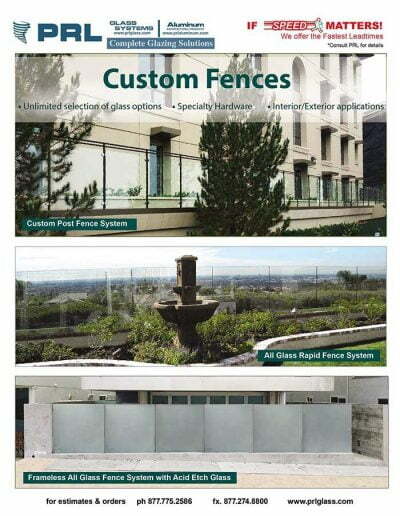 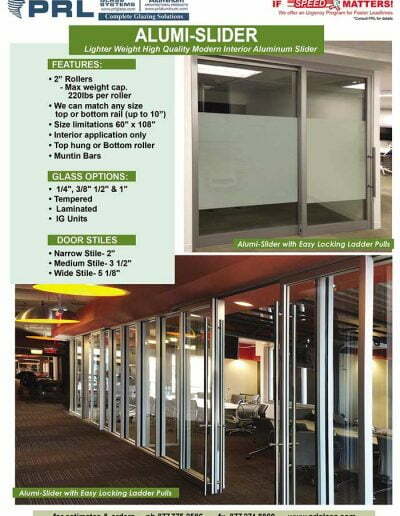 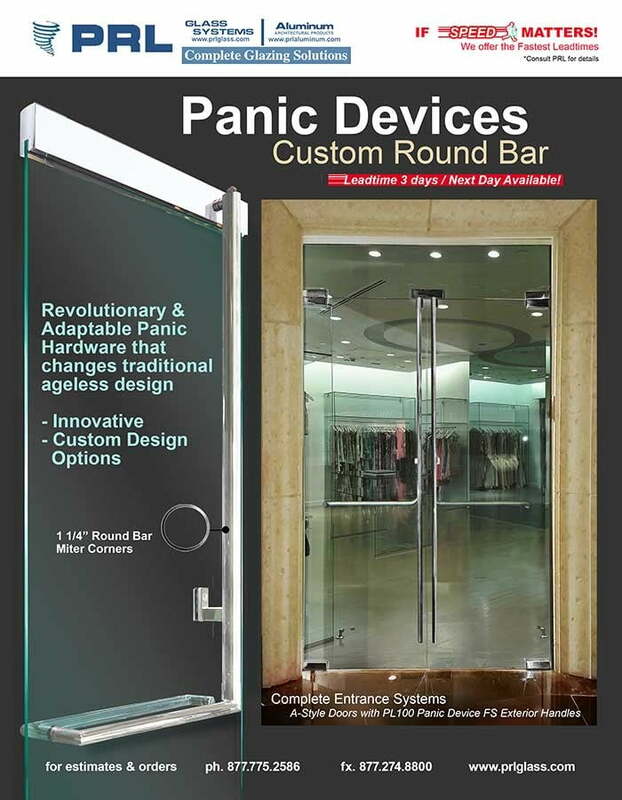 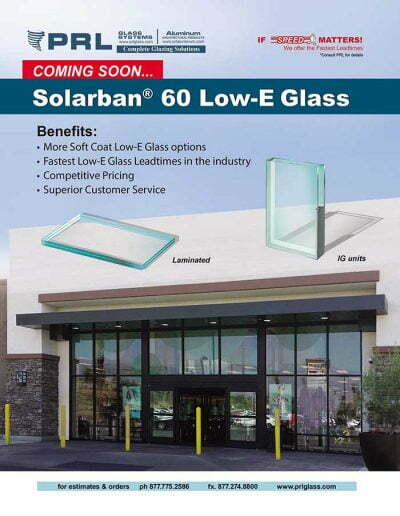 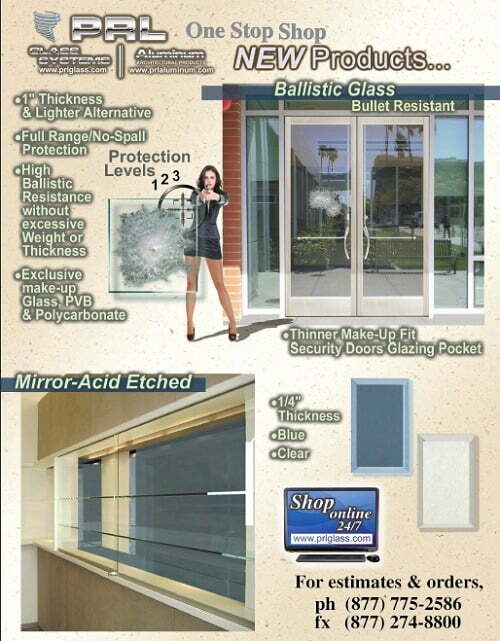 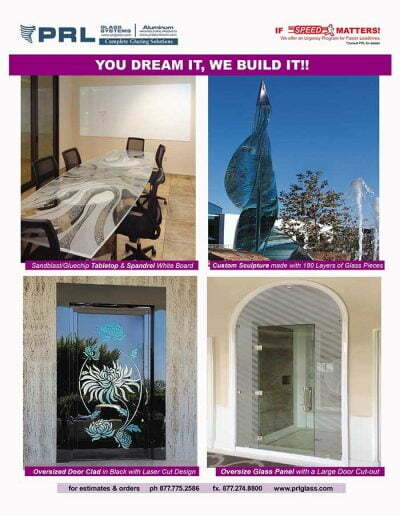 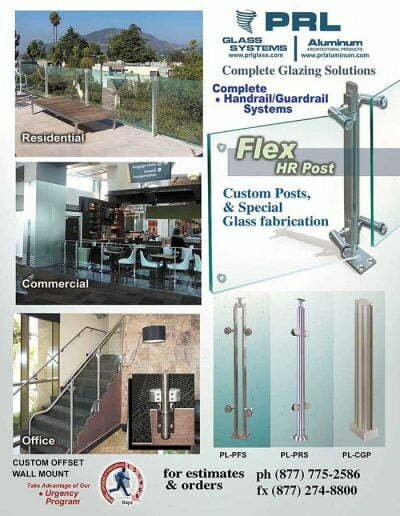 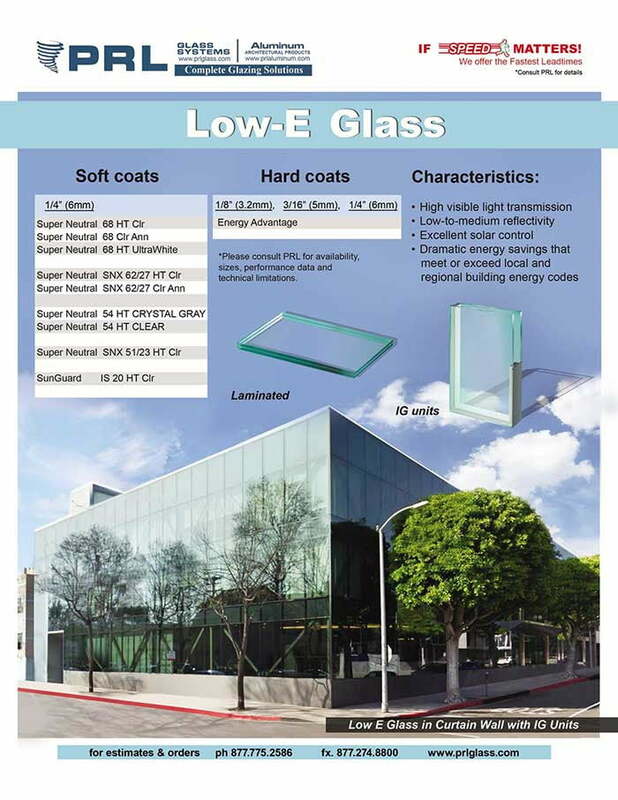 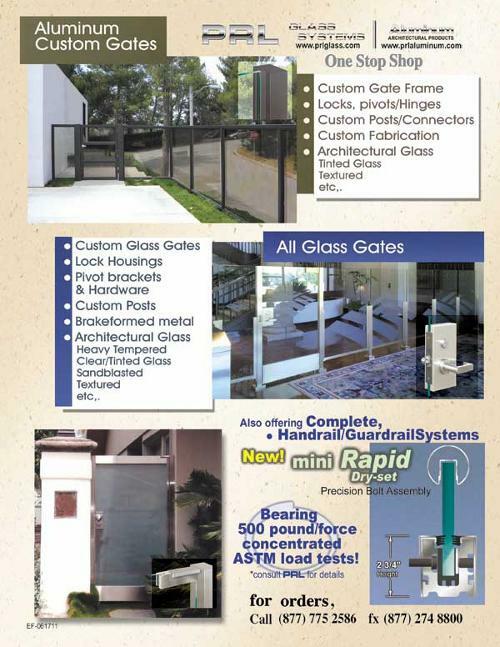 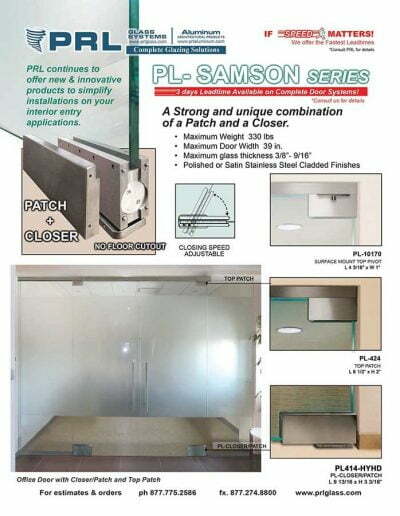 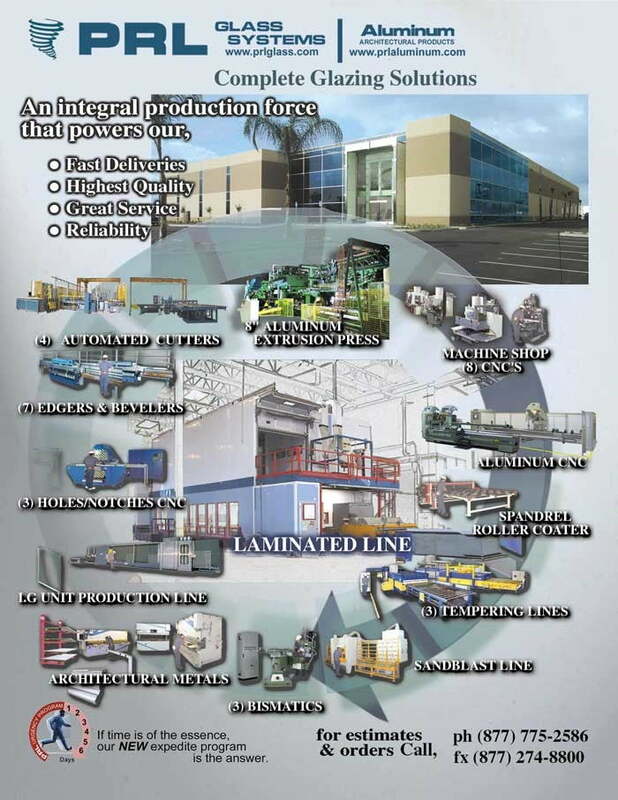 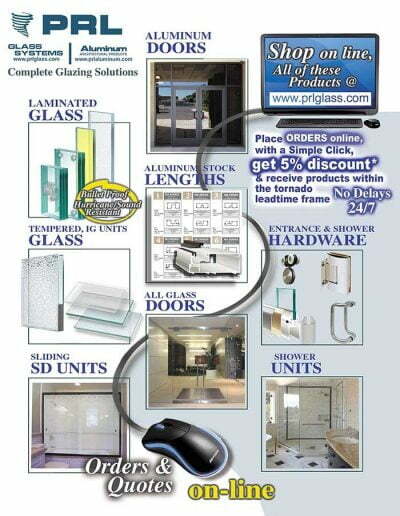 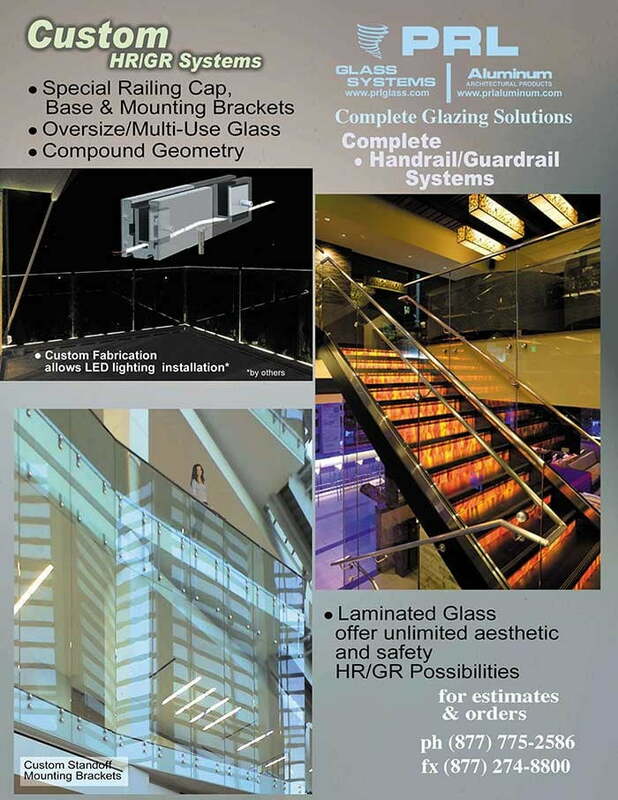 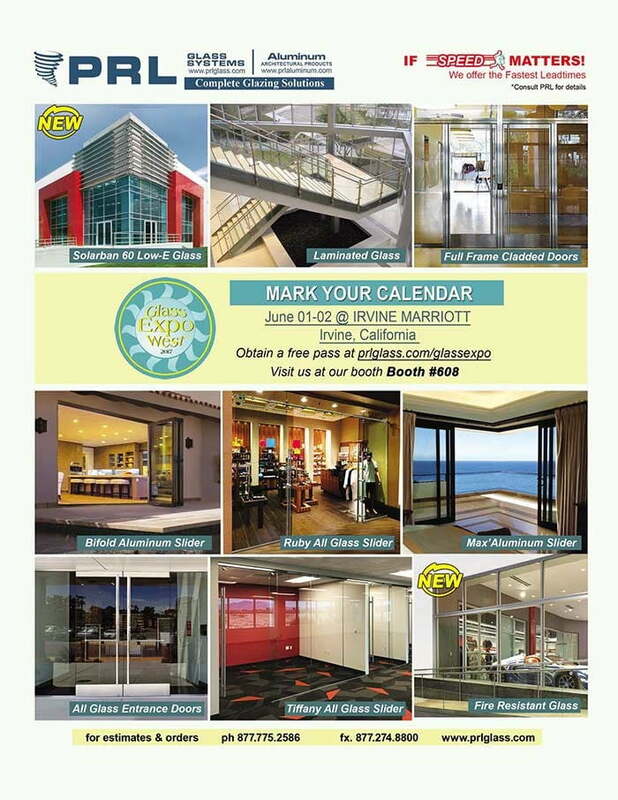 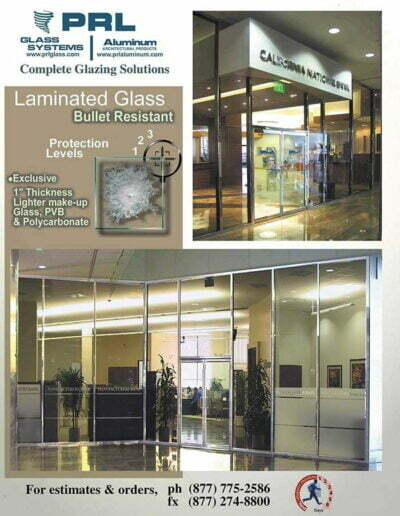 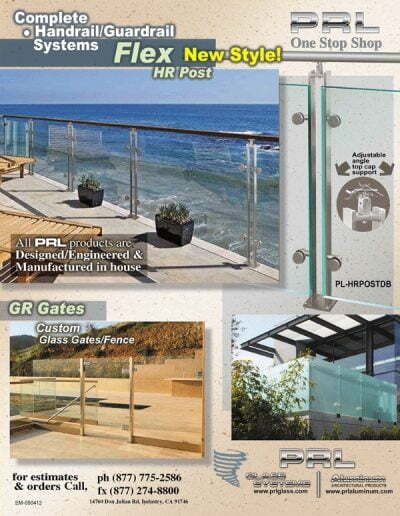 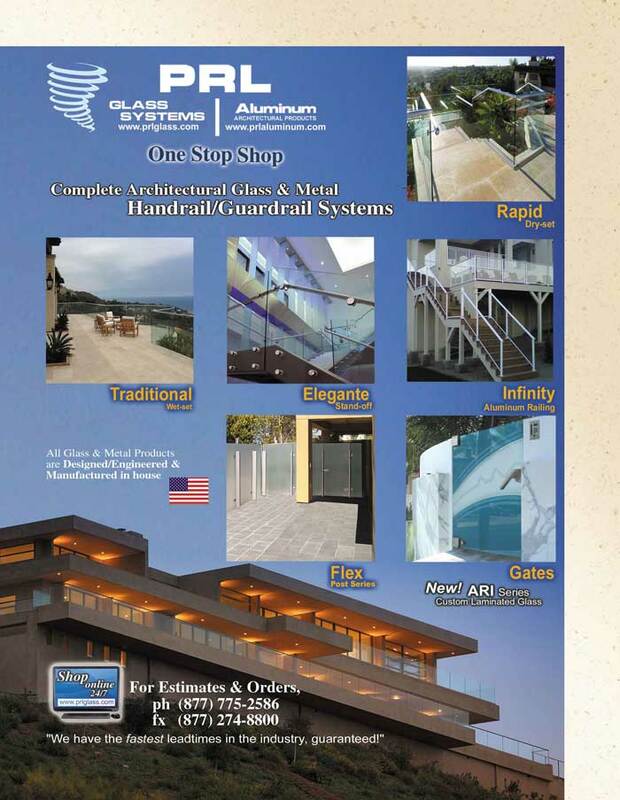 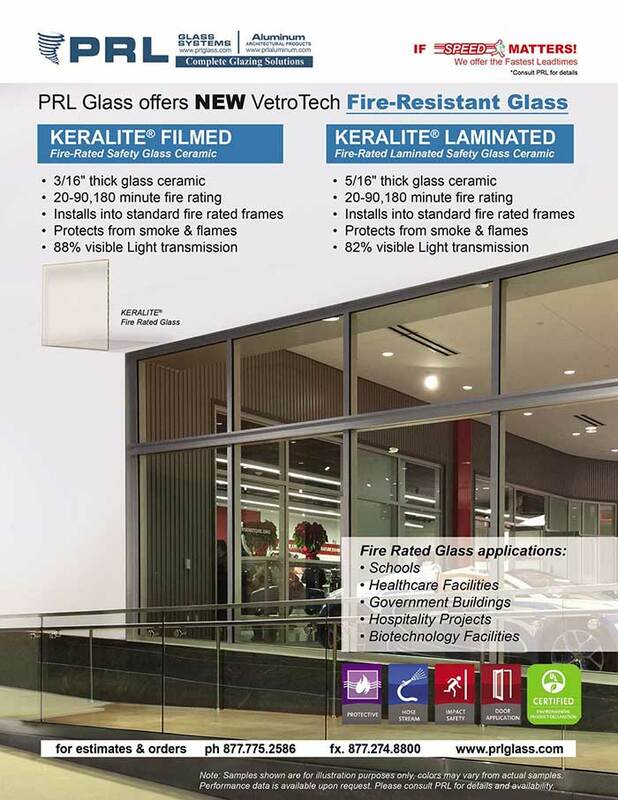 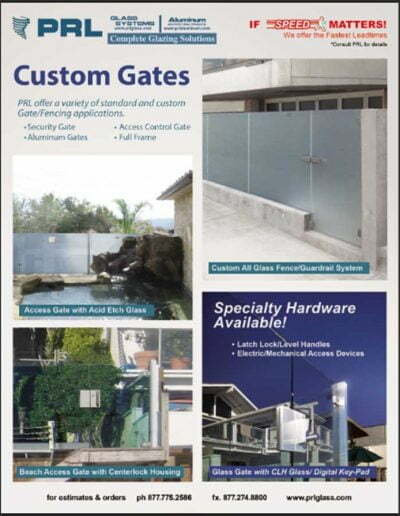 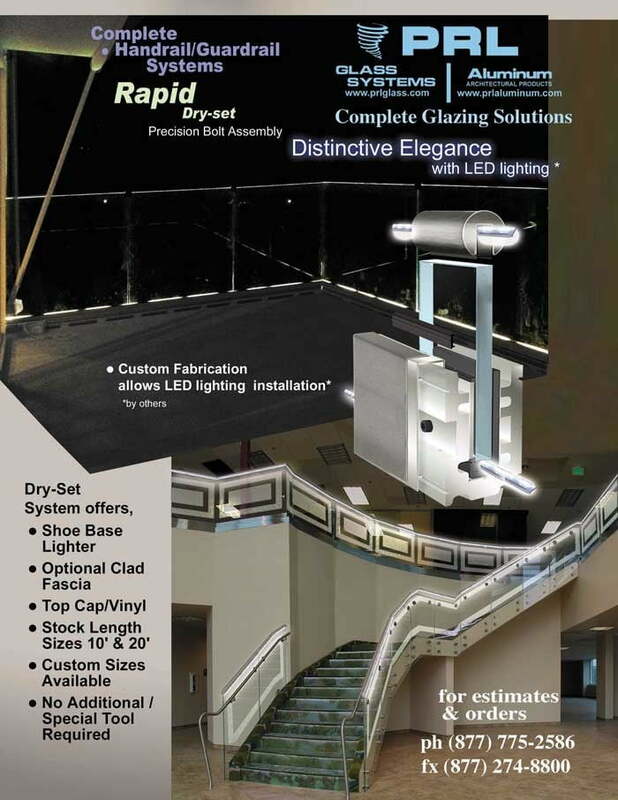 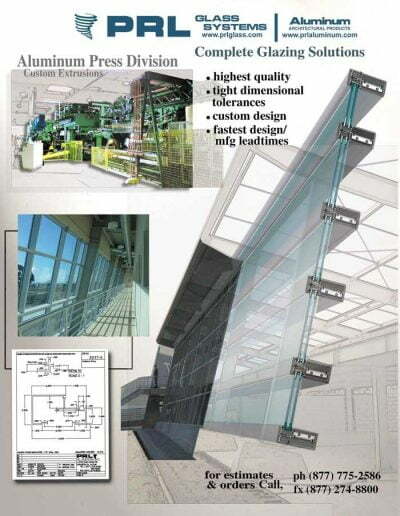 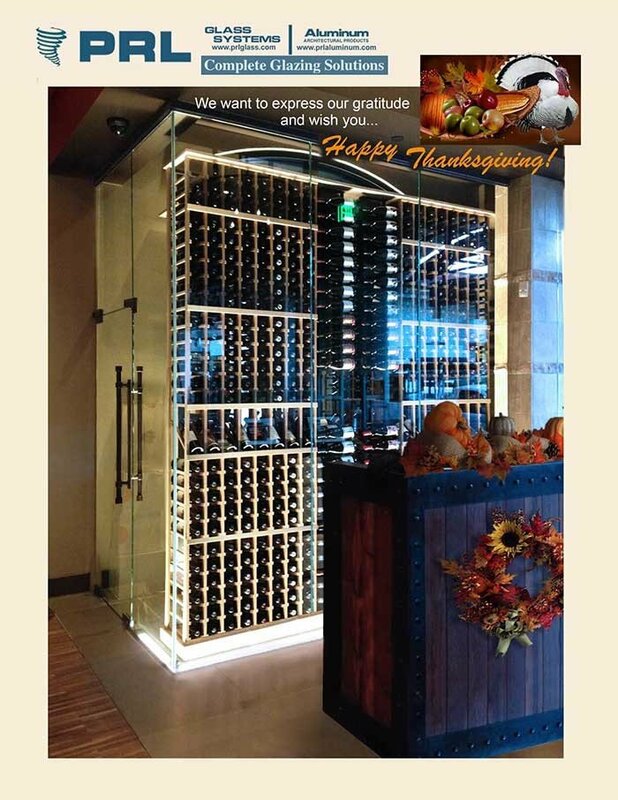 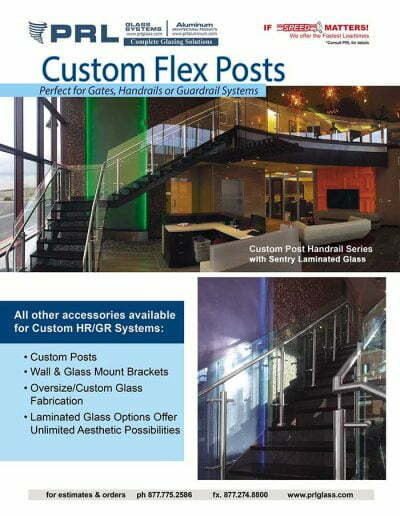 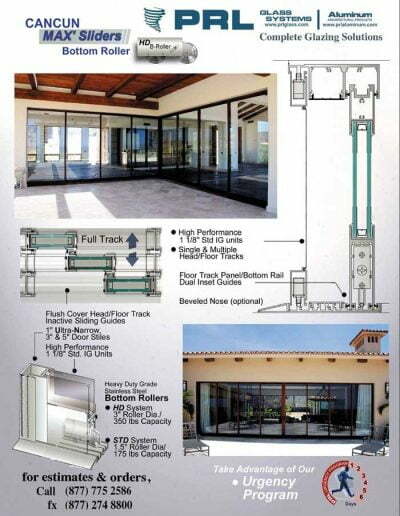 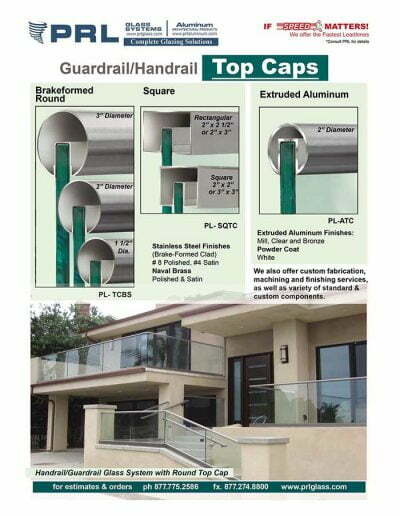 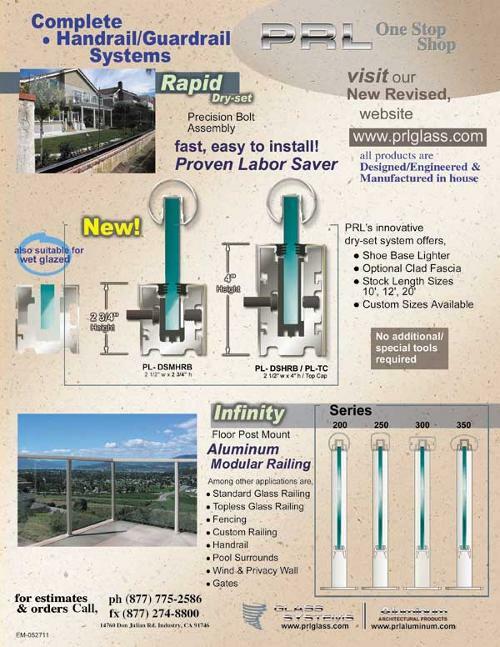 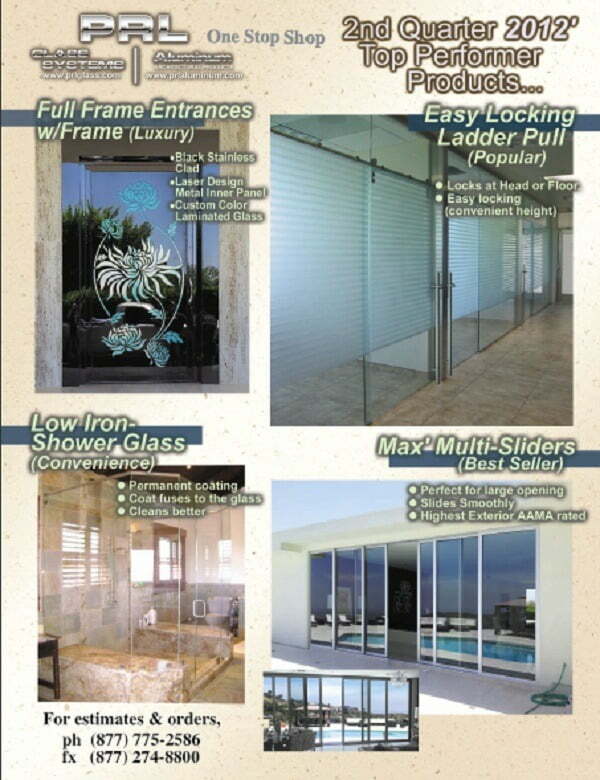 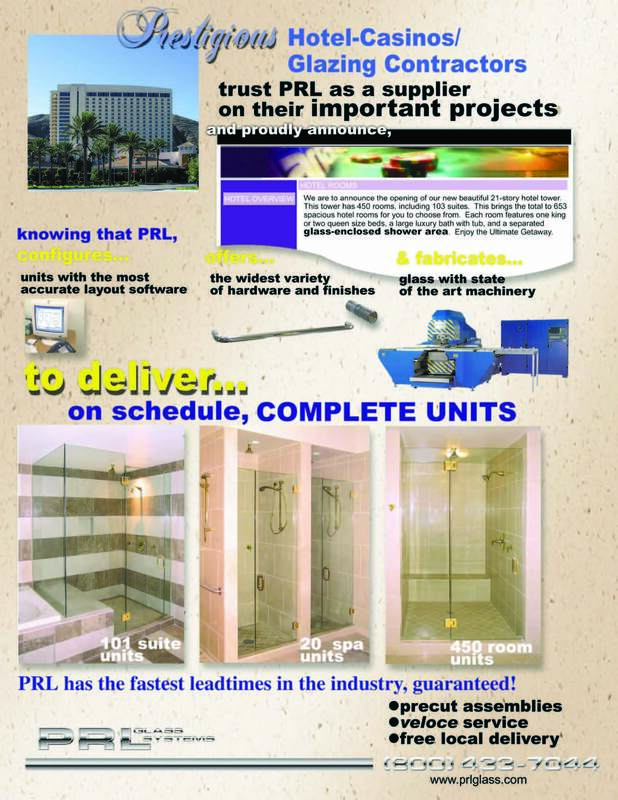 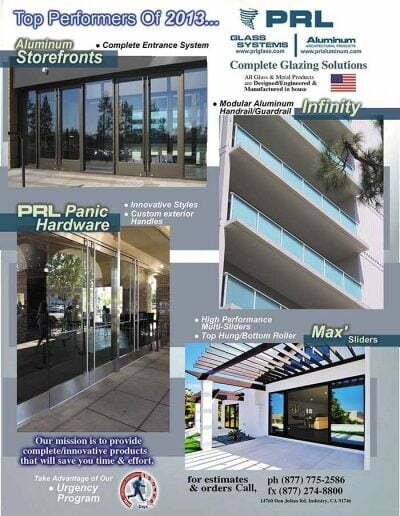 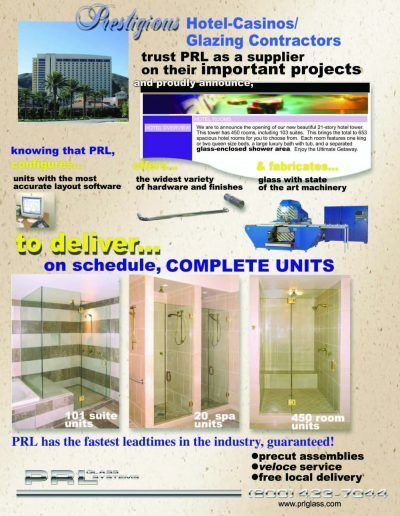 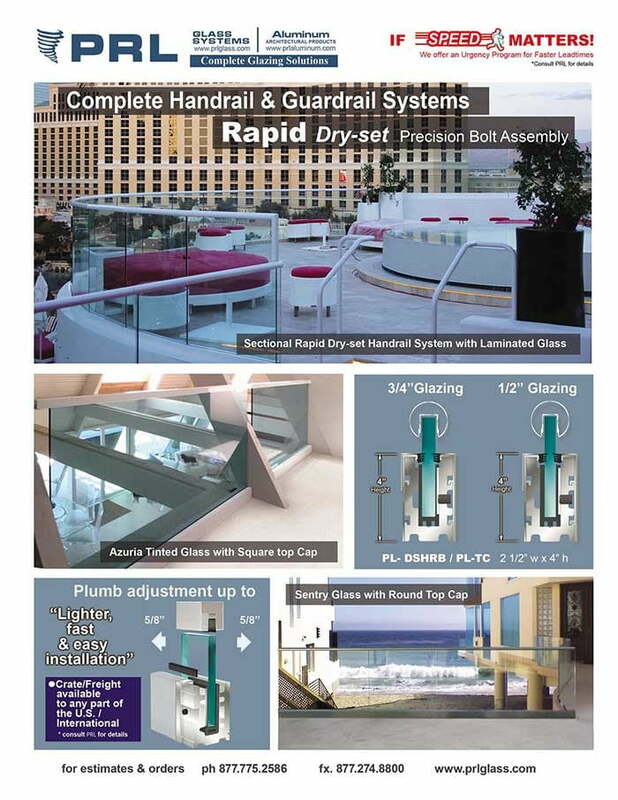 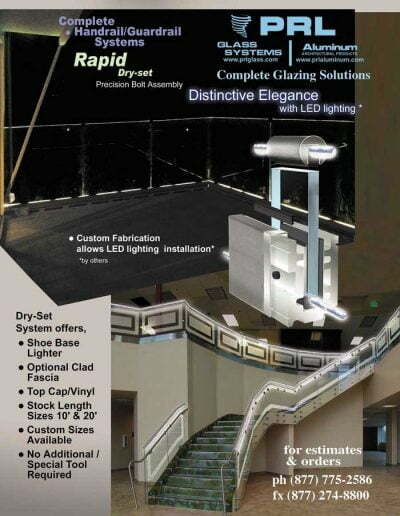 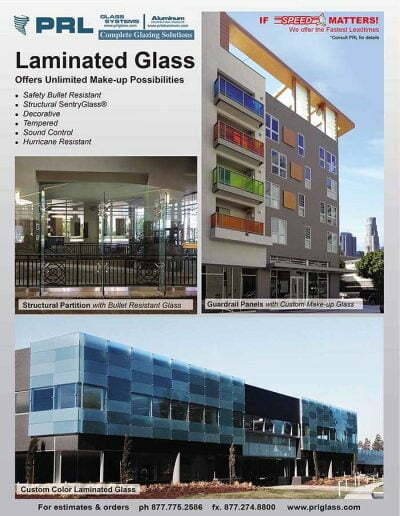 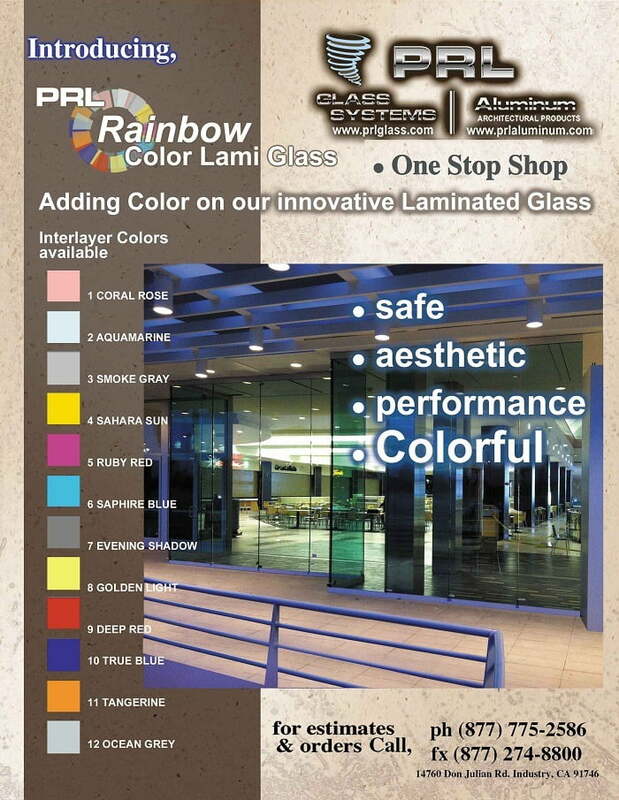 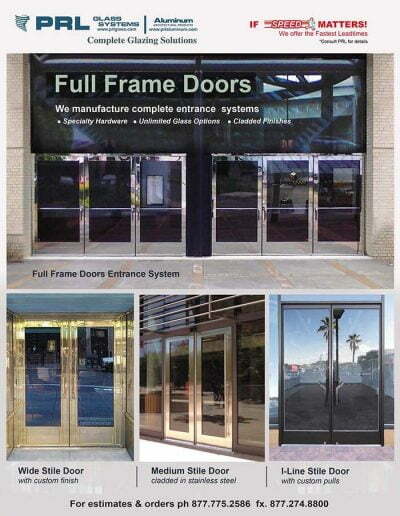 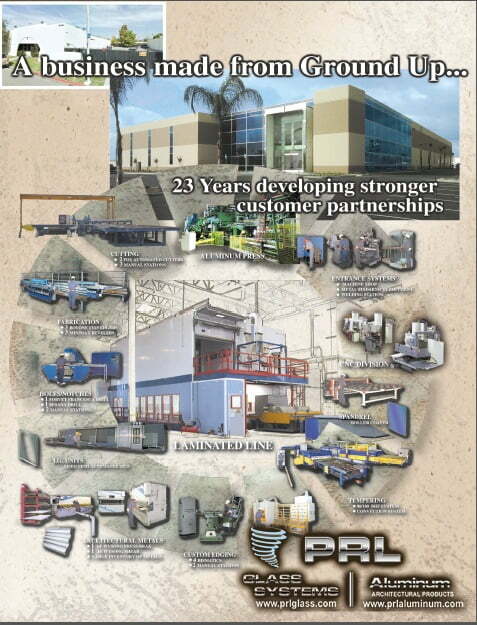 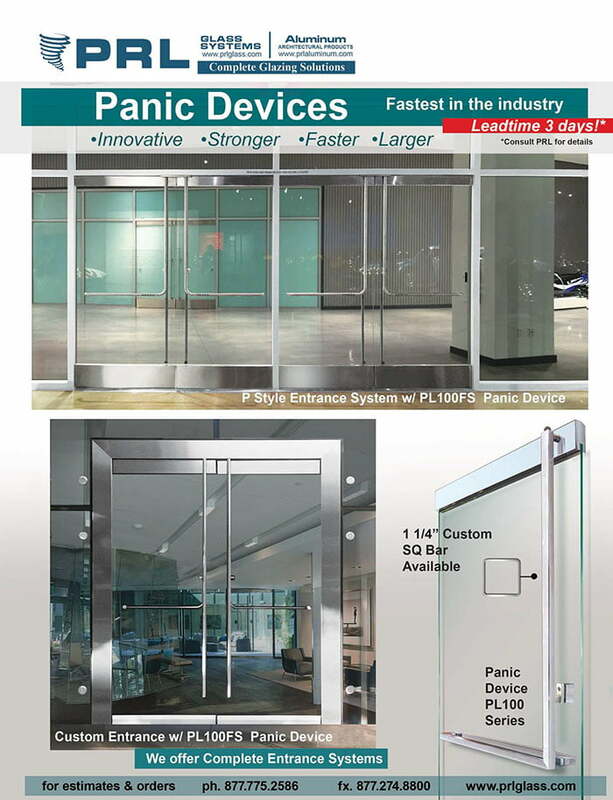 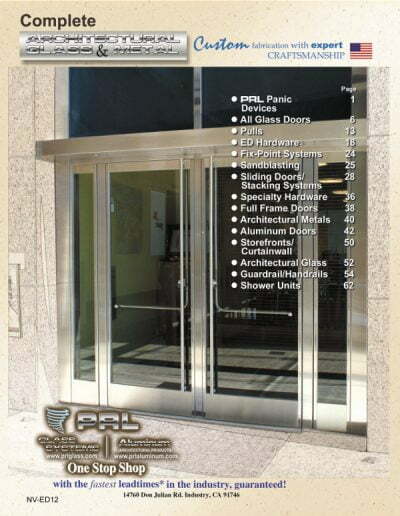 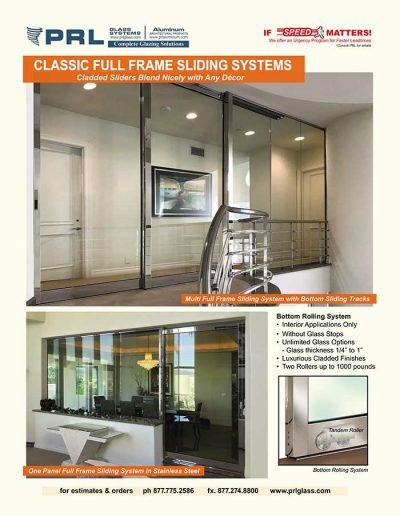 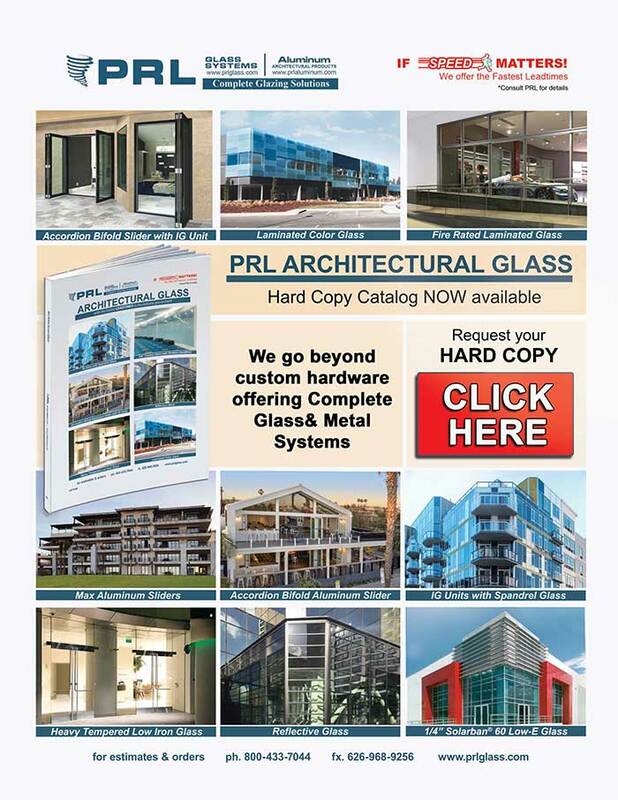 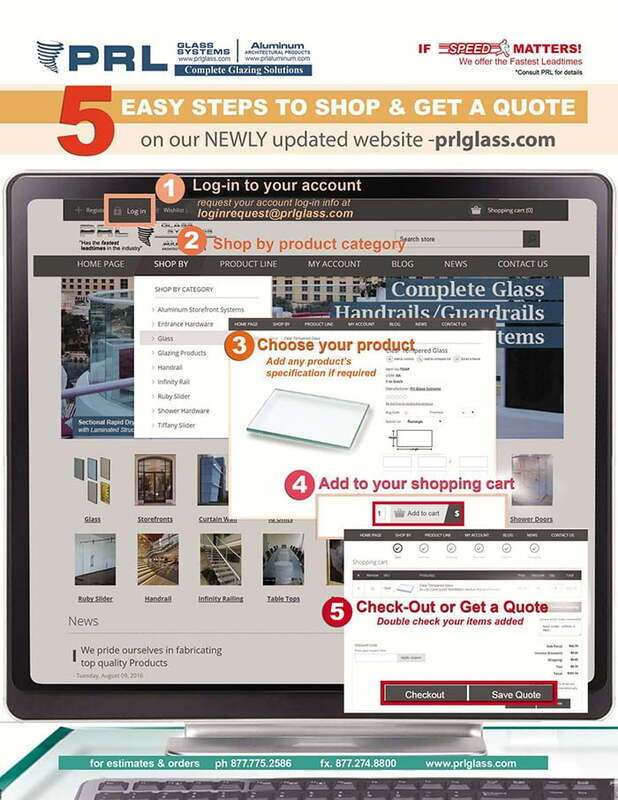 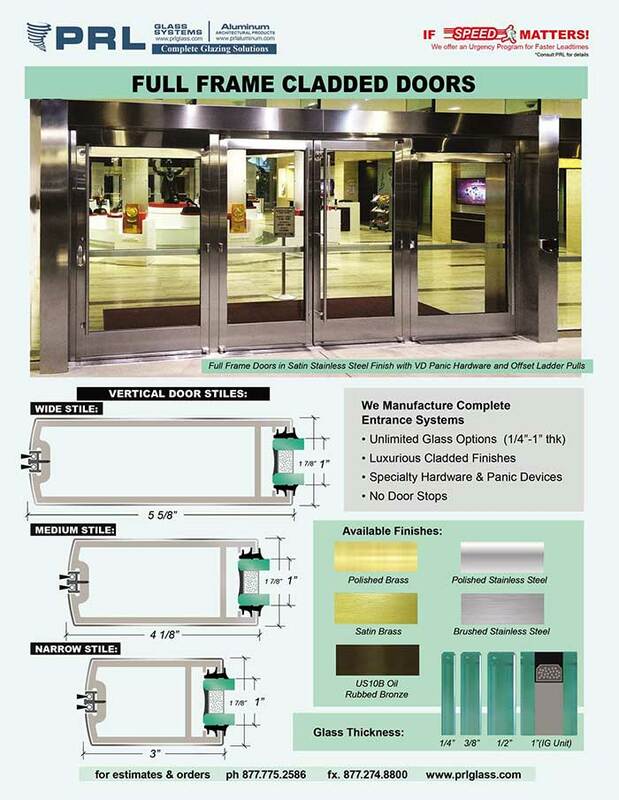 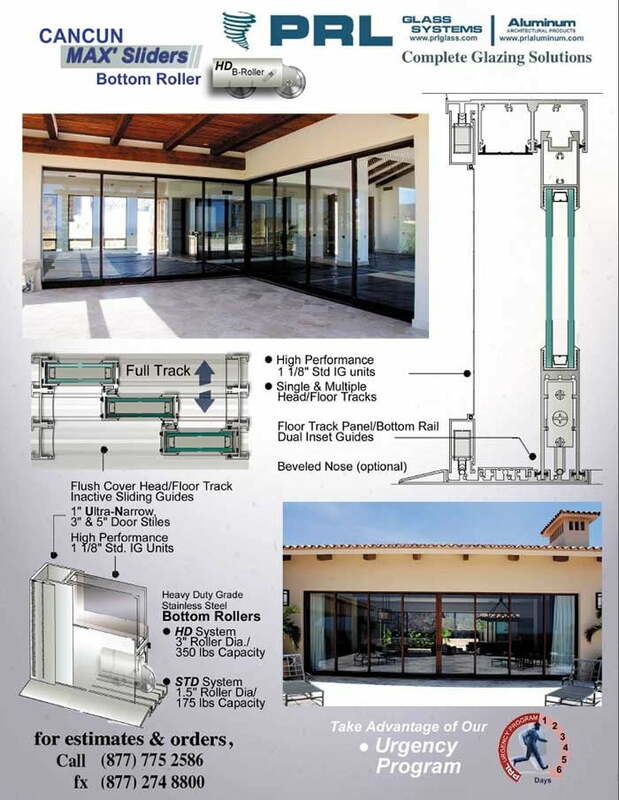 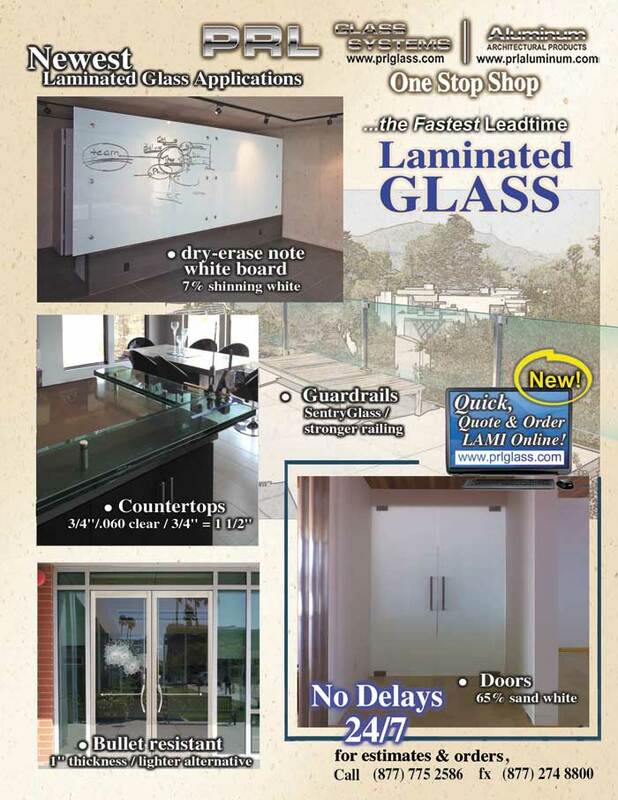 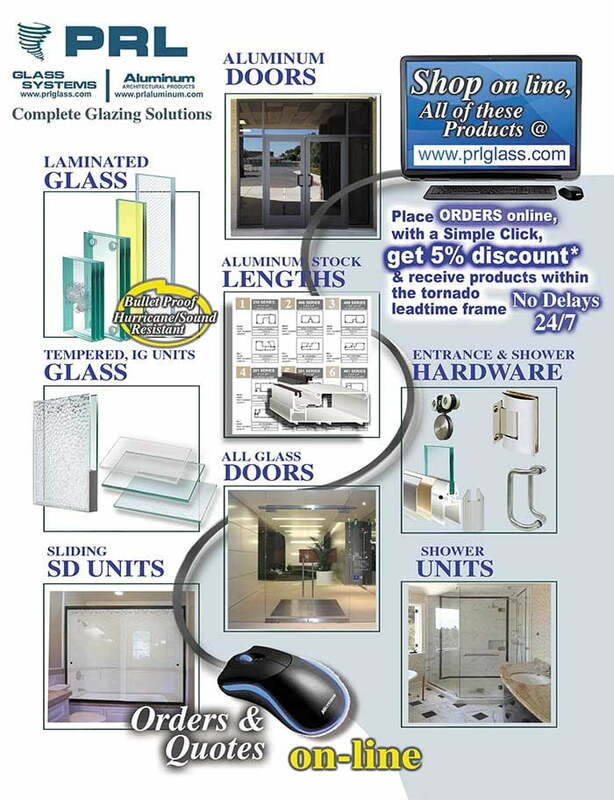 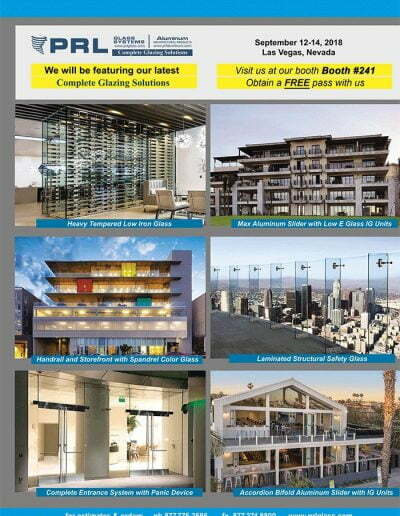 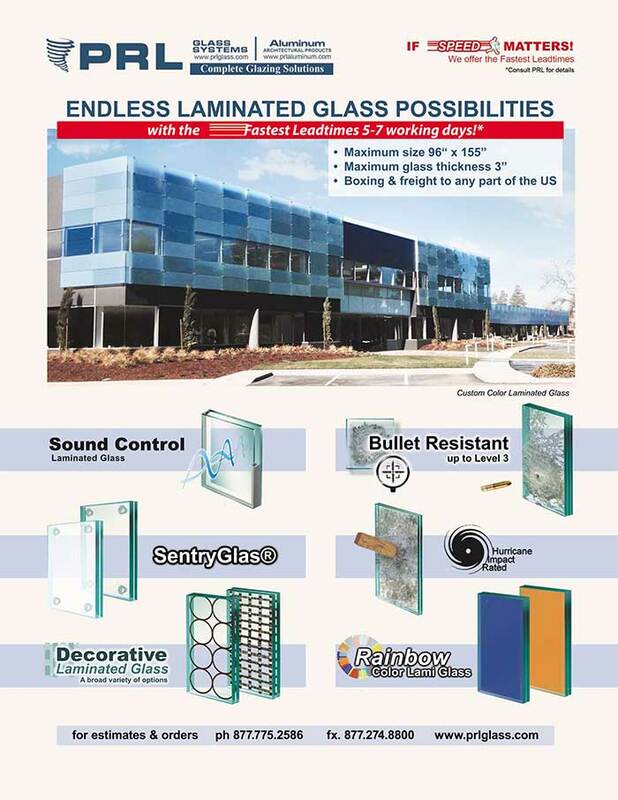 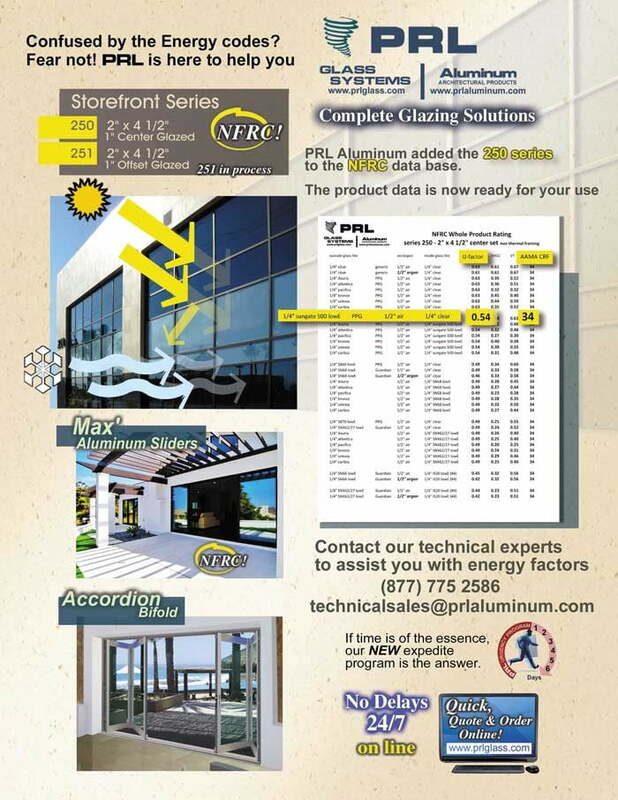 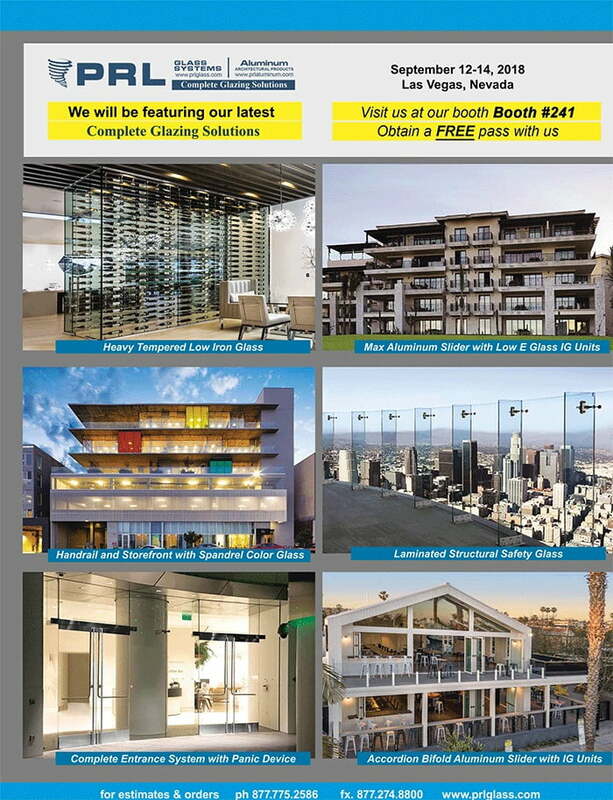 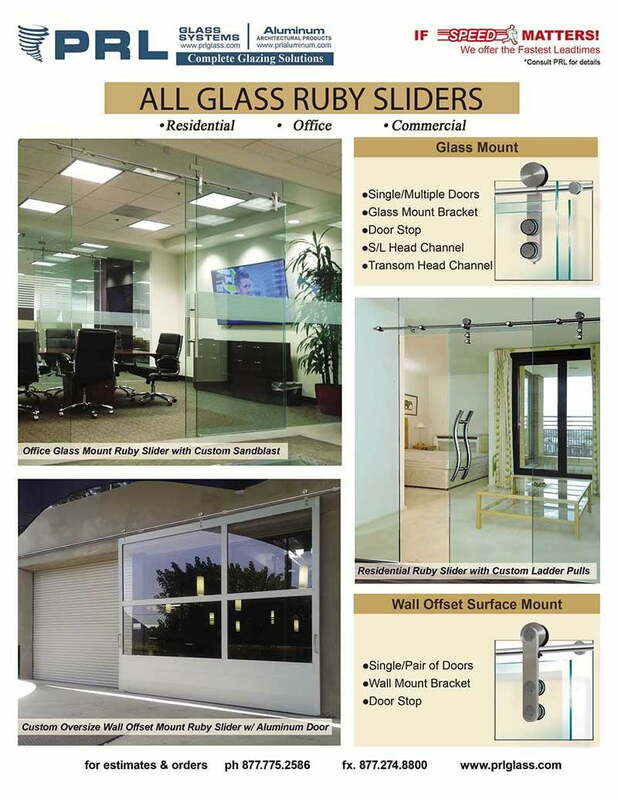 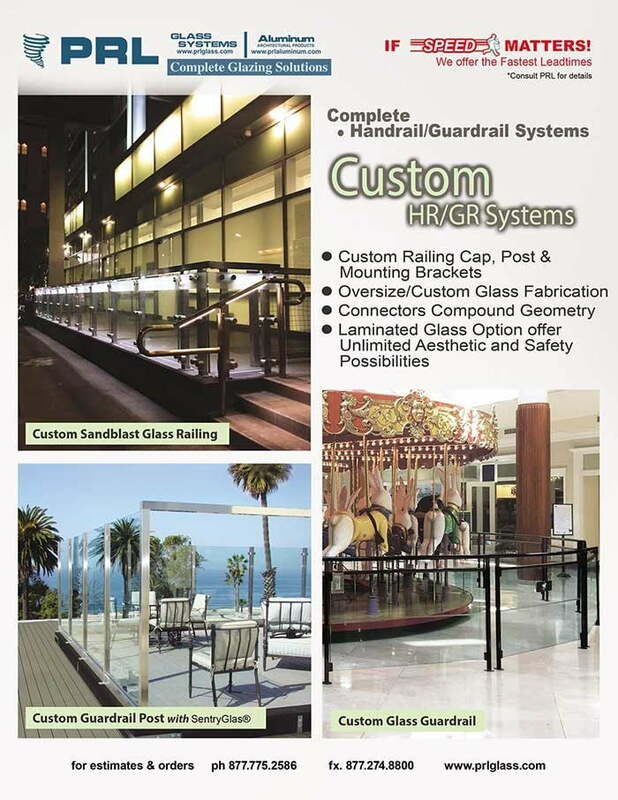 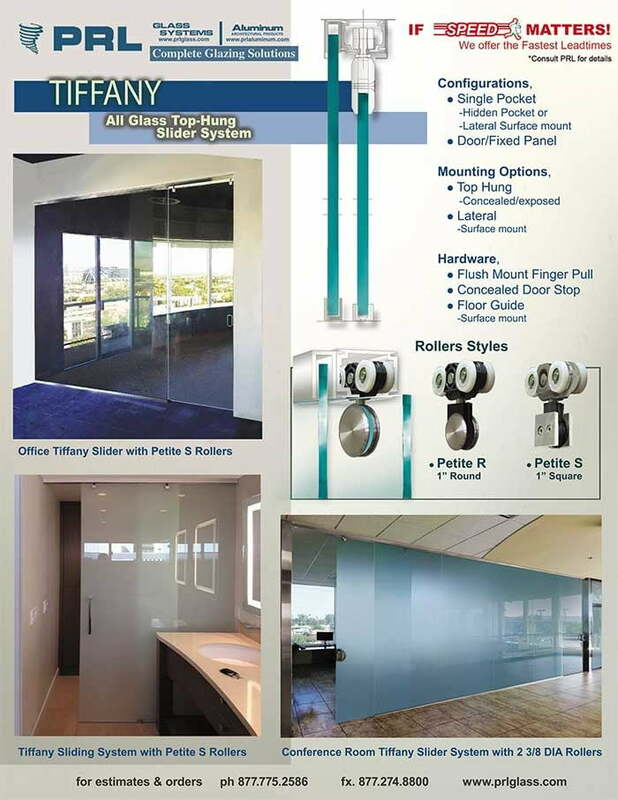 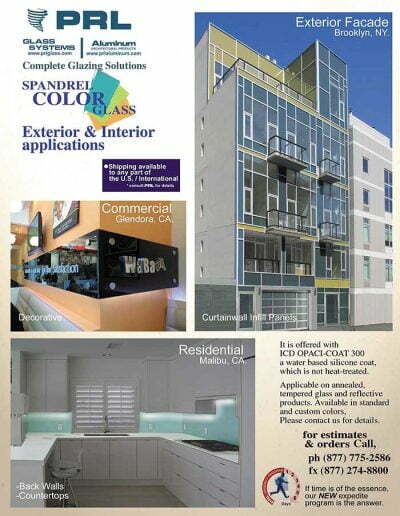 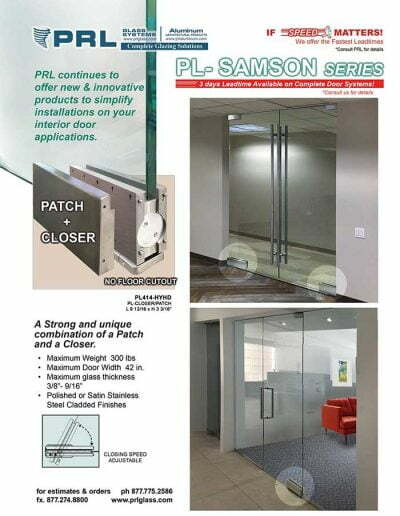 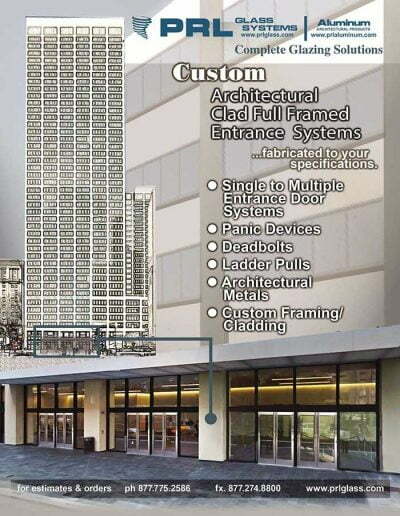 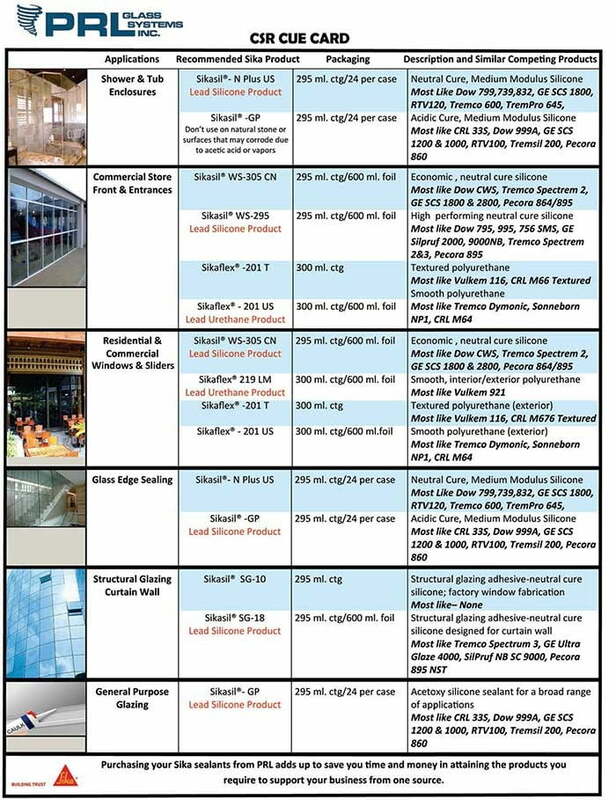 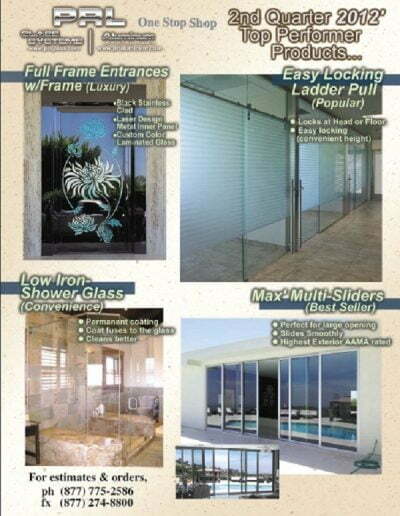 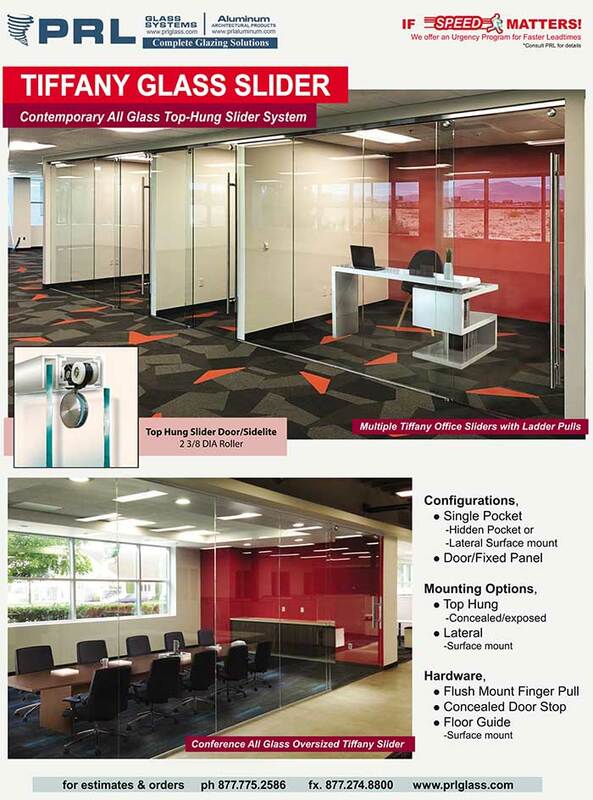 PRL is one of the largest Tempered and Laminated Glass Fabricators in California. 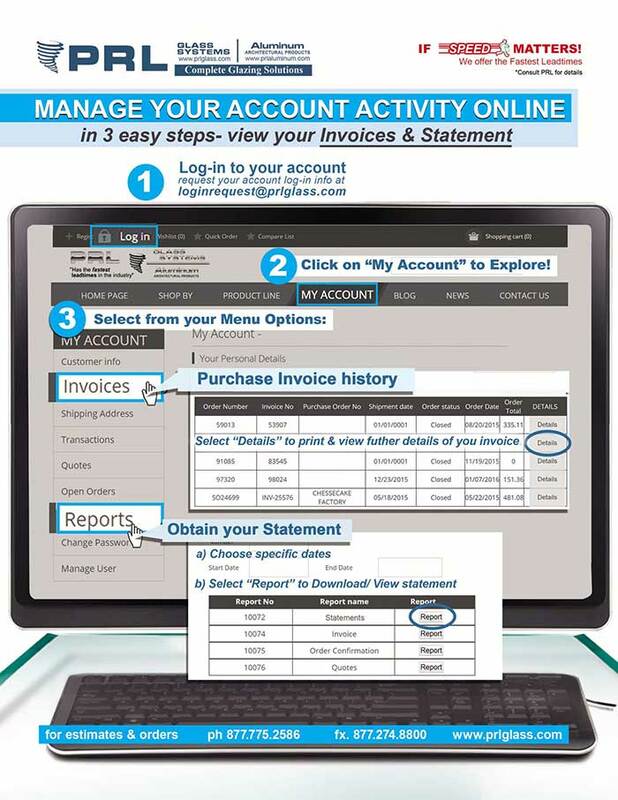 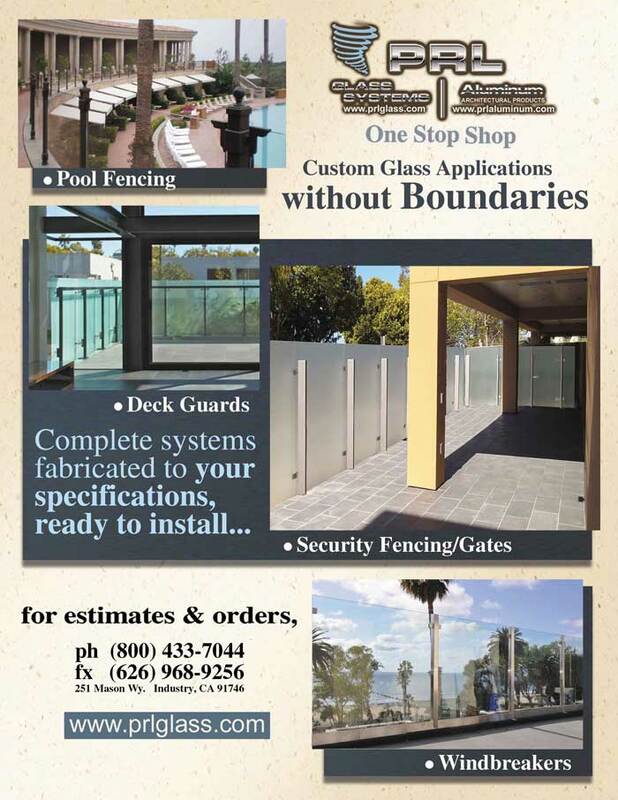 Established in 1989 we started supplying fabricated table tops and shelving to glass contractors in Southern California on our single delivery truck. 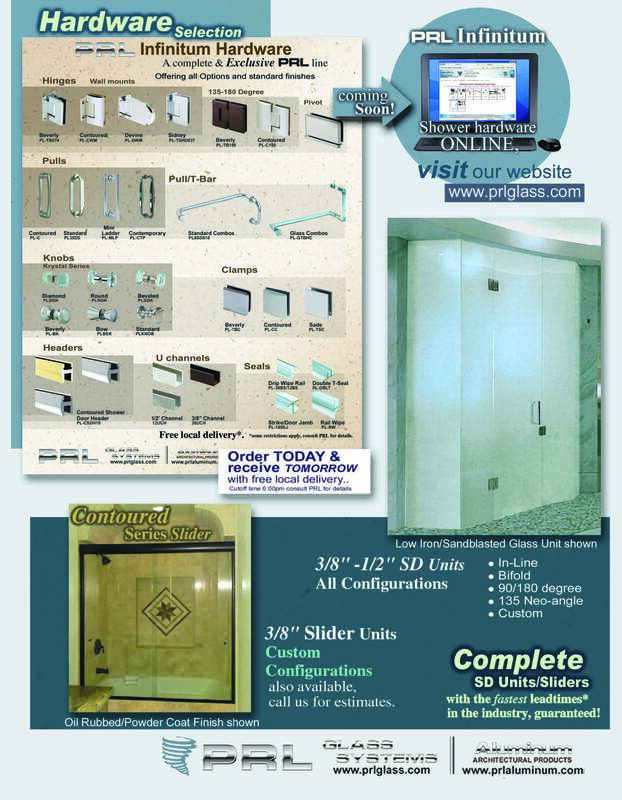 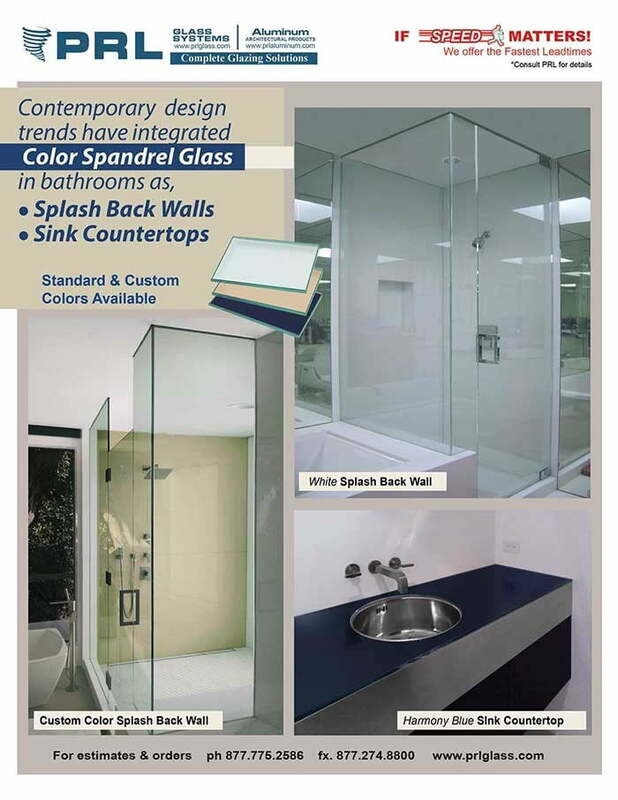 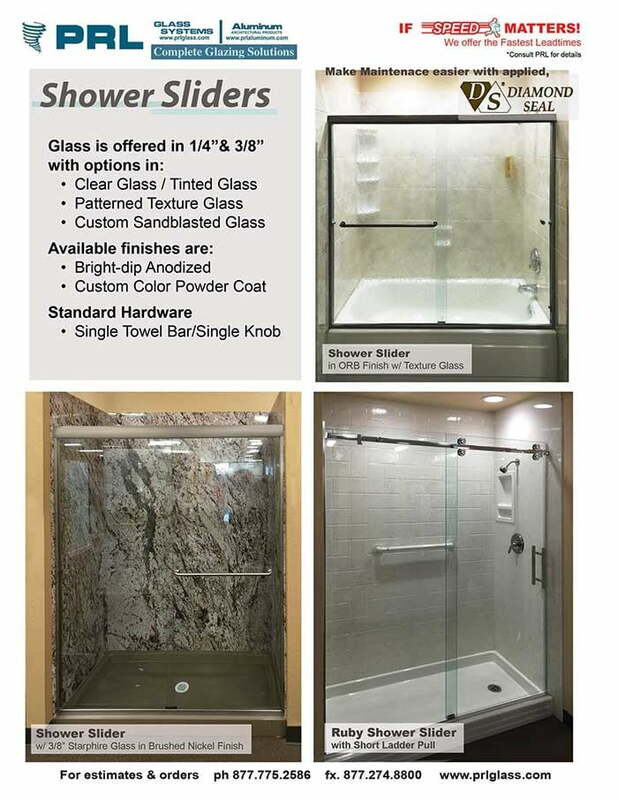 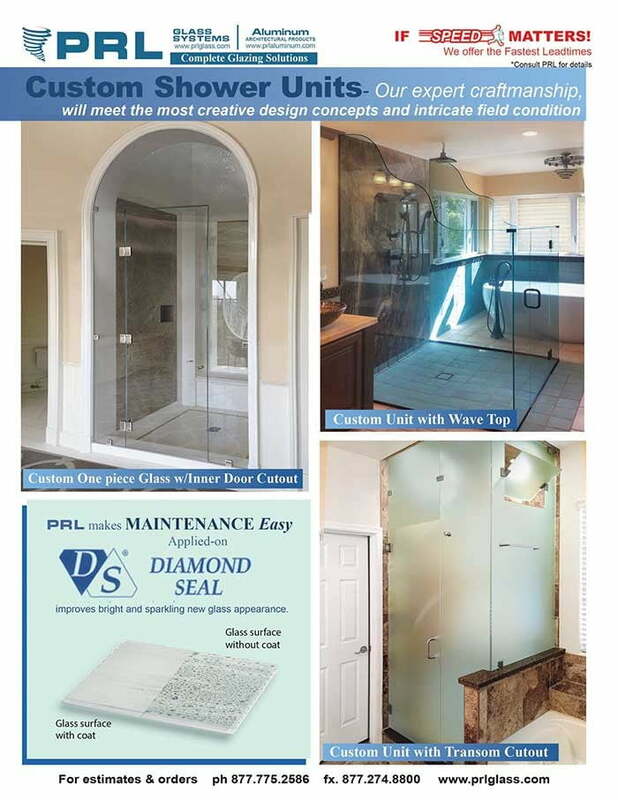 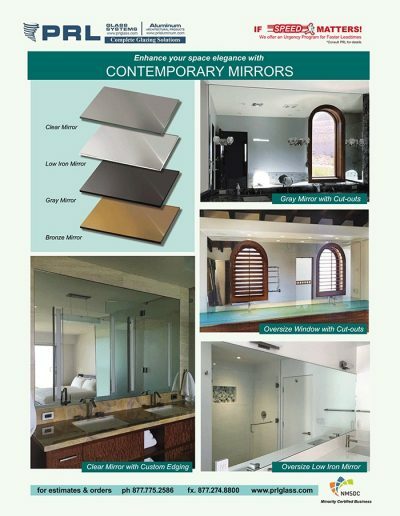 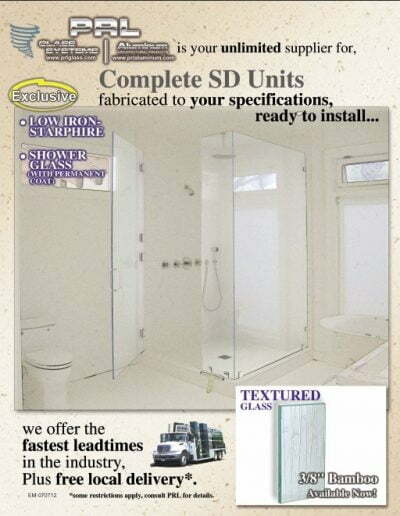 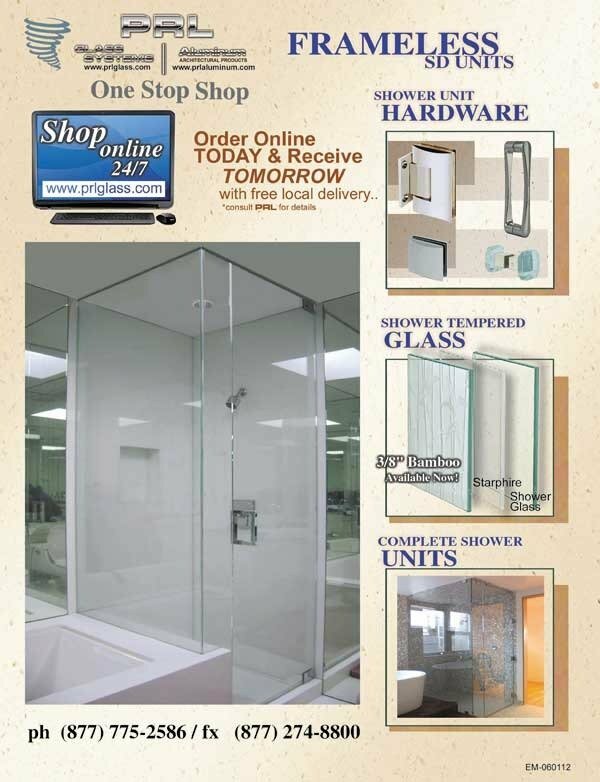 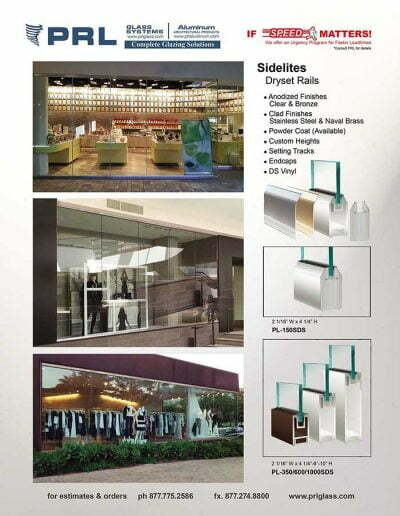 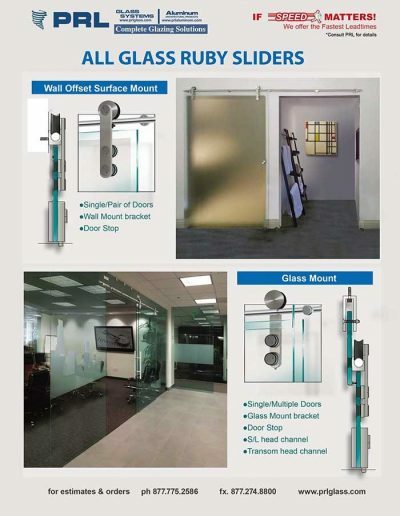 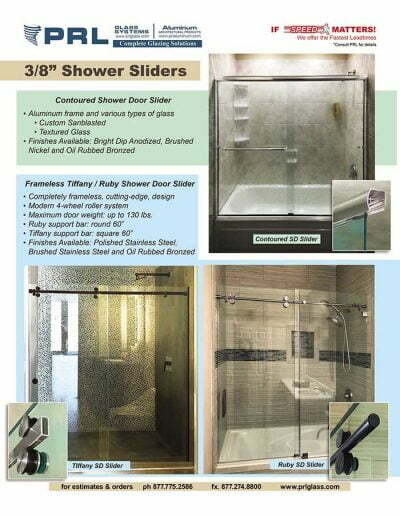 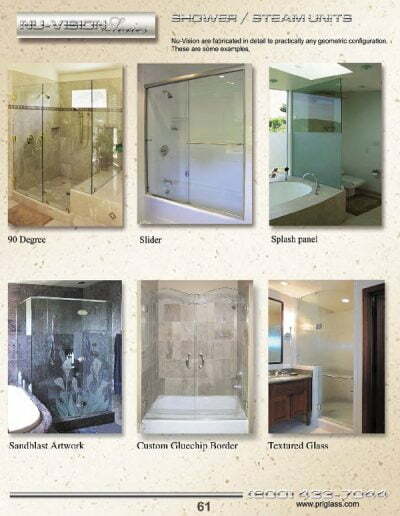 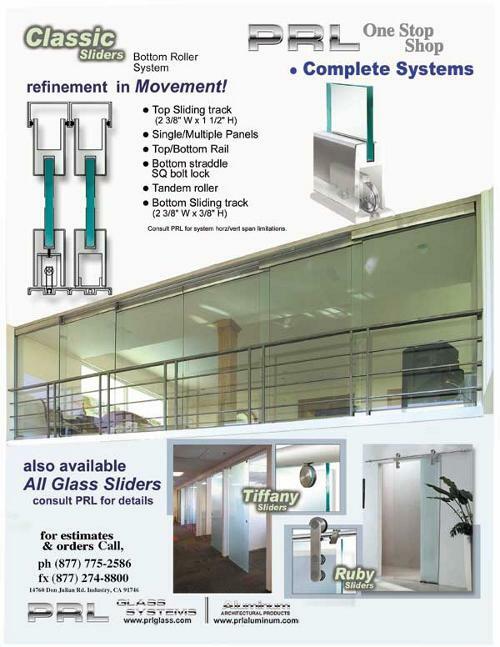 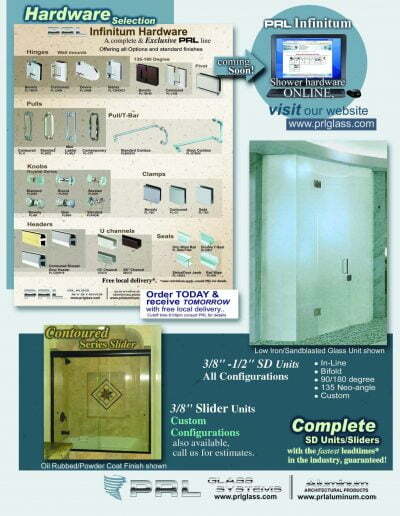 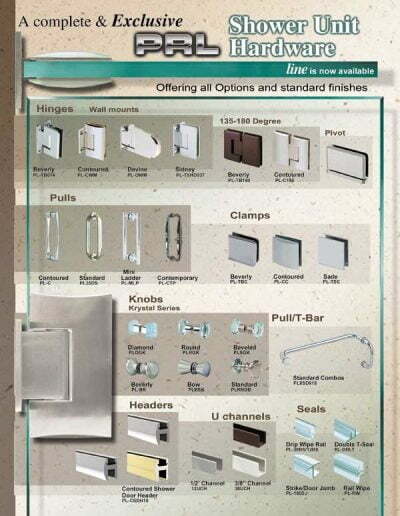 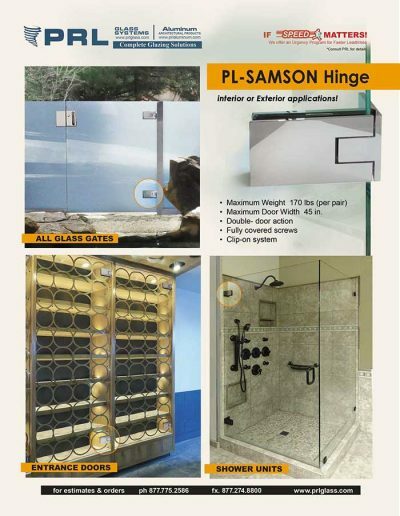 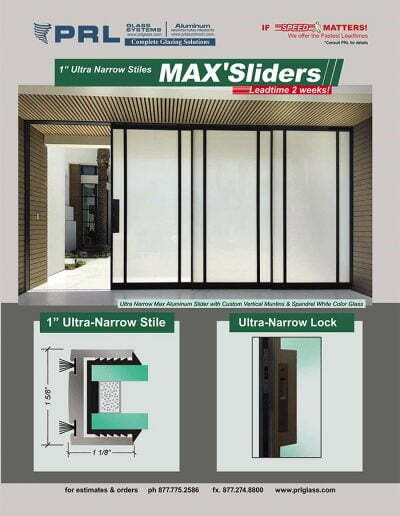 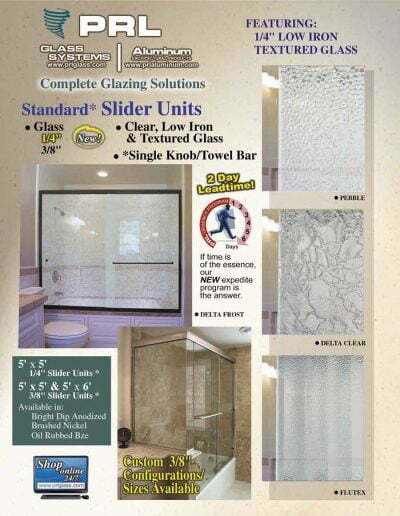 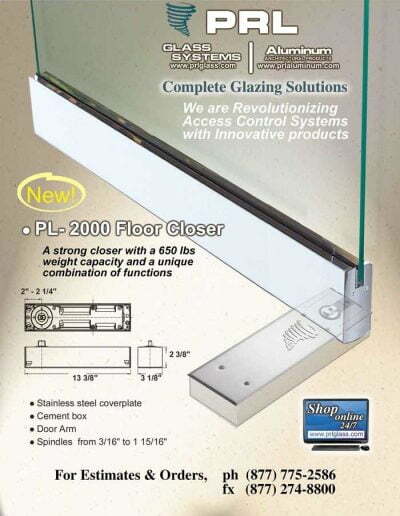 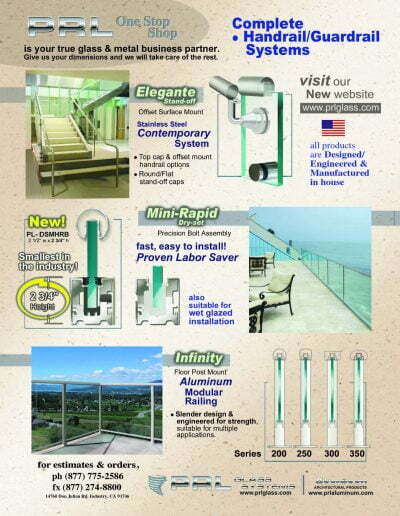 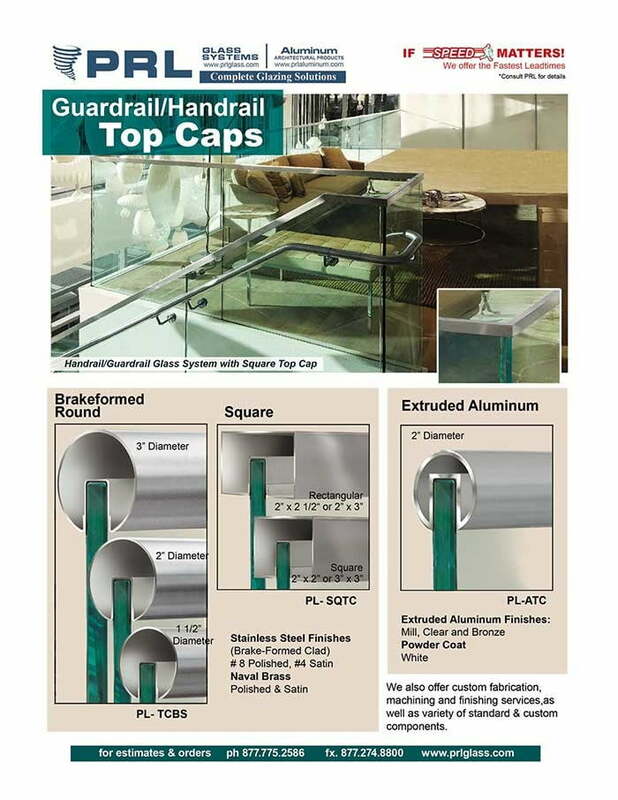 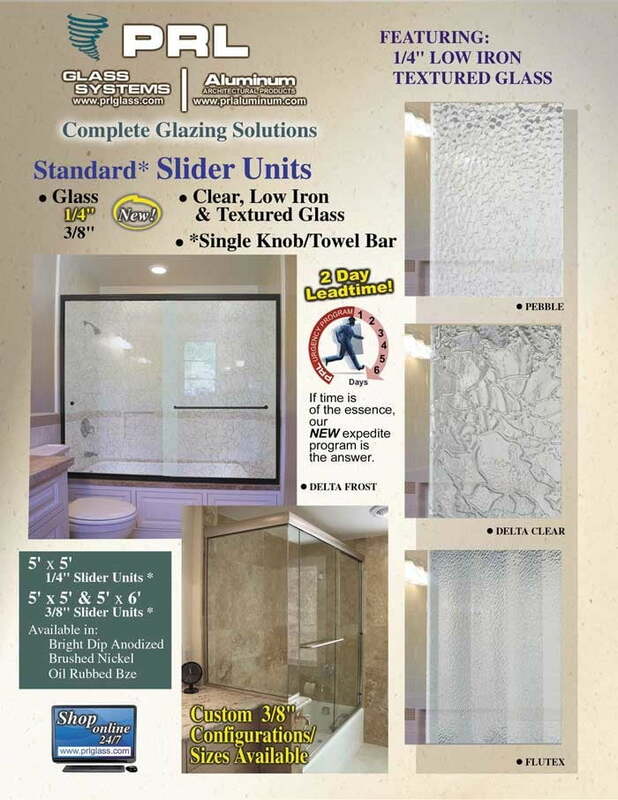 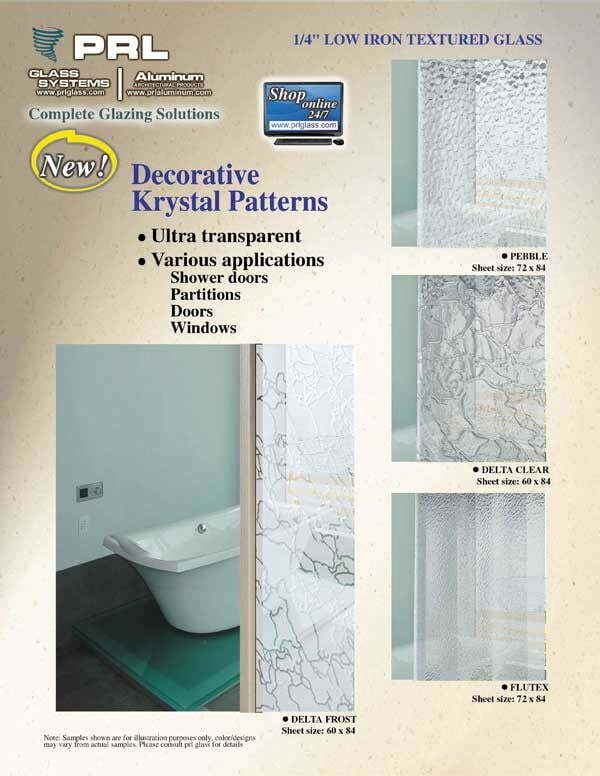 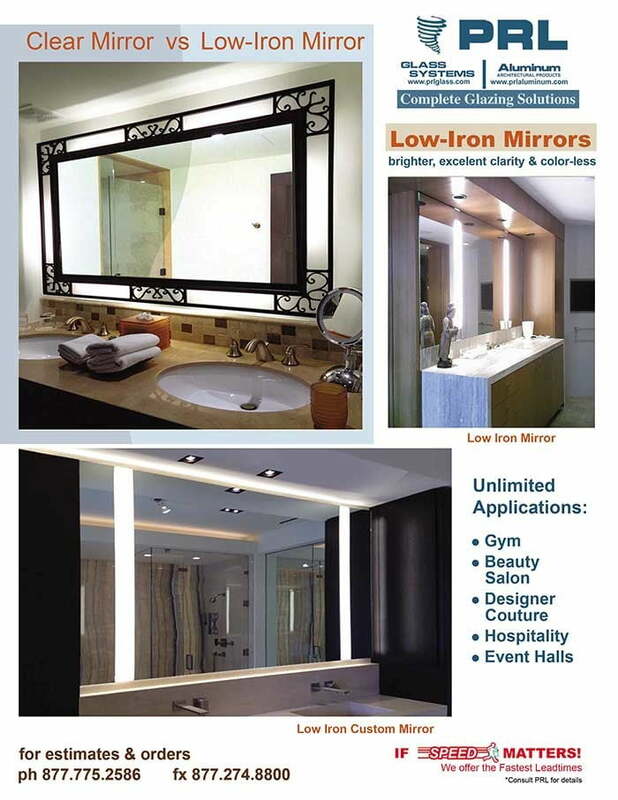 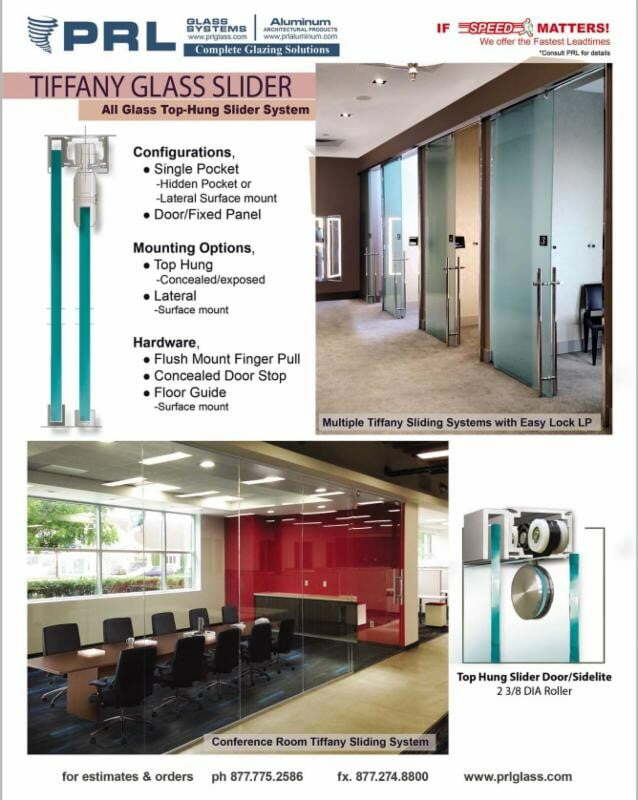 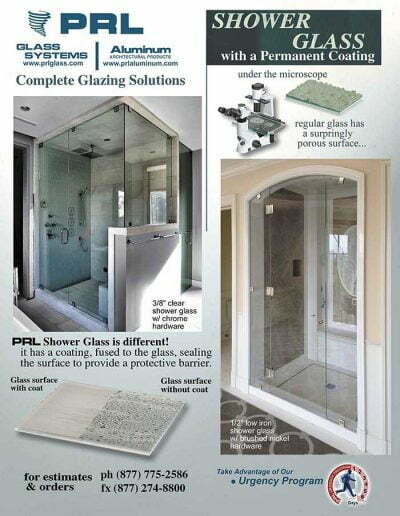 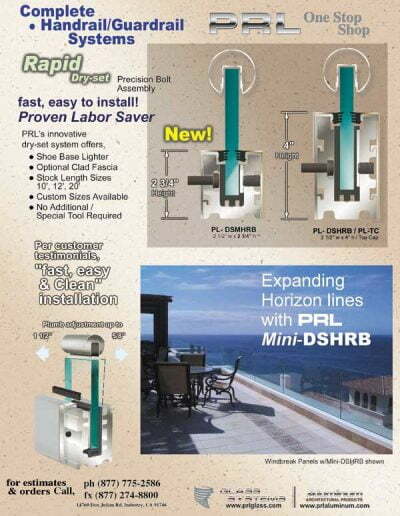 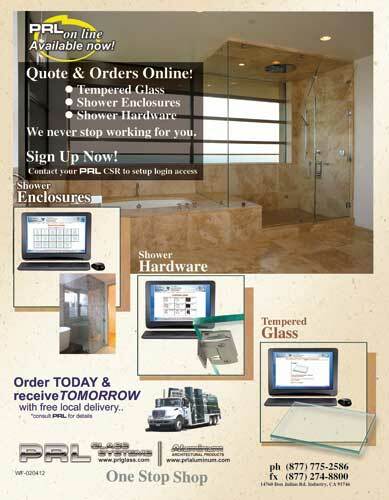 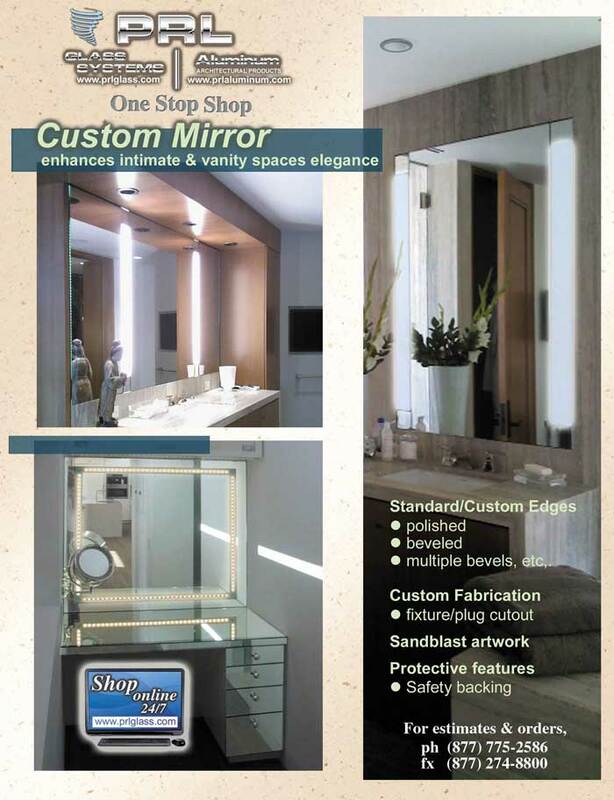 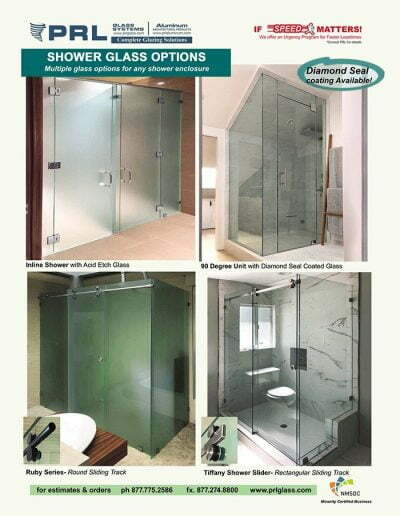 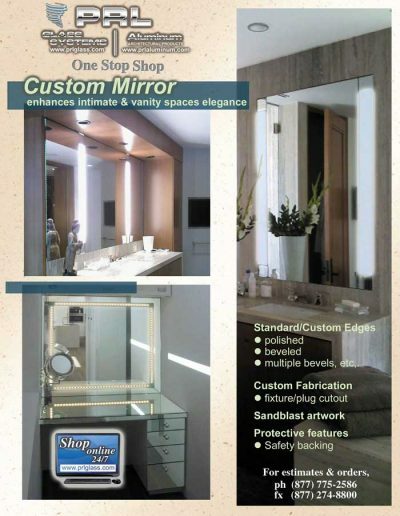 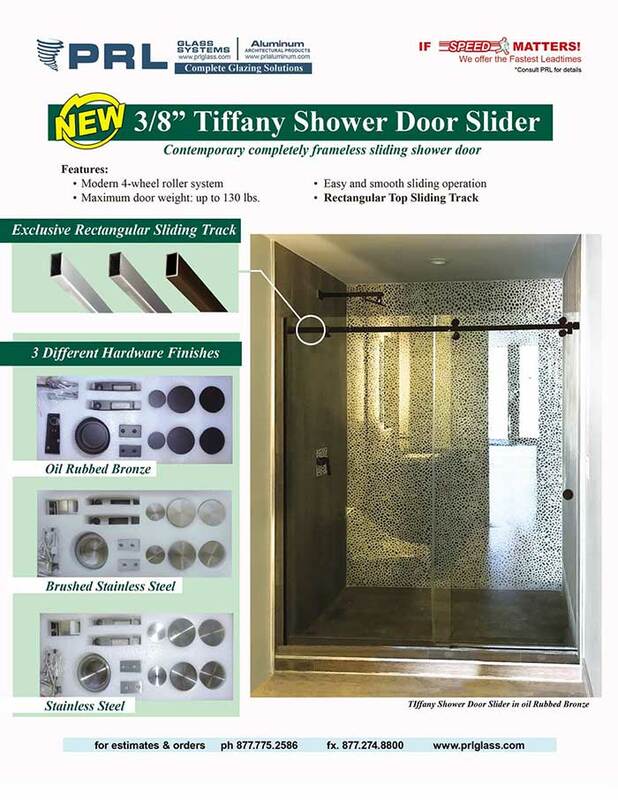 We quickly progressed to fabricating 3/8″ and 1/2″ tempered glass shower units. 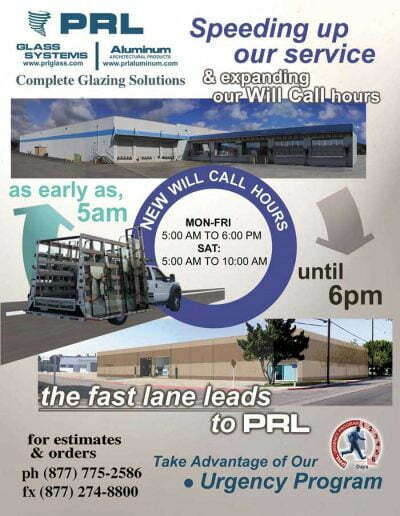 Today we deliver a full line fabricated tempered and laminated glass products to the West Coast market on our fleet of more than 25 trucks. 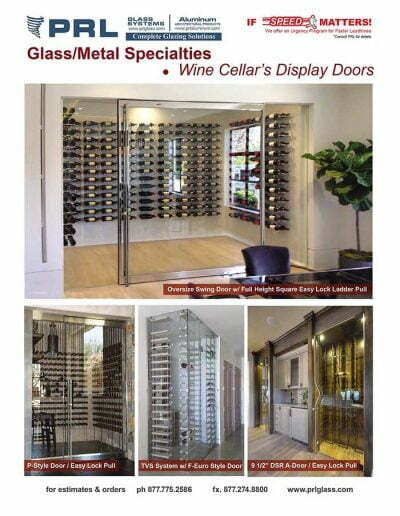 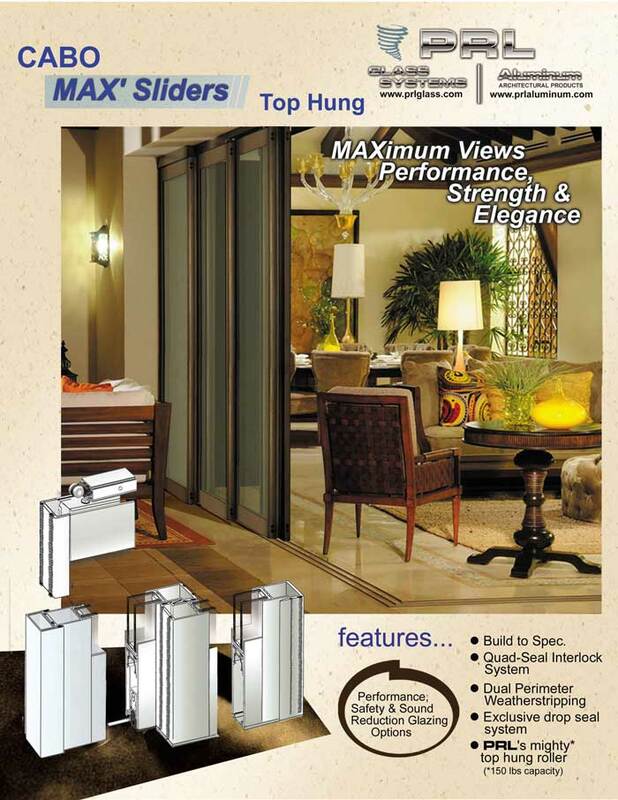 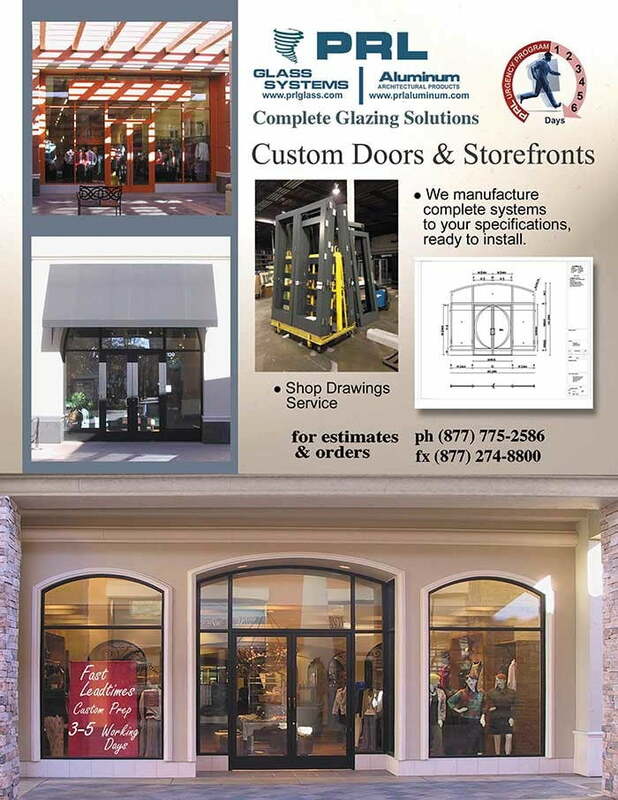 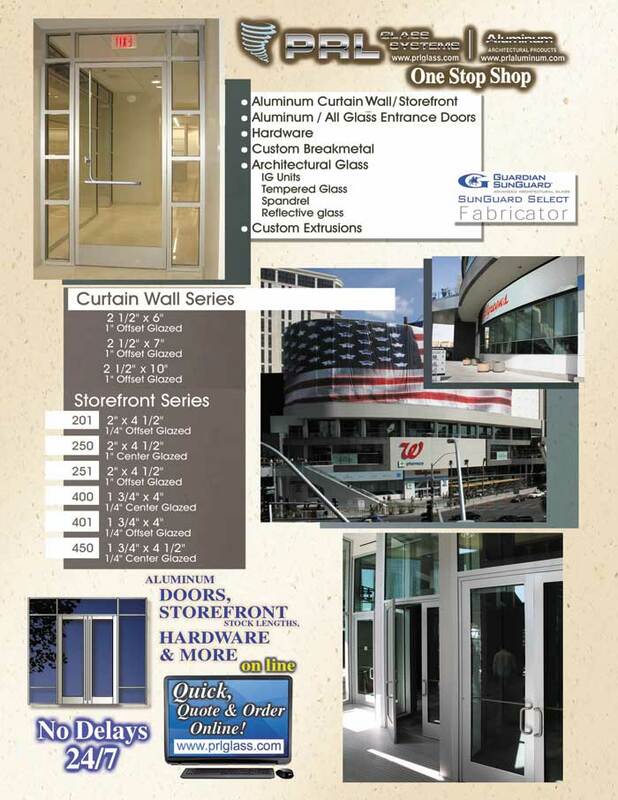 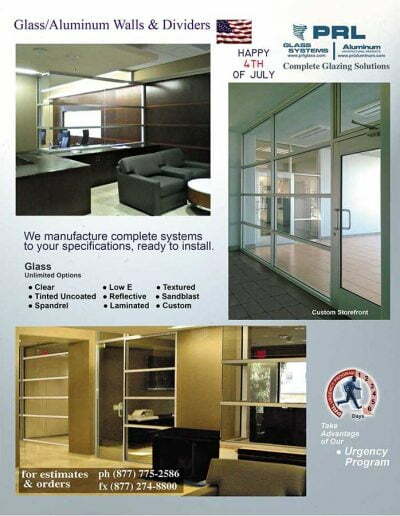 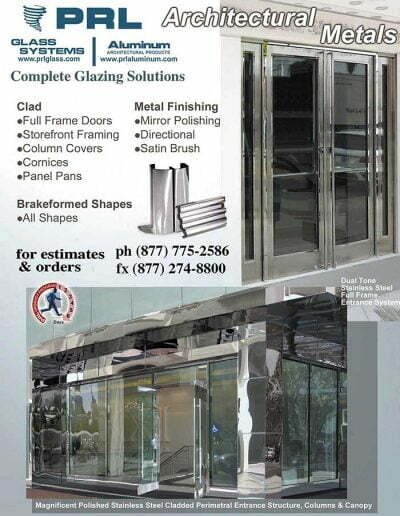 Our crating department ships Glass Doors and fabricated glass nationwide. 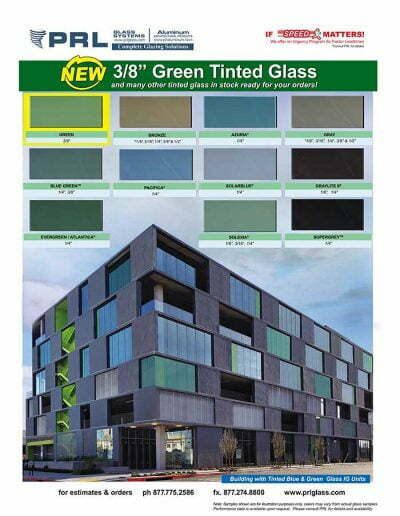 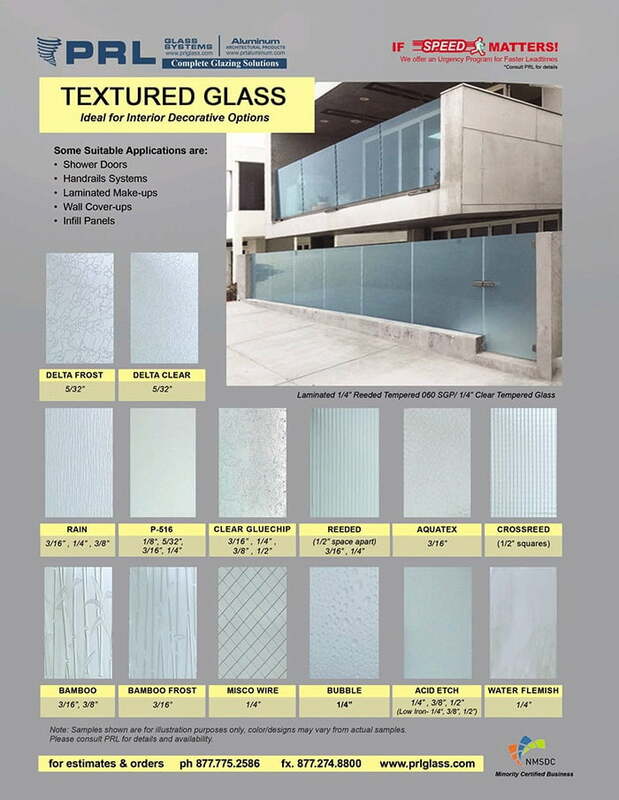 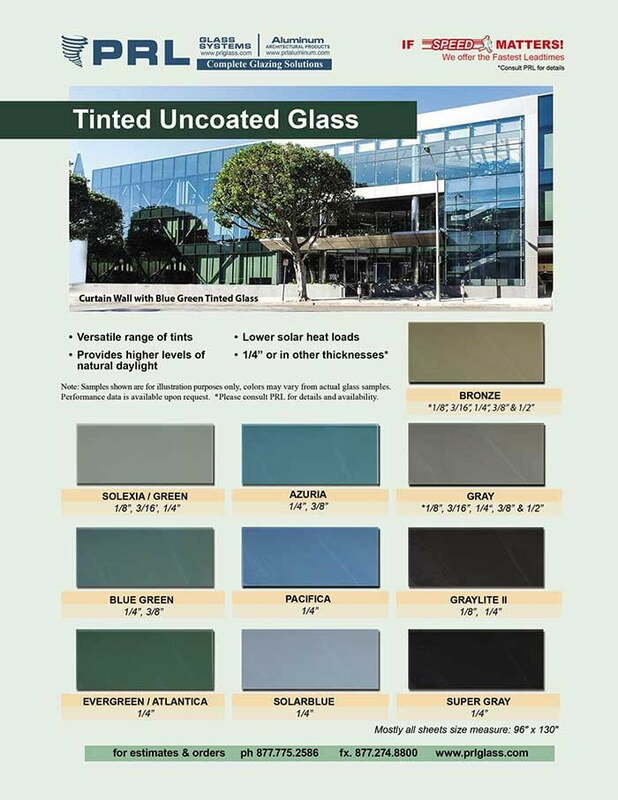 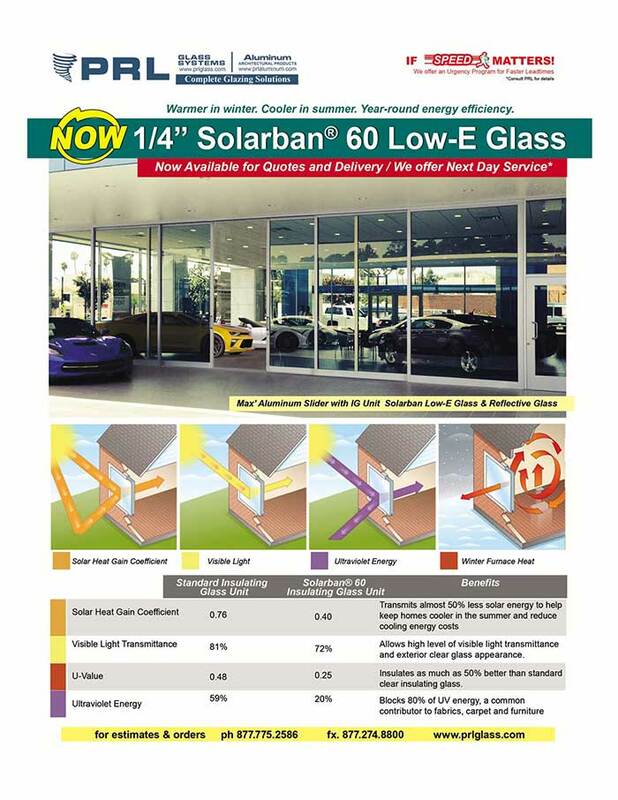 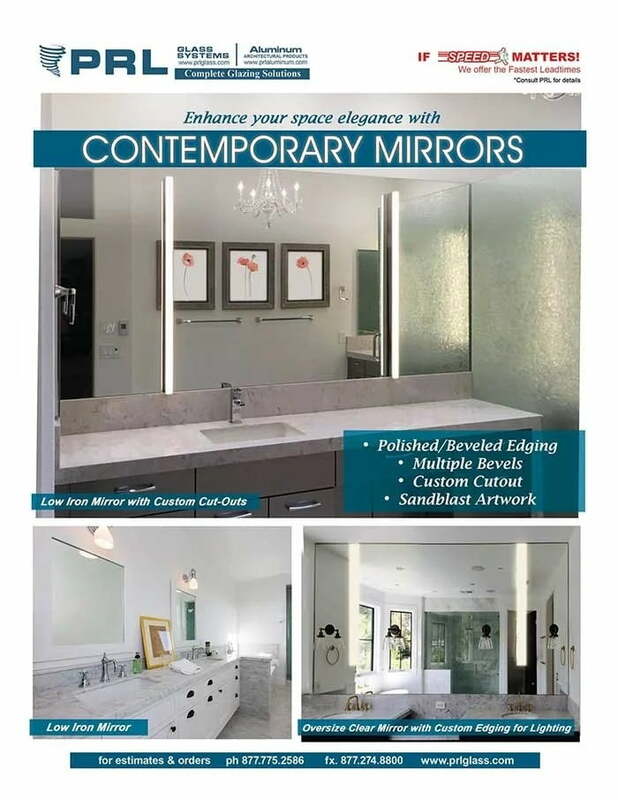 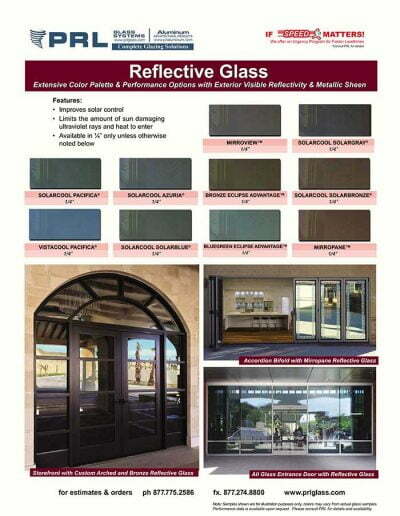 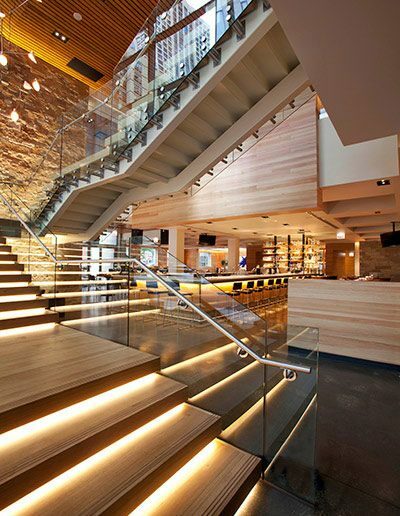 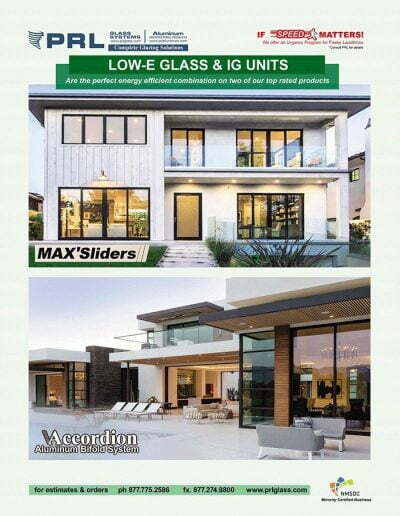 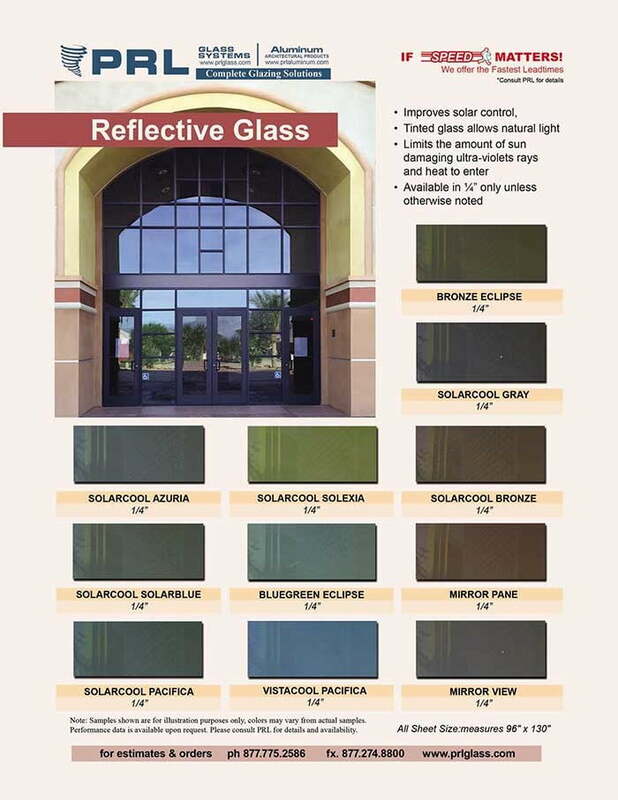 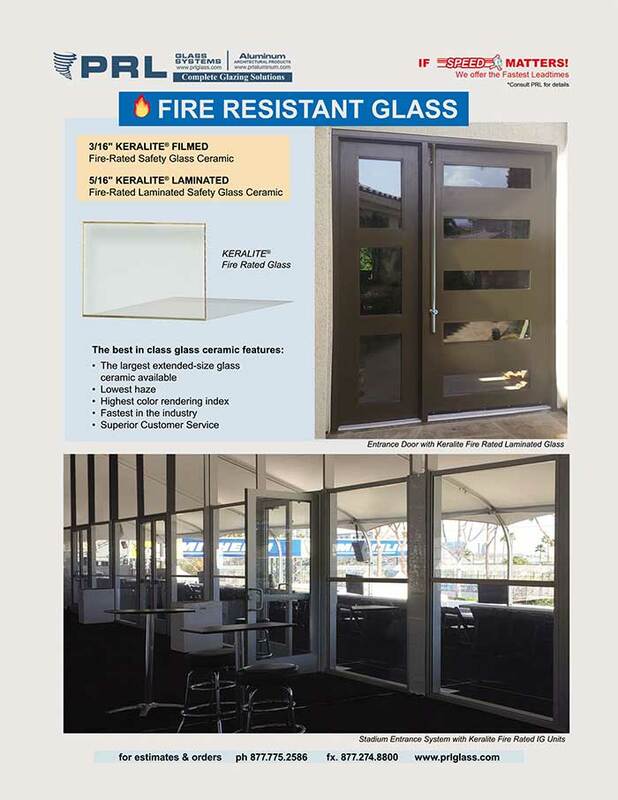 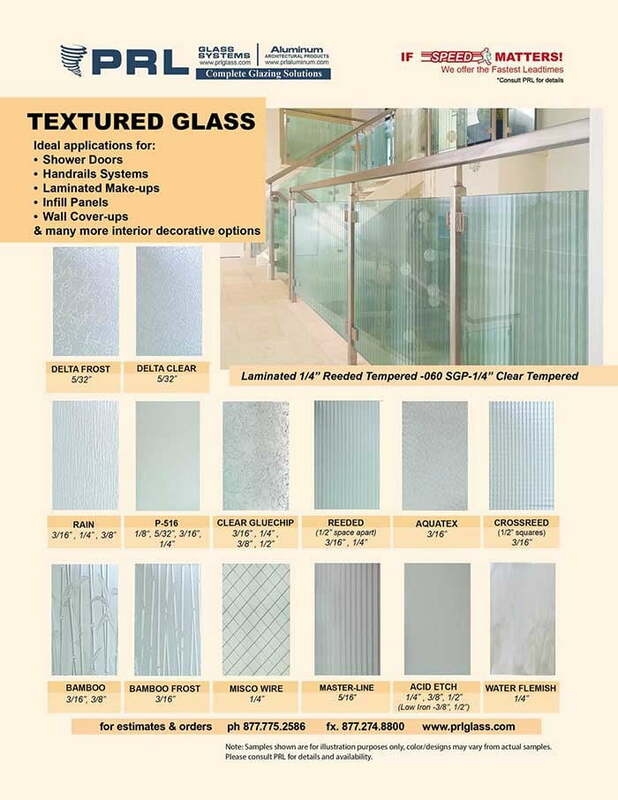 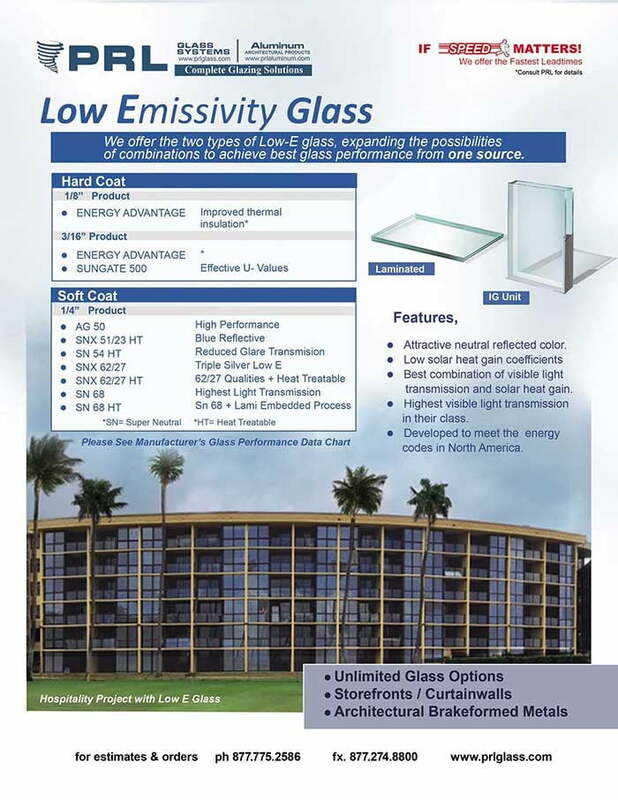 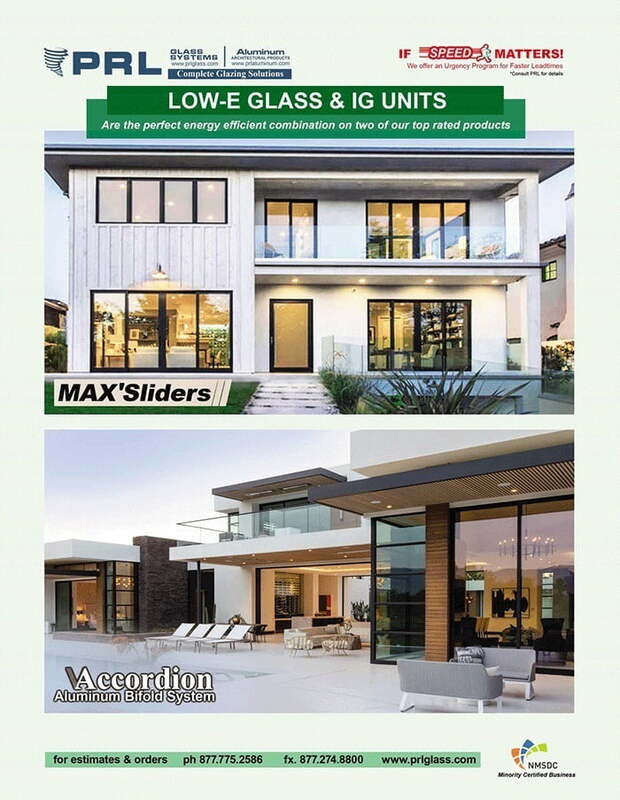 We supply 1/8″ through 3/4″ thick annealed and tempered glass and offer a wide range of textured and tinted, laminated glass including Low Iron, Low-e, Reflective and Mirror. 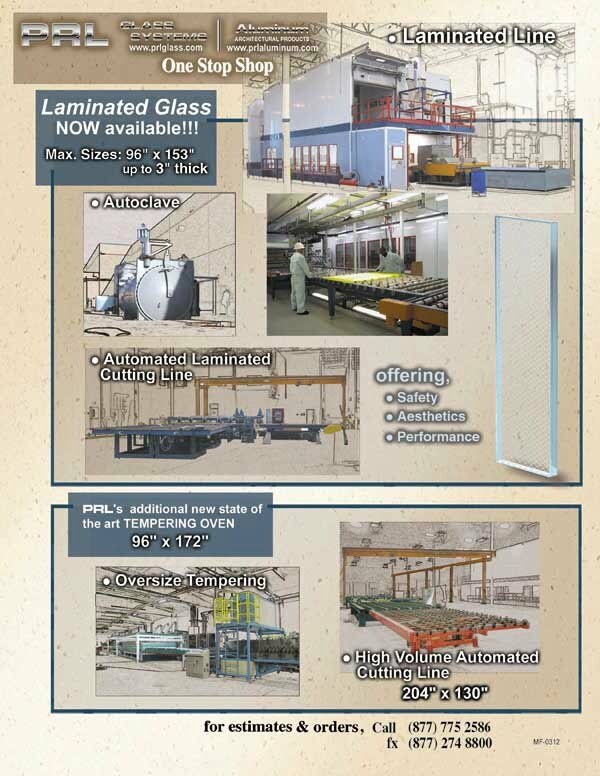 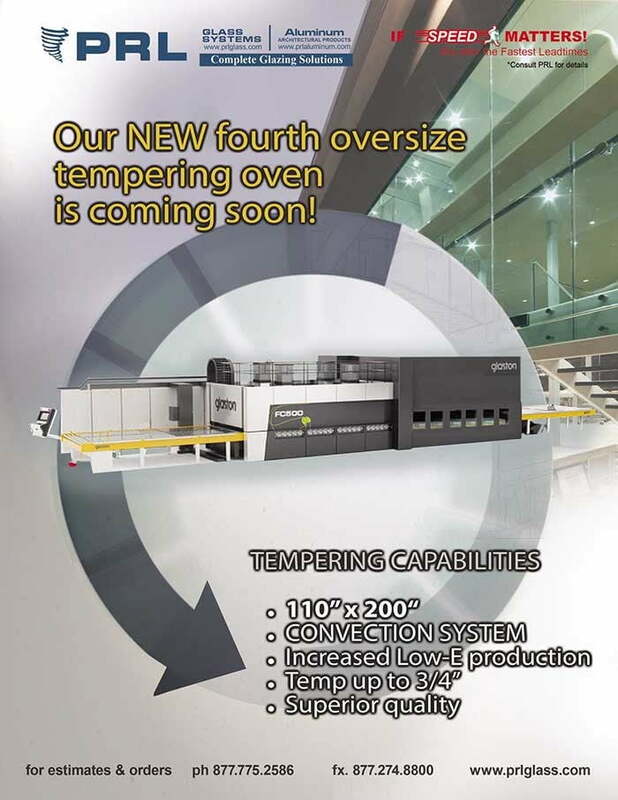 Our current tempering furnace capacity handles glass up to 96″ x 184″. 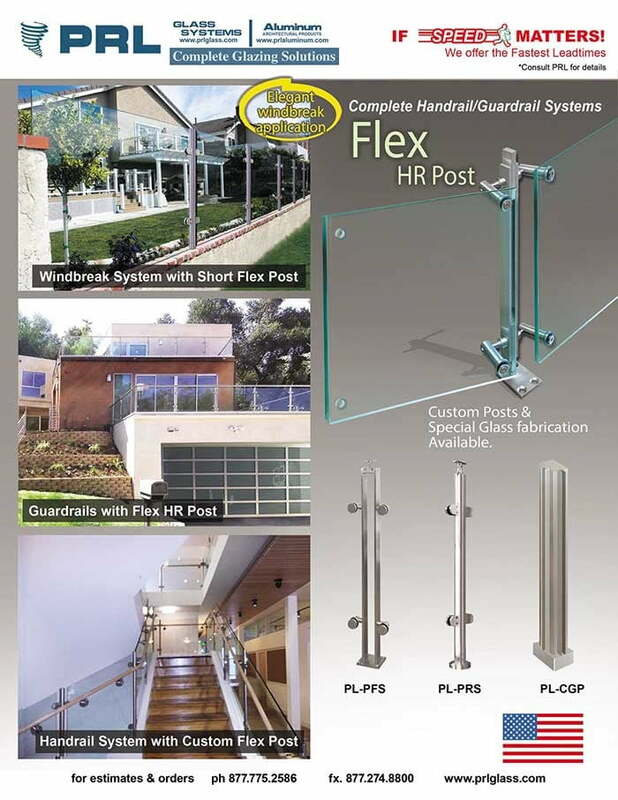 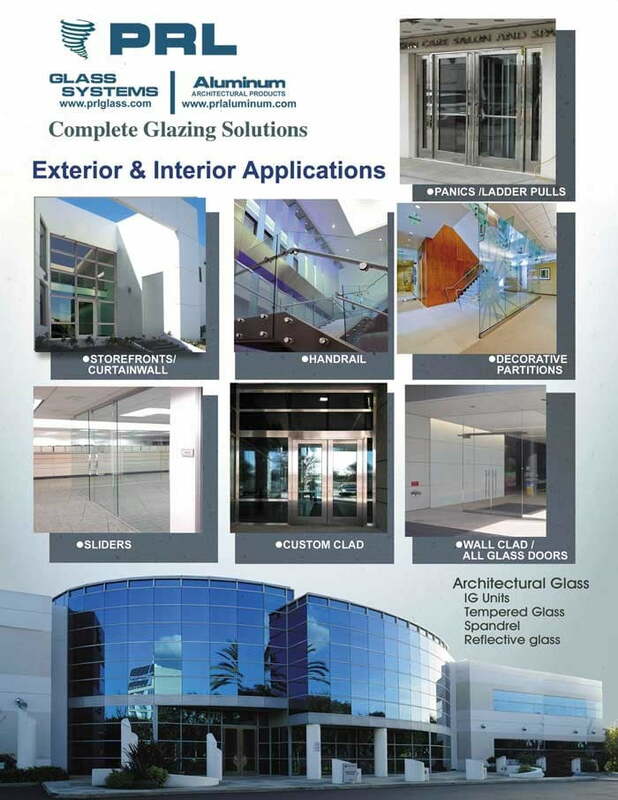 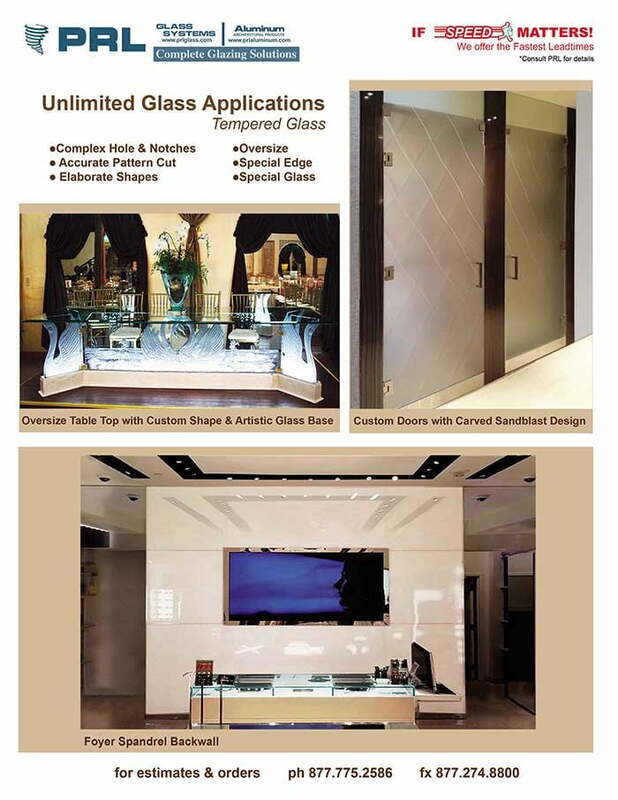 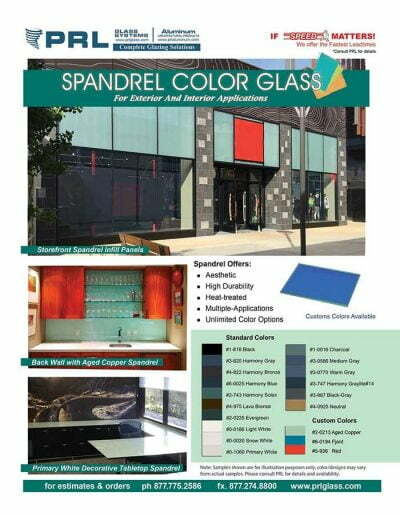 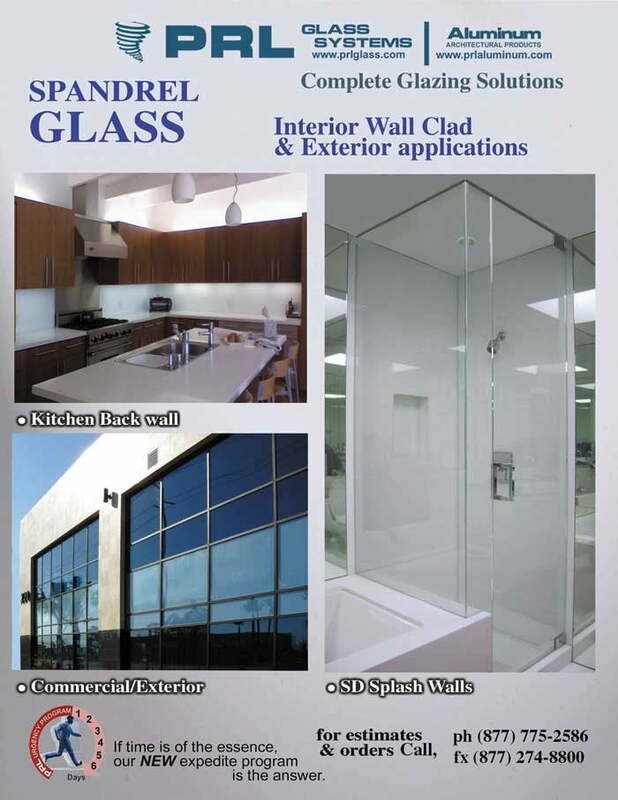 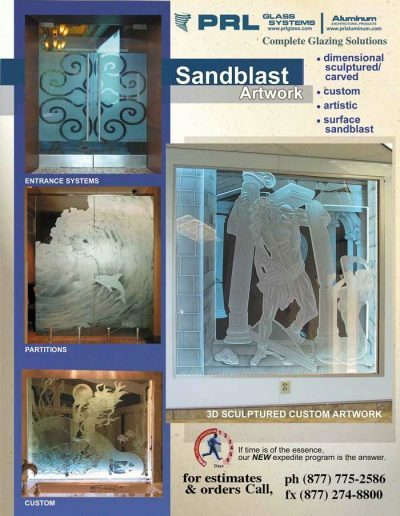 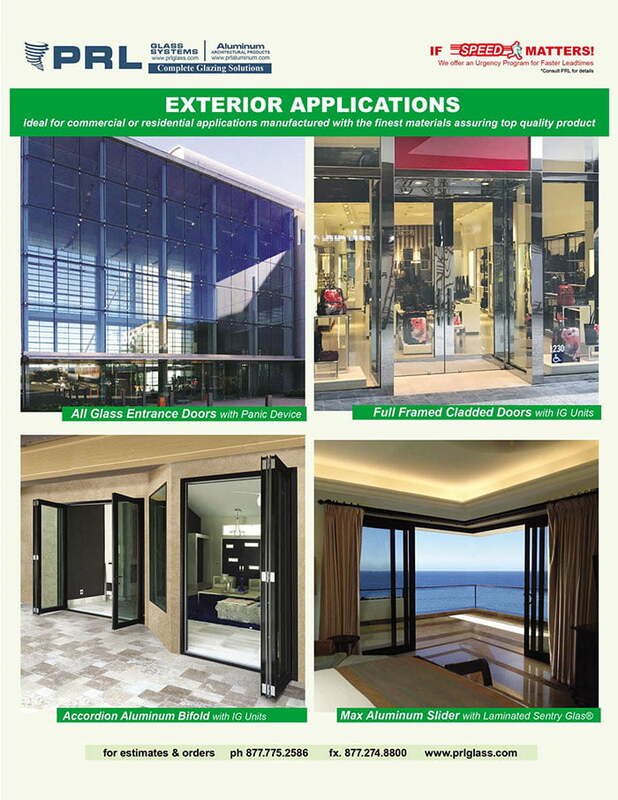 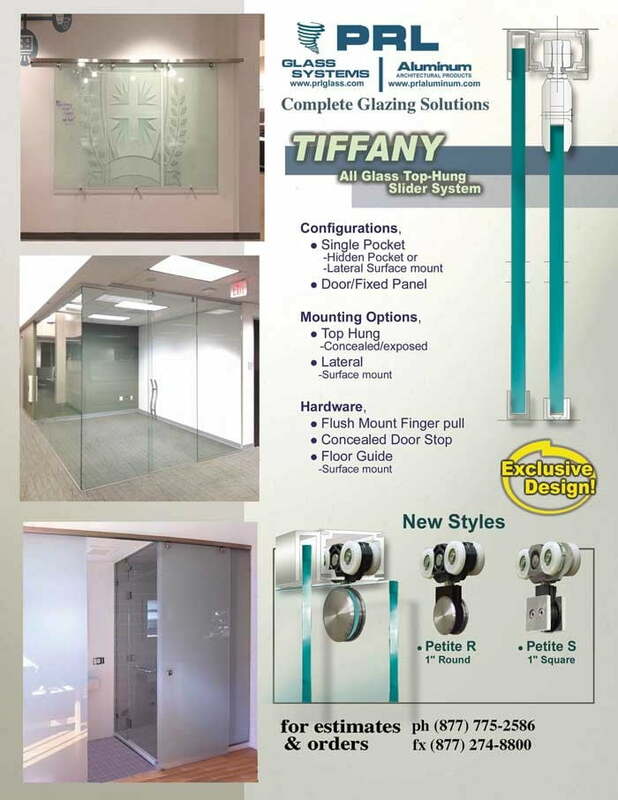 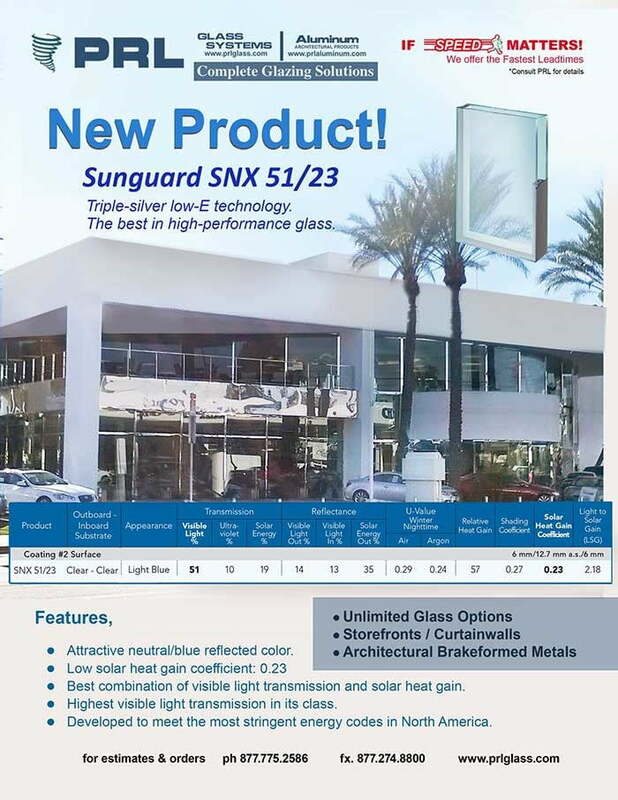 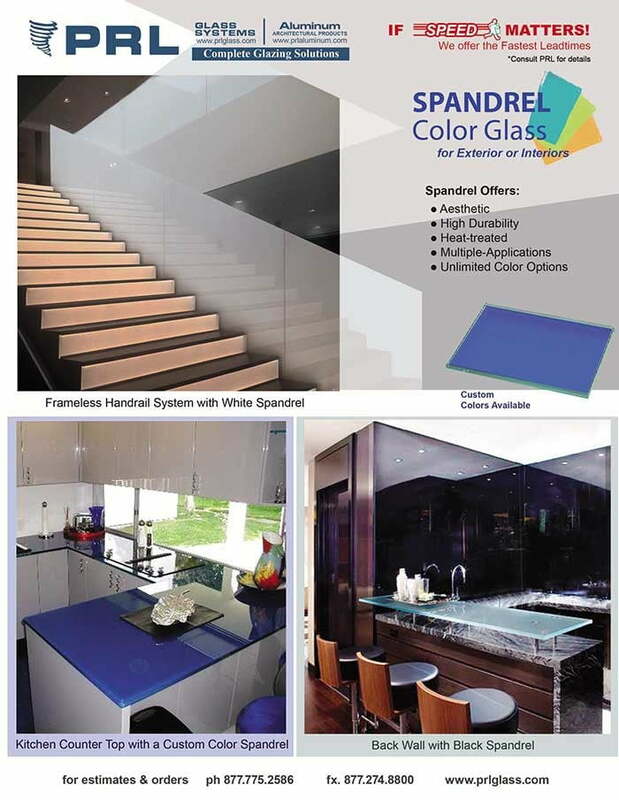 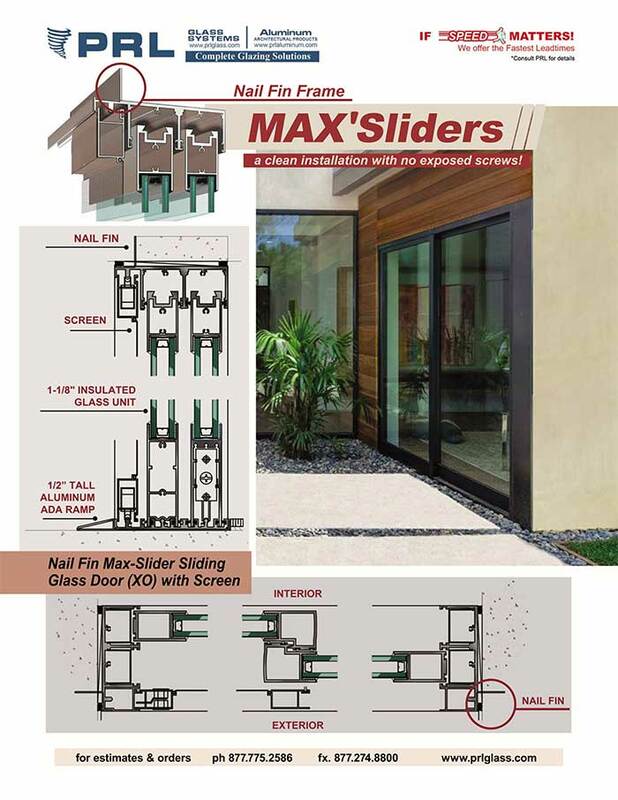 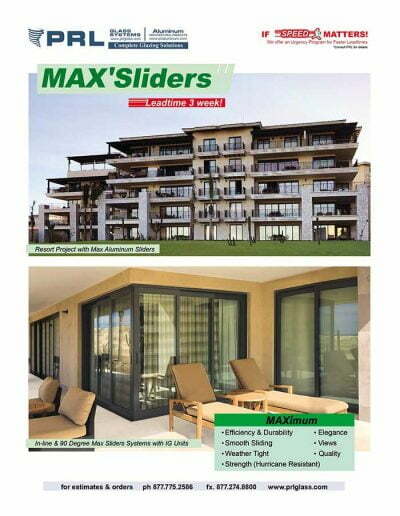 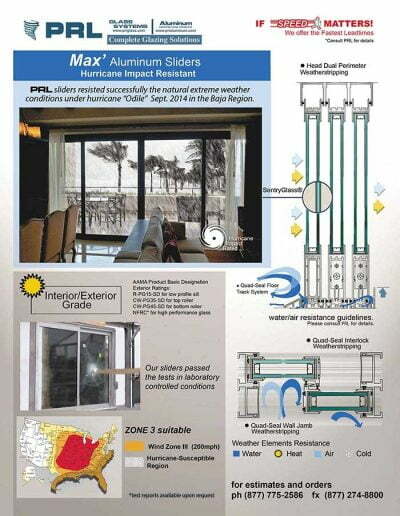 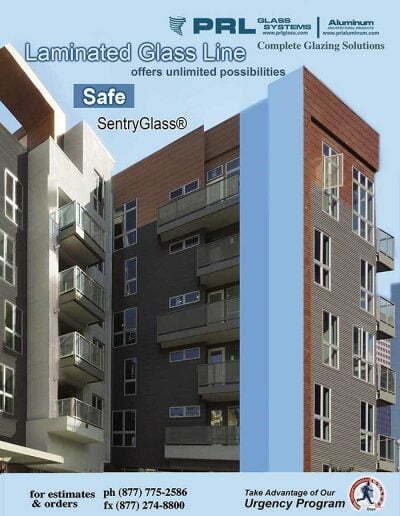 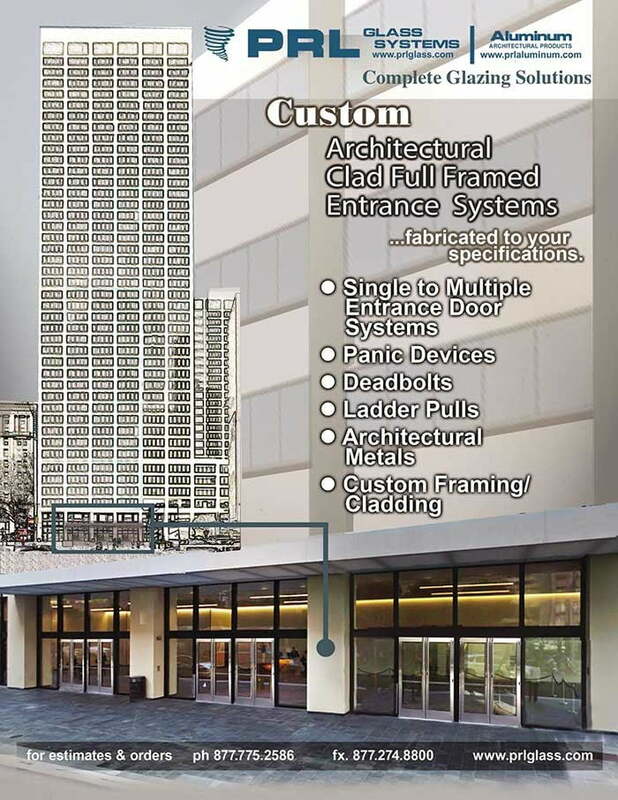 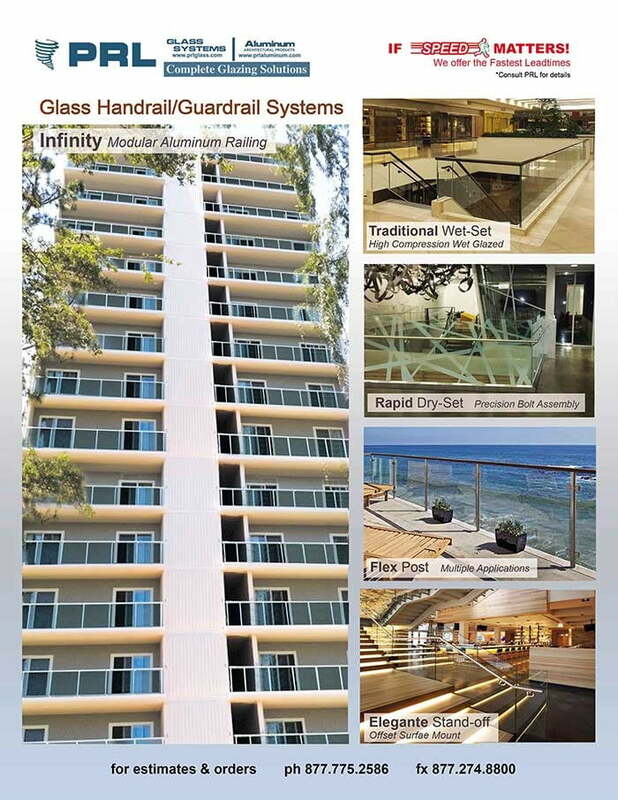 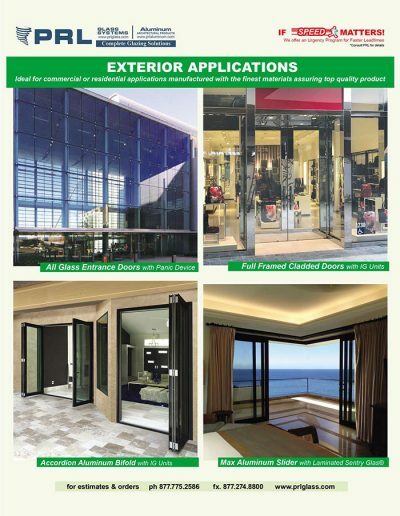 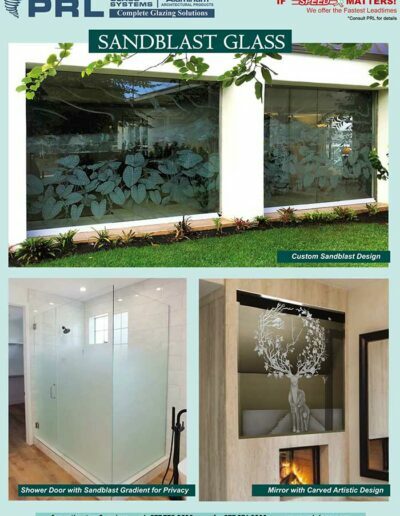 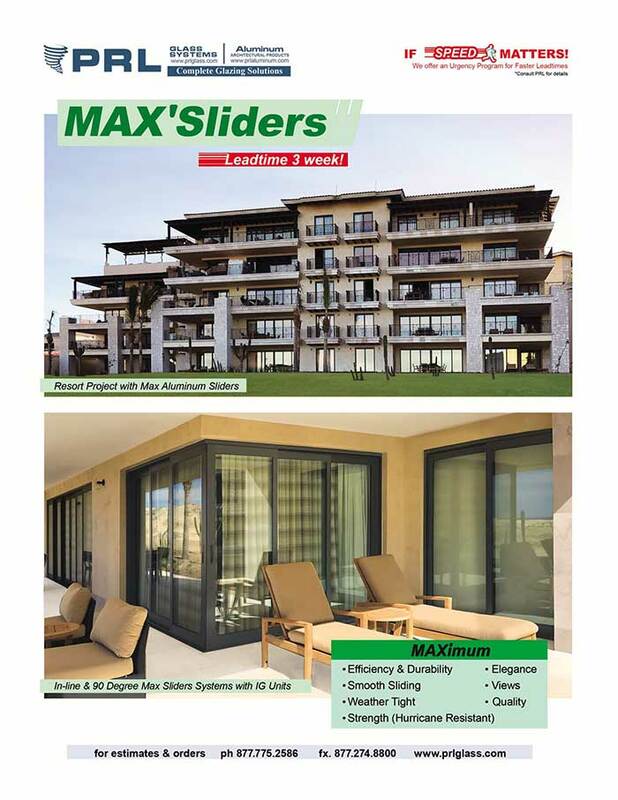 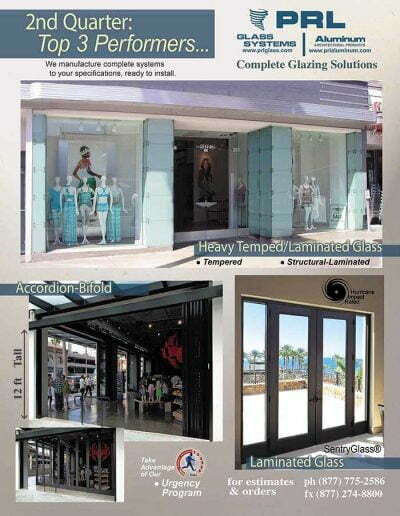 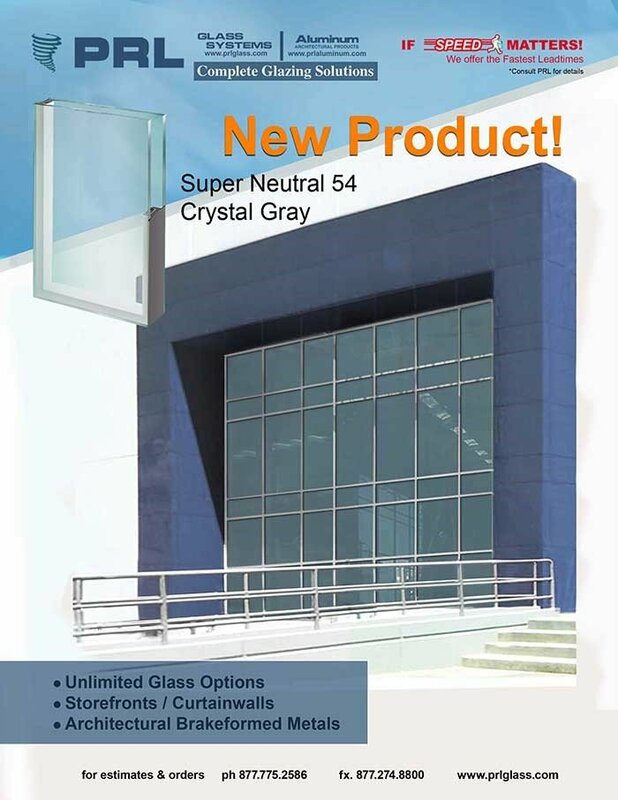 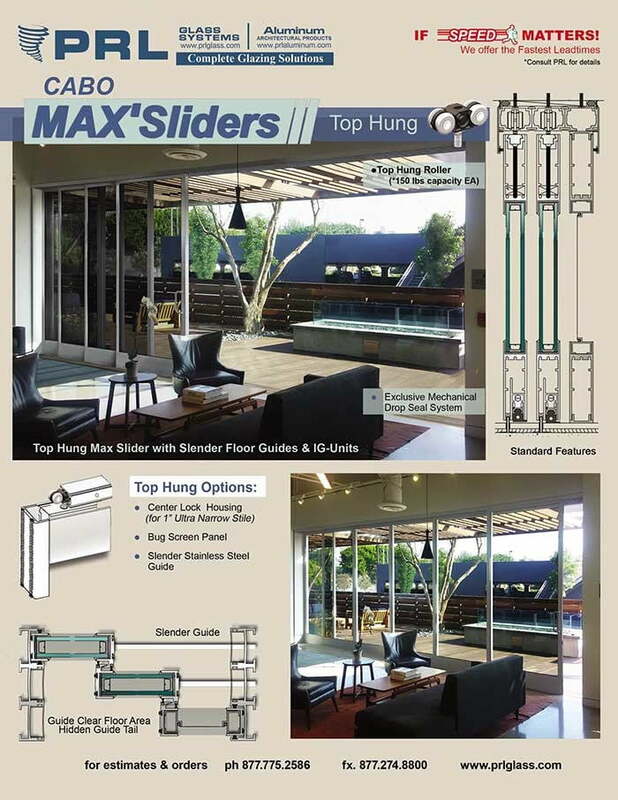 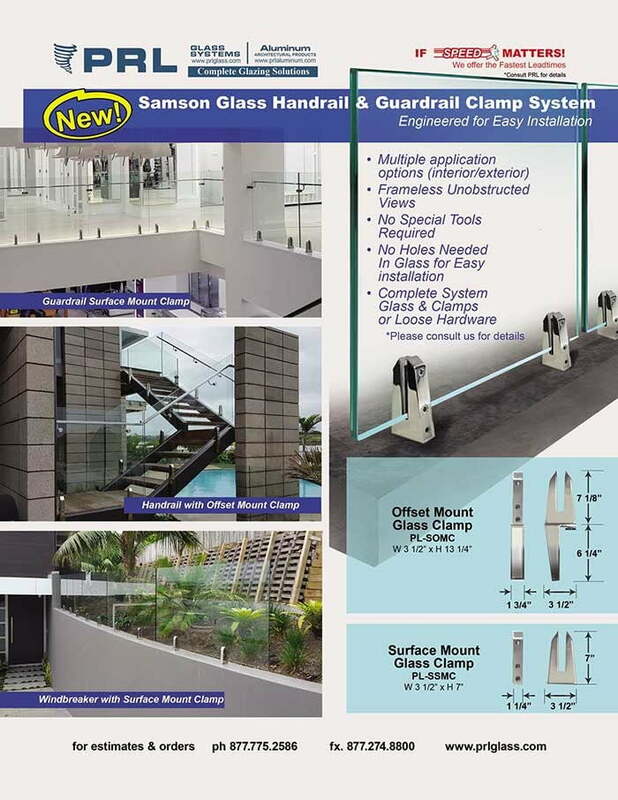 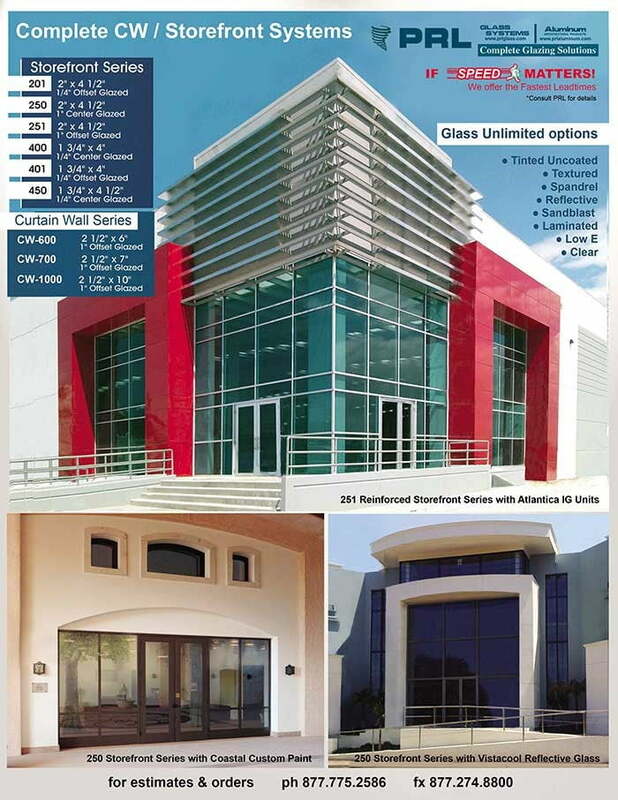 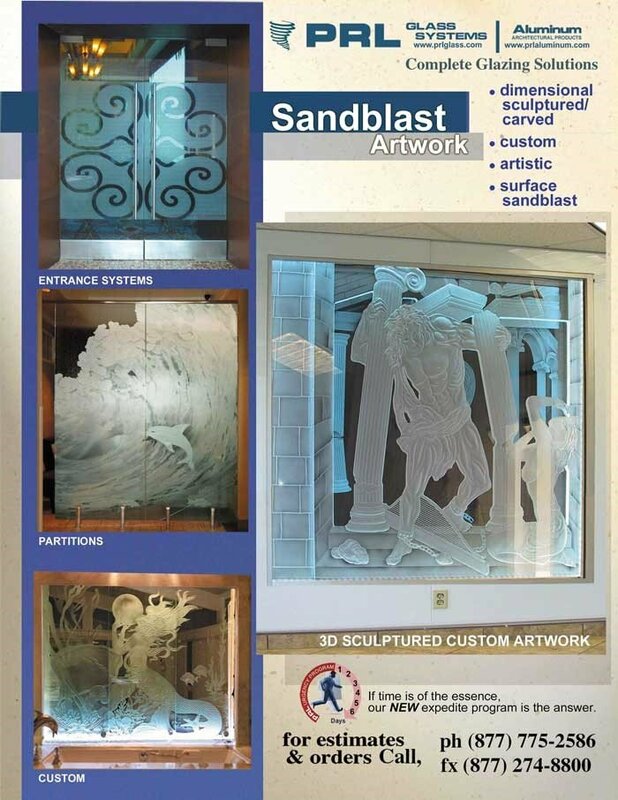 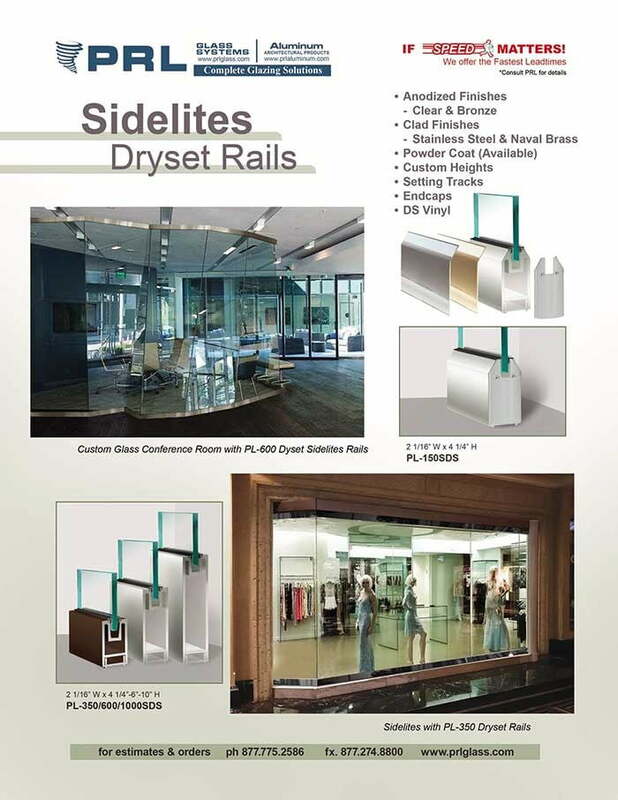 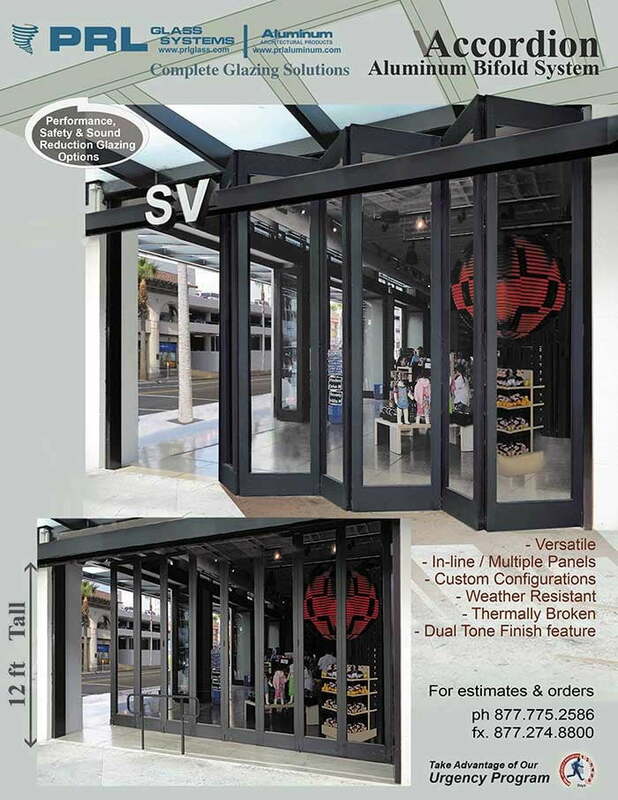 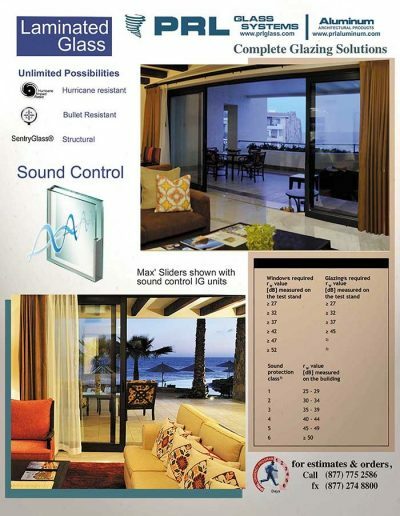 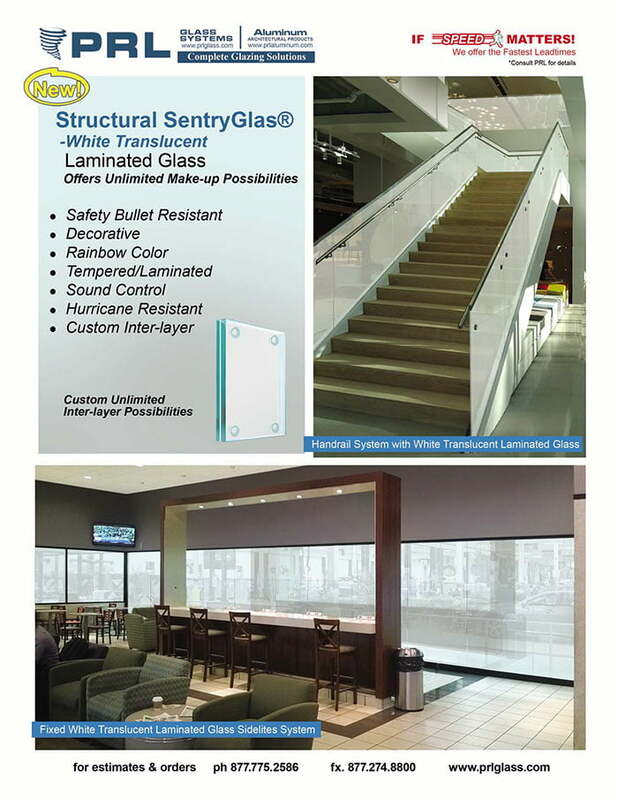 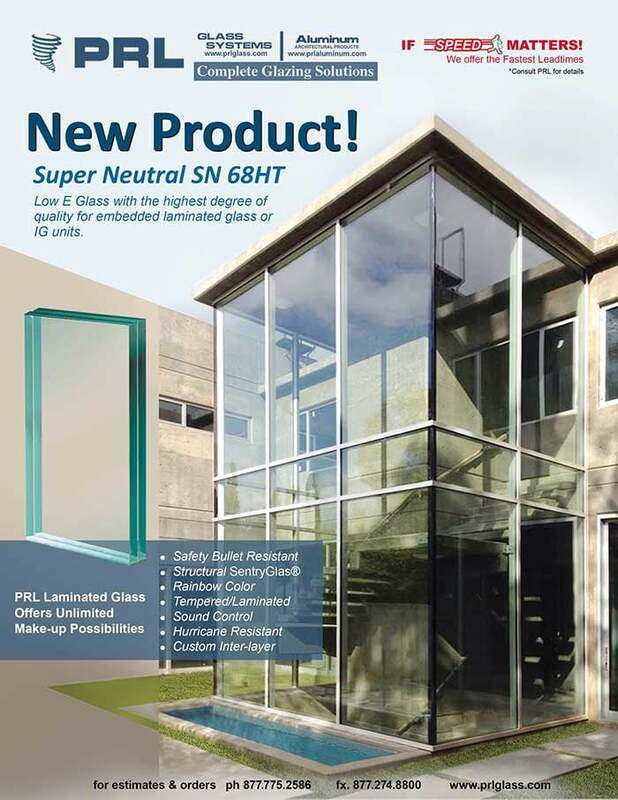 Additional specialty glass products fabricated in-house are Spandrel, Insulated, High Performance Insulated Glass and Sandblasted Glass. 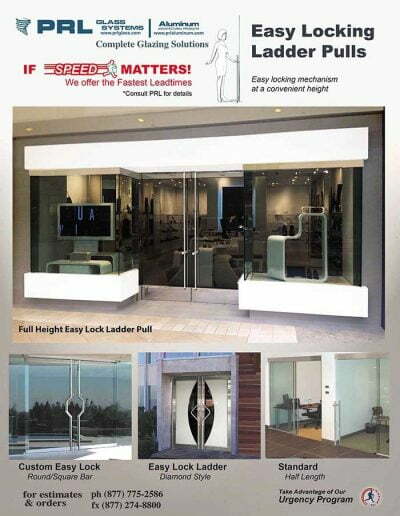 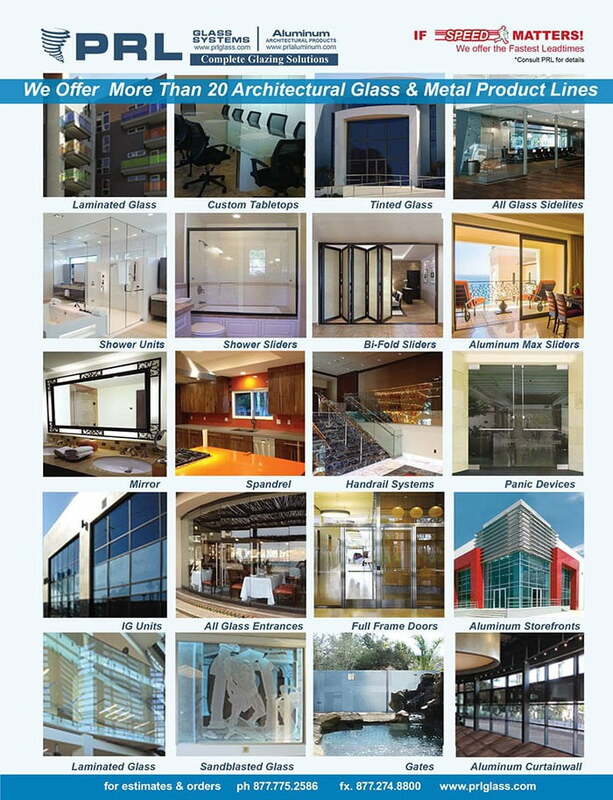 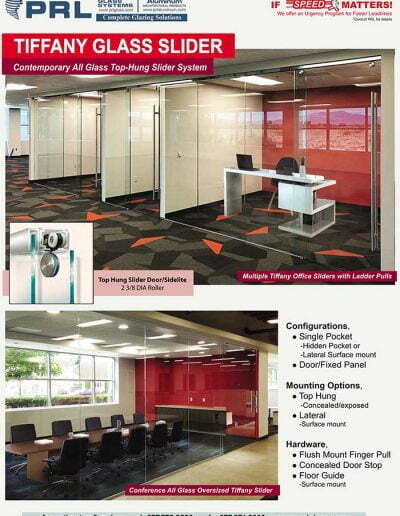 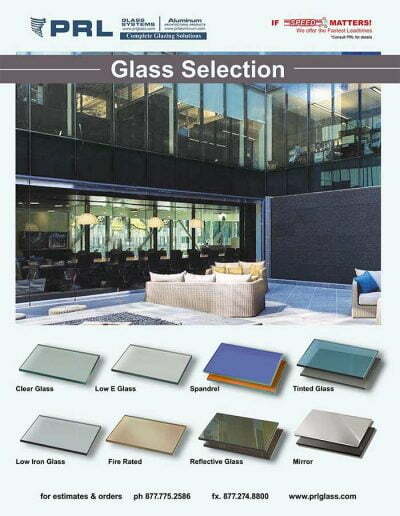 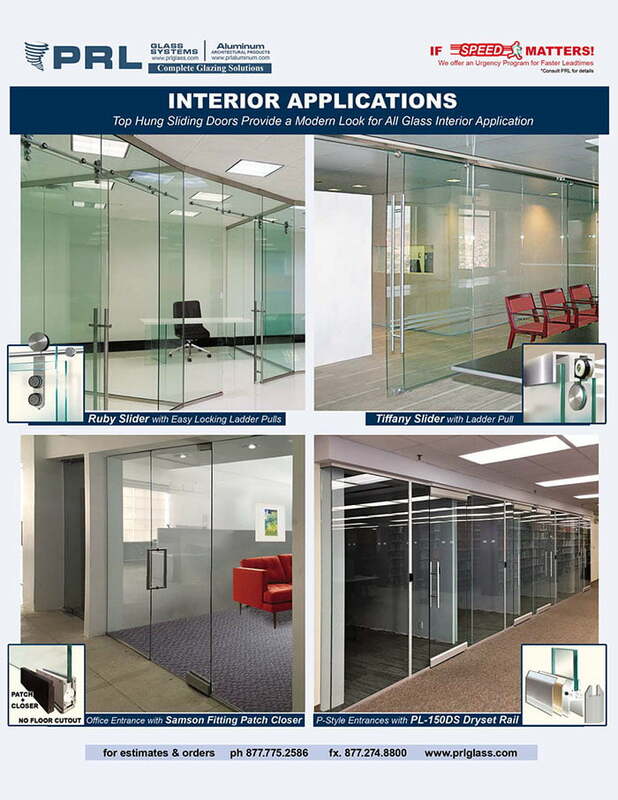 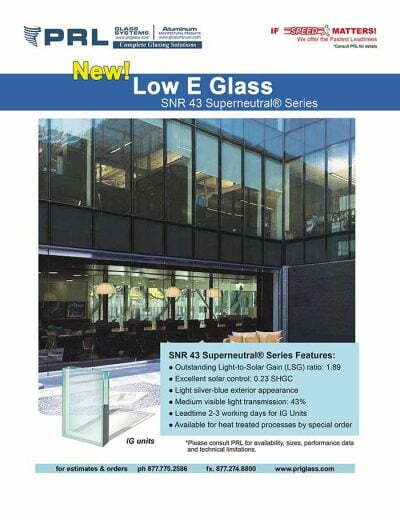 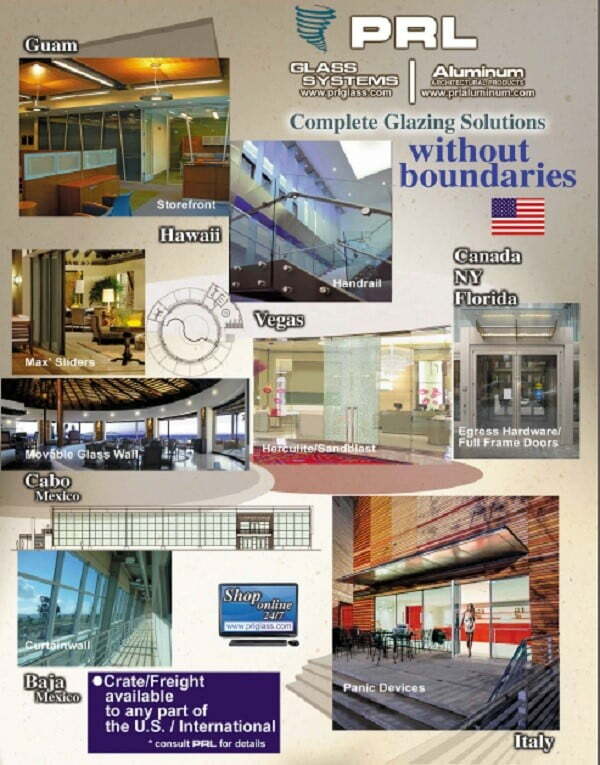 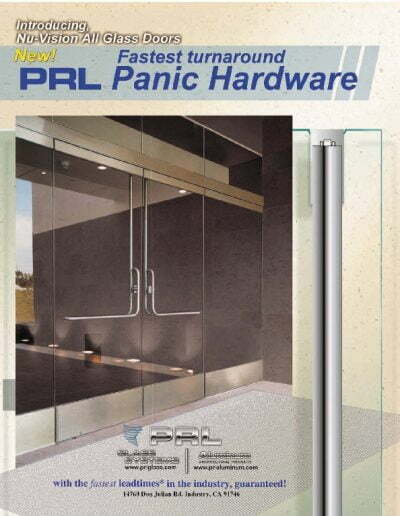 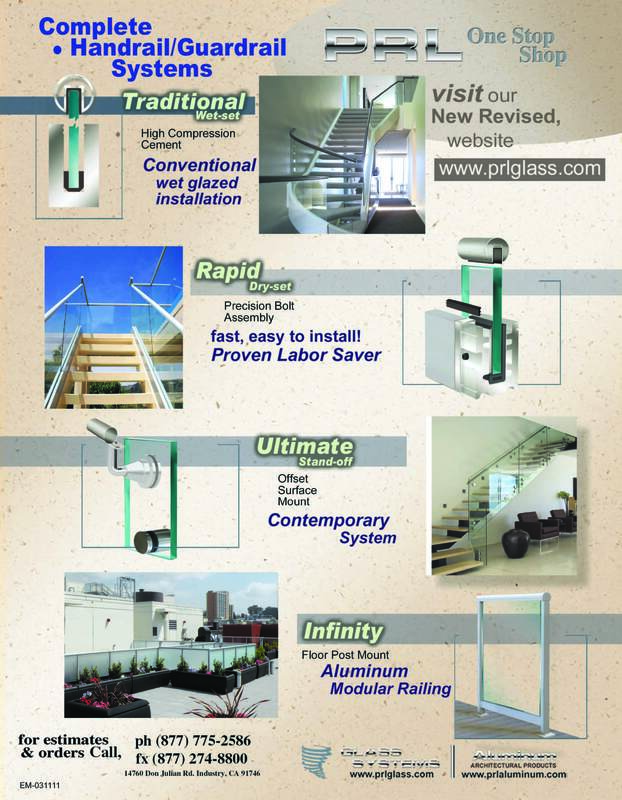 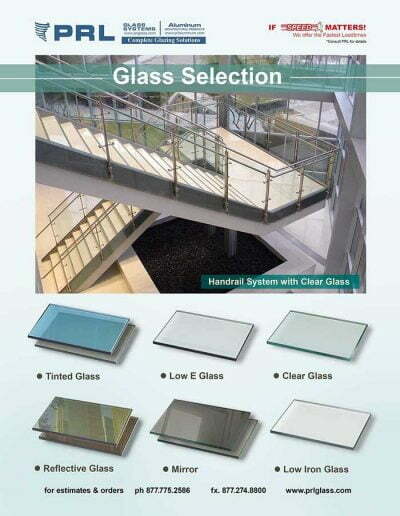 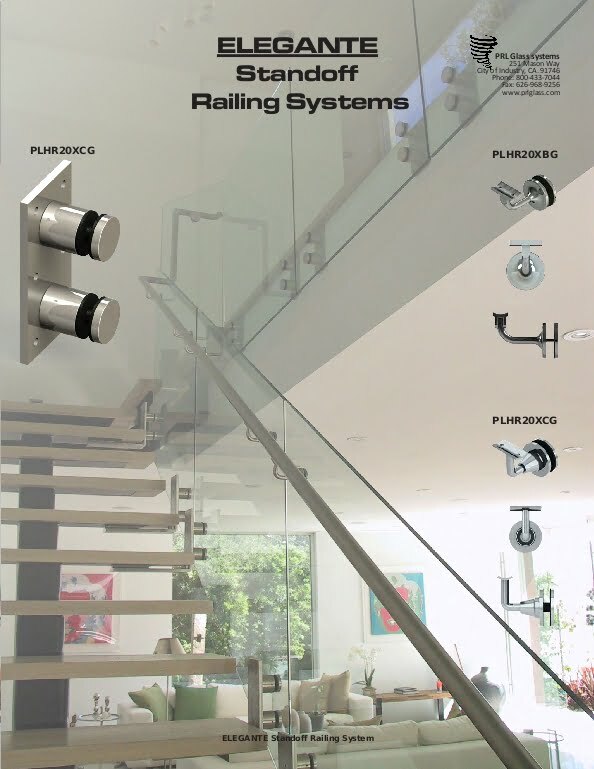 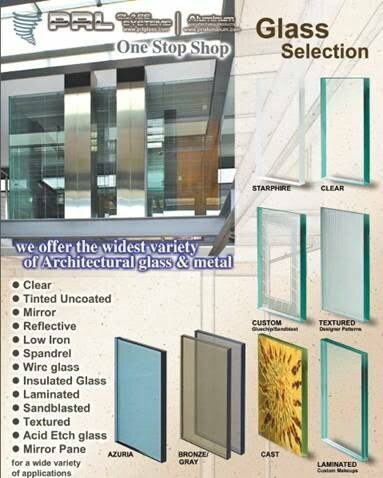 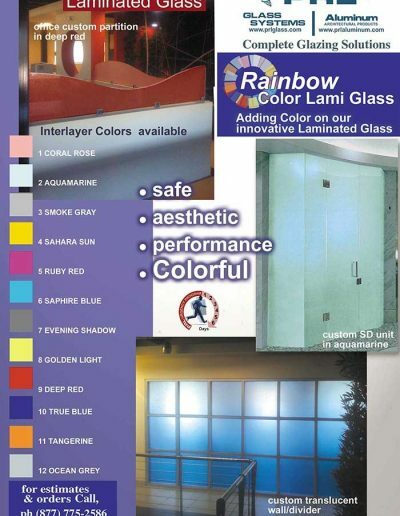 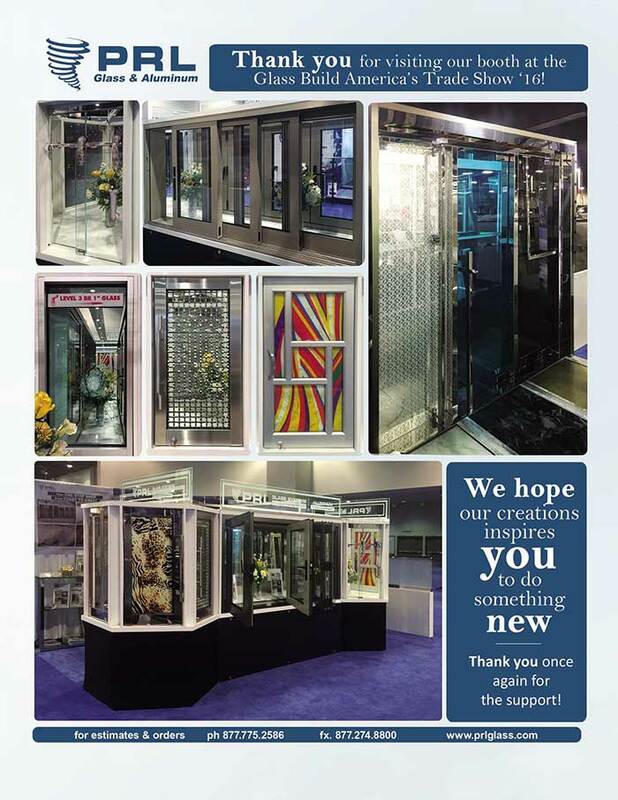 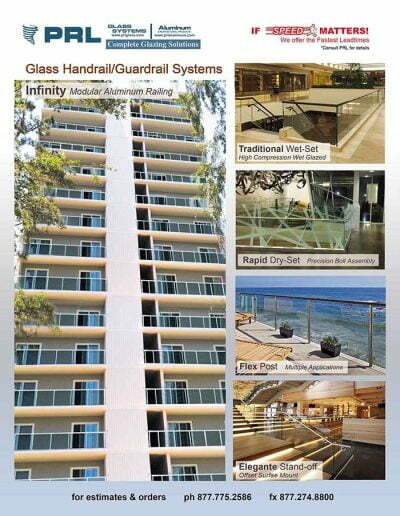 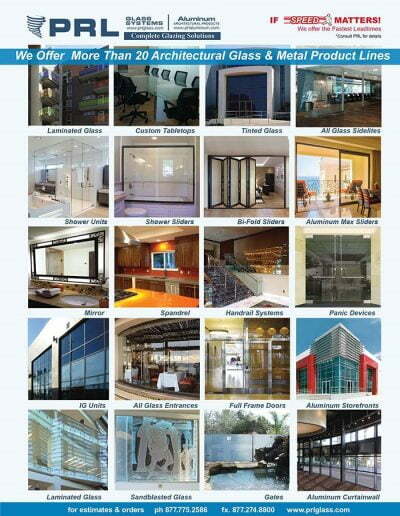 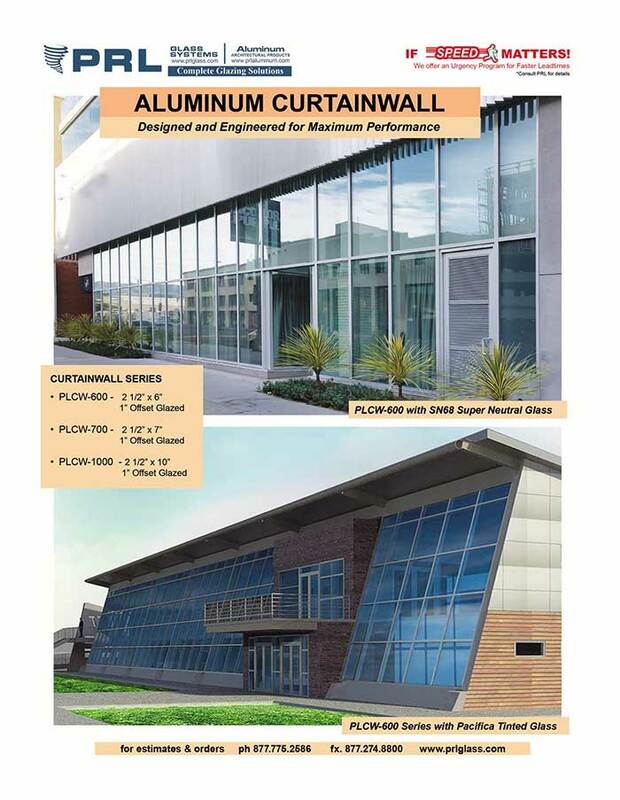 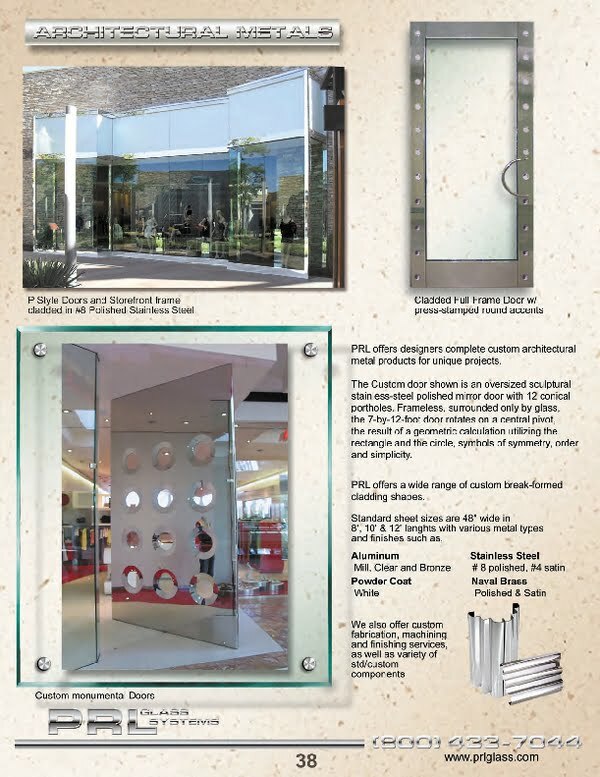 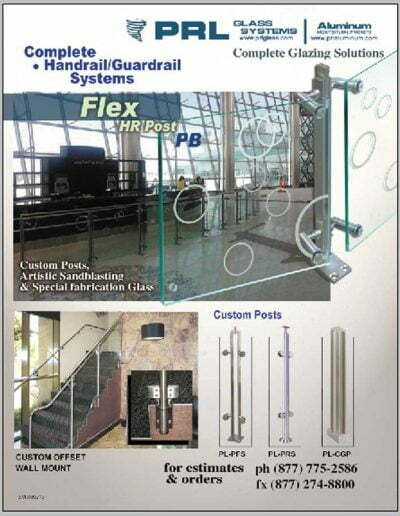 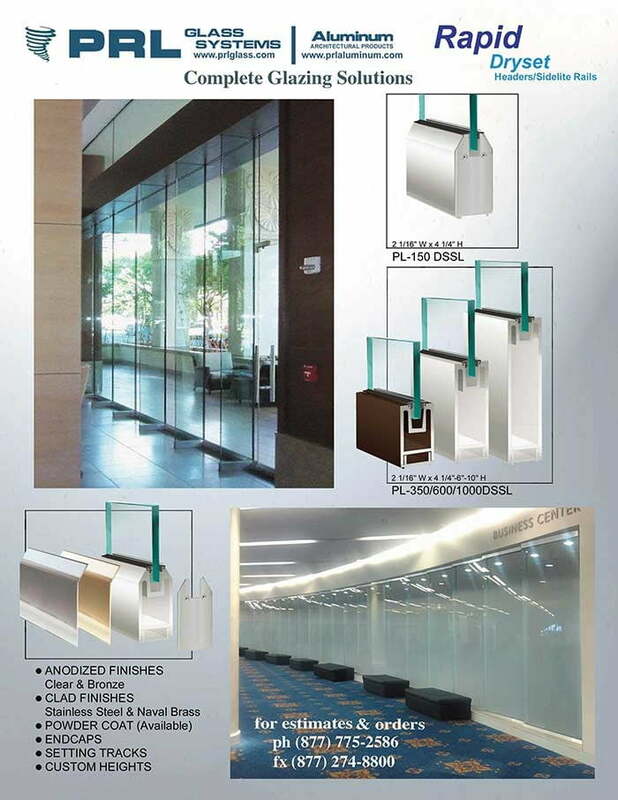 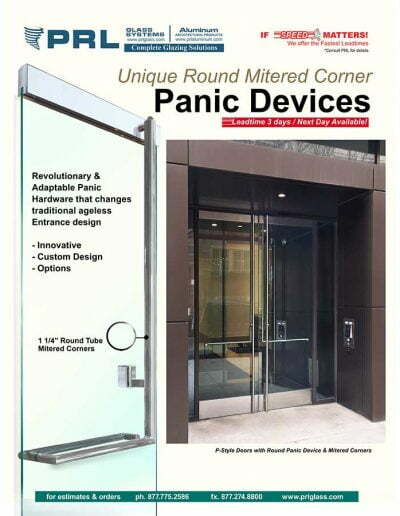 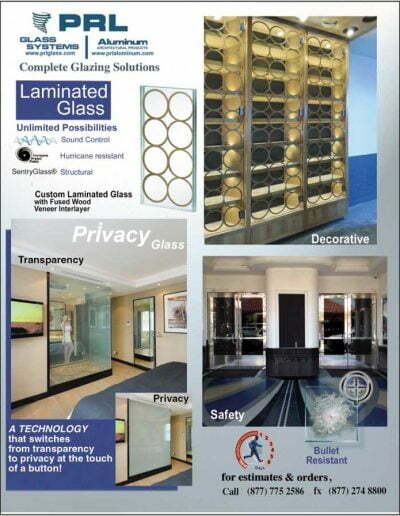 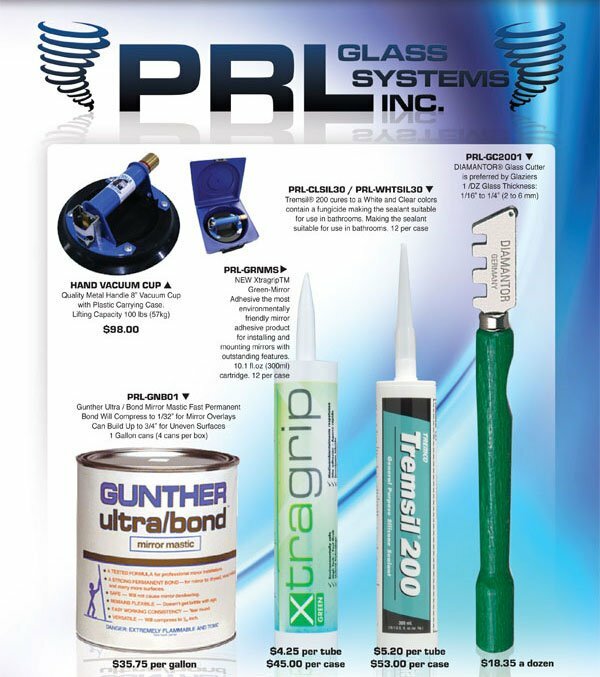 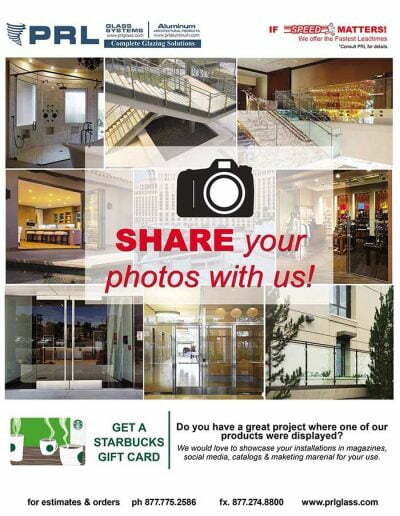 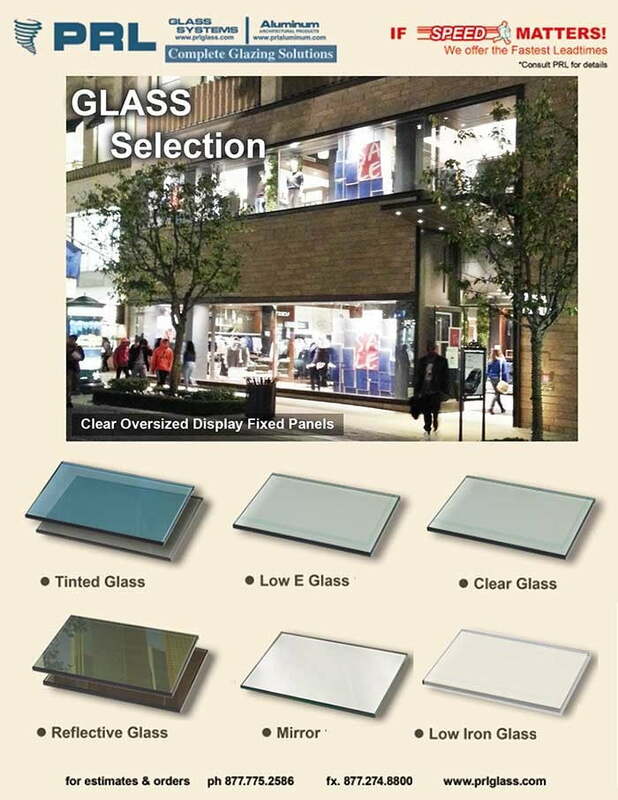 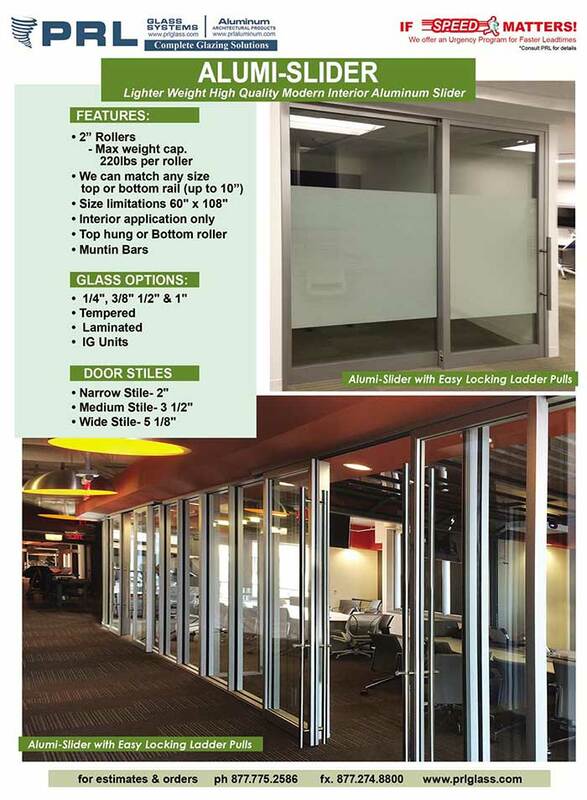 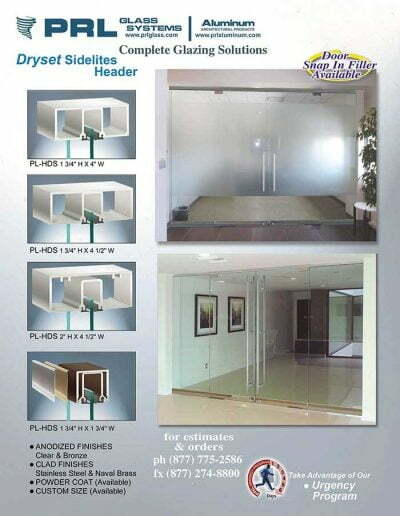 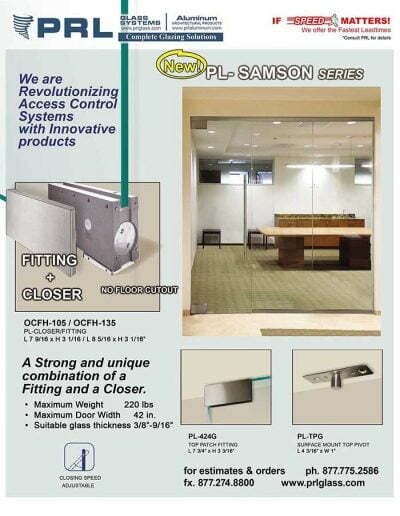 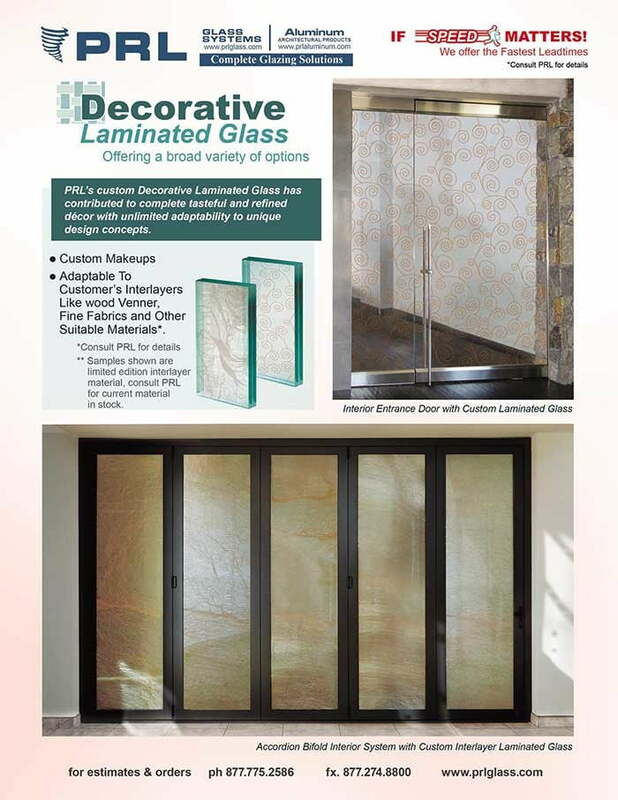 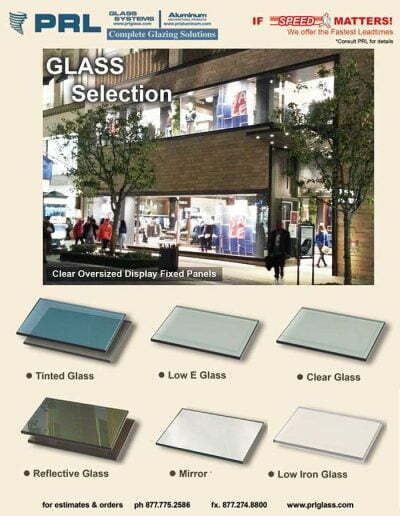 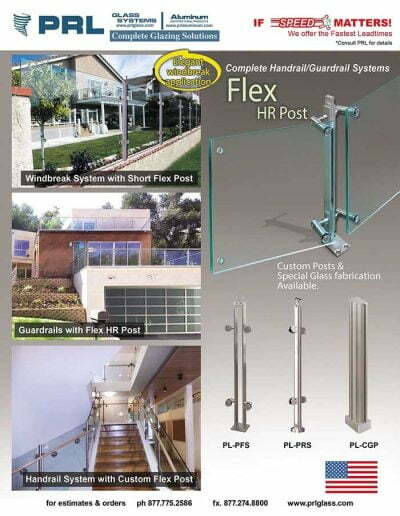 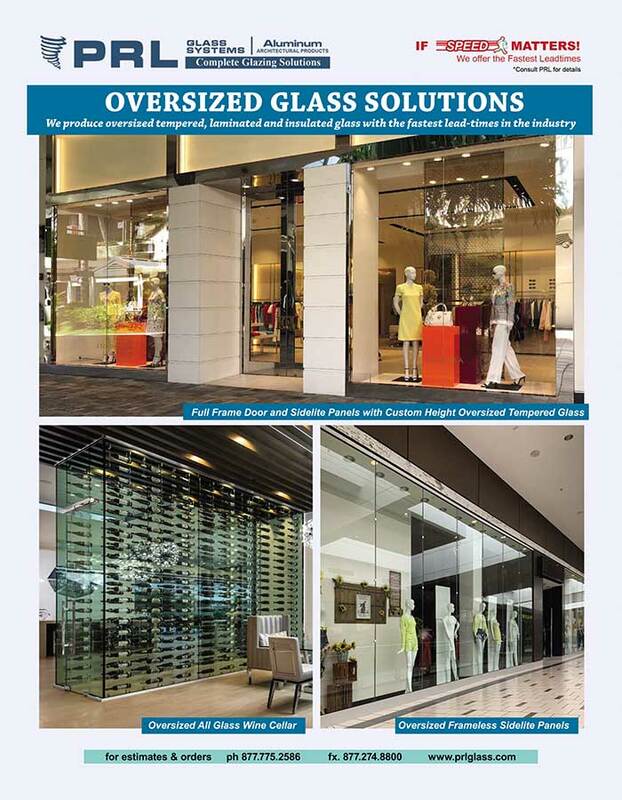 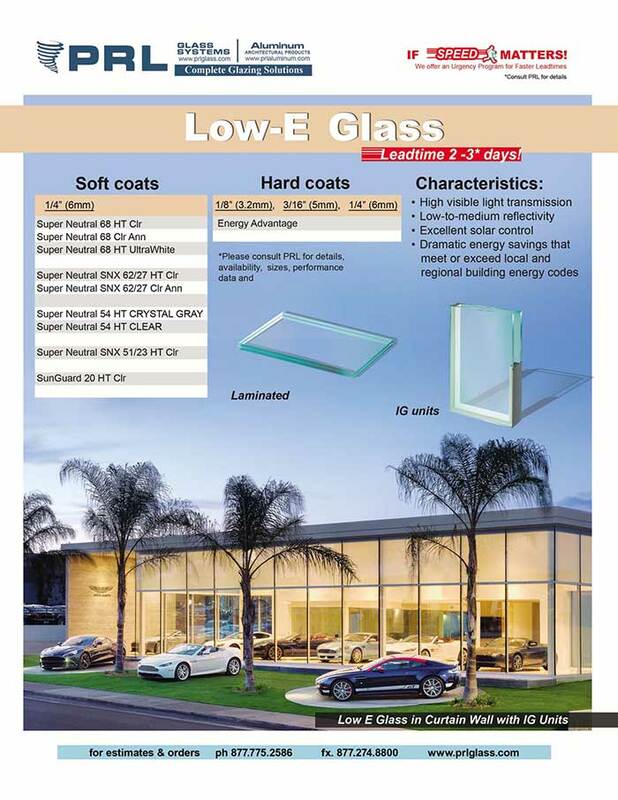 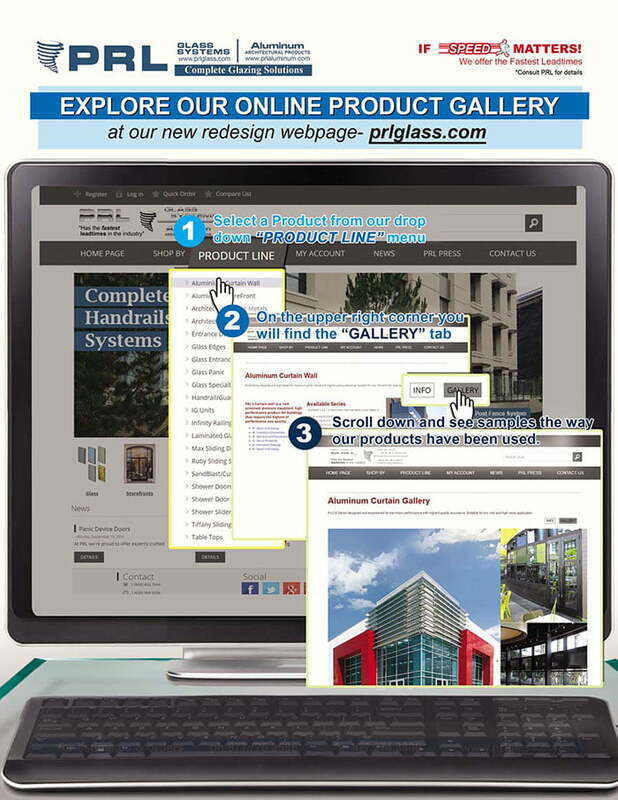 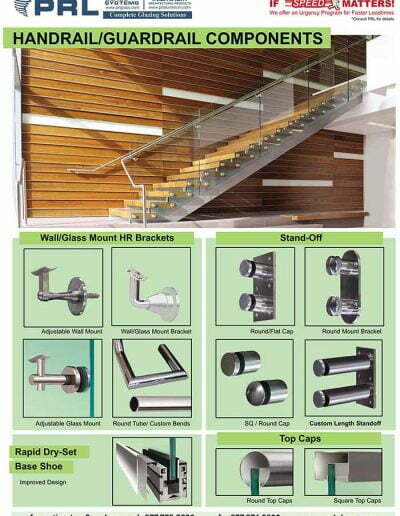 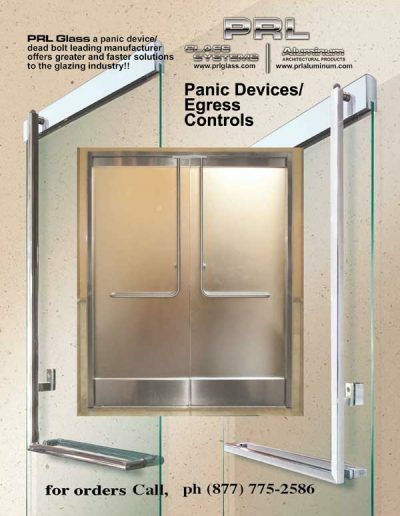 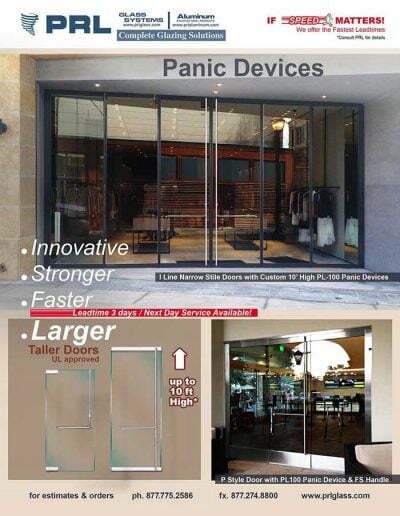 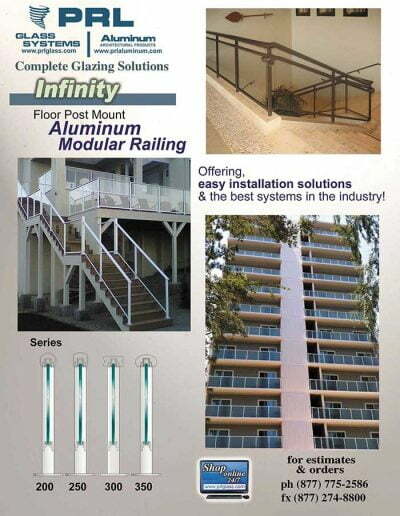 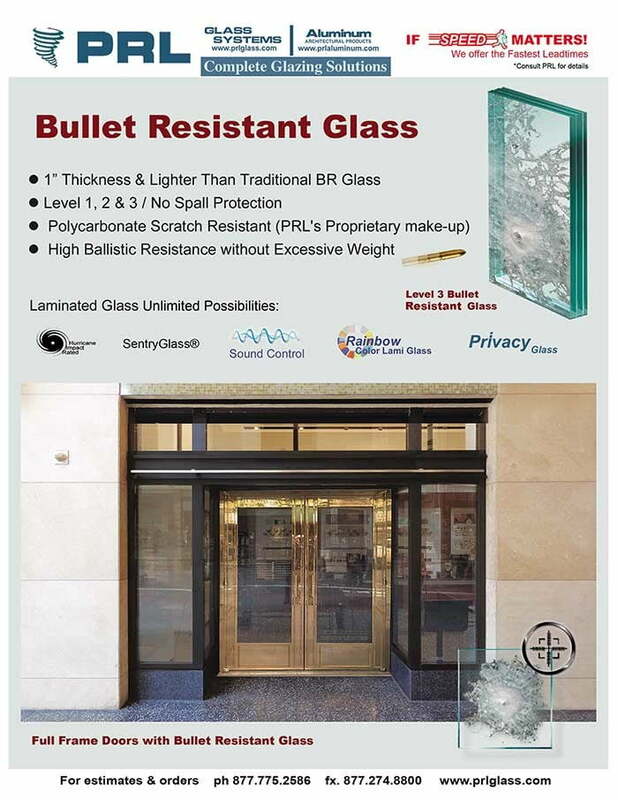 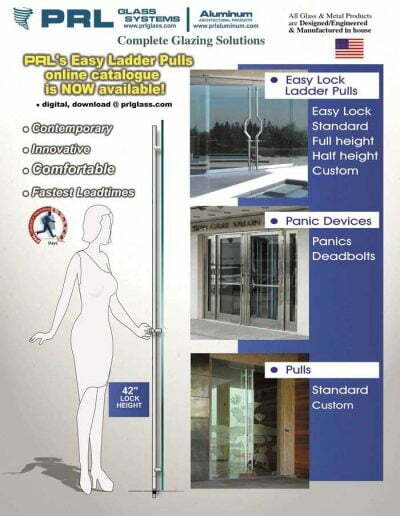 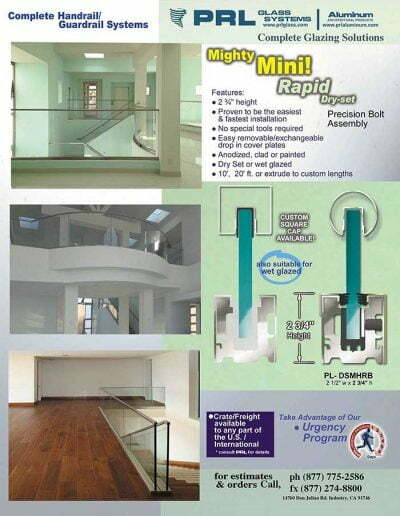 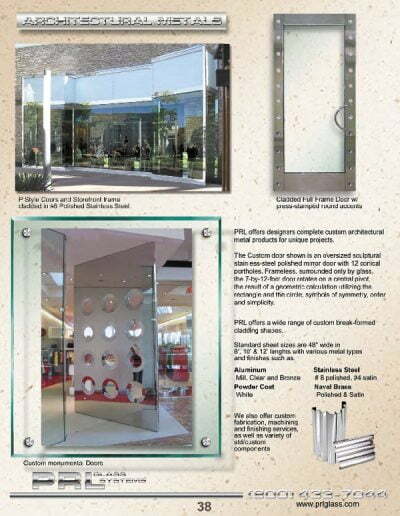 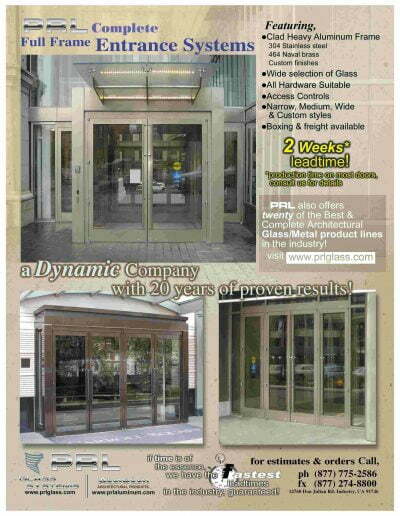 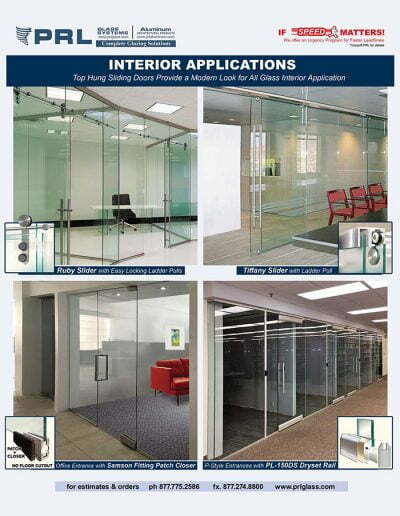 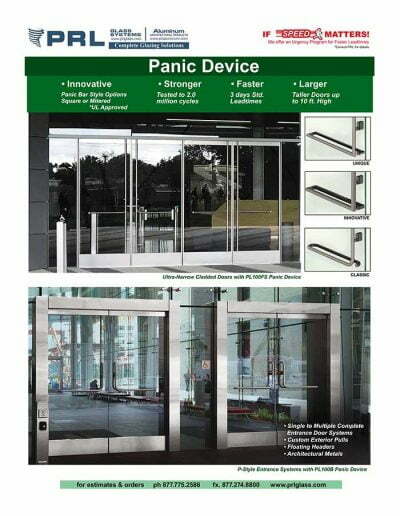 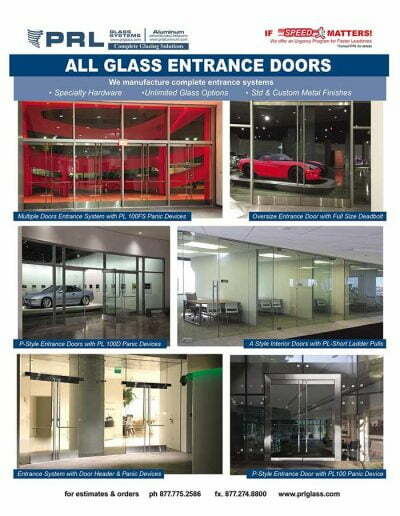 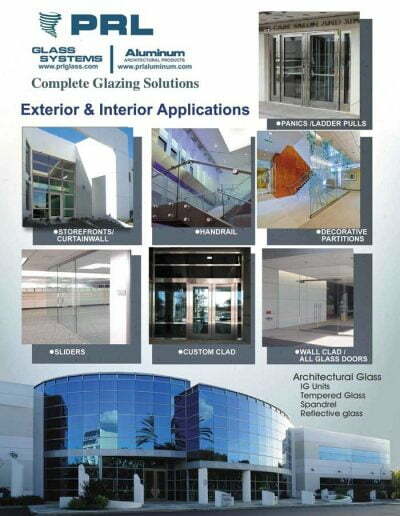 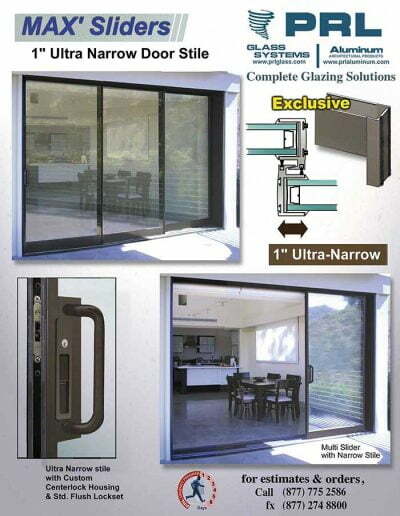 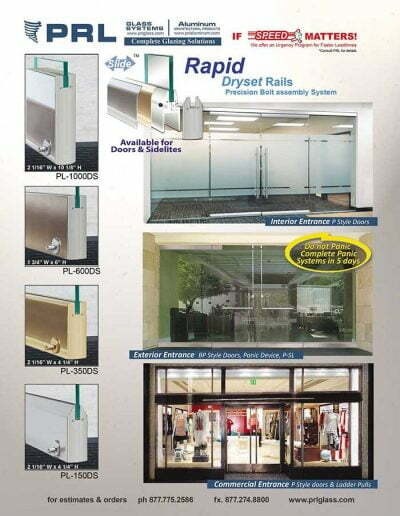 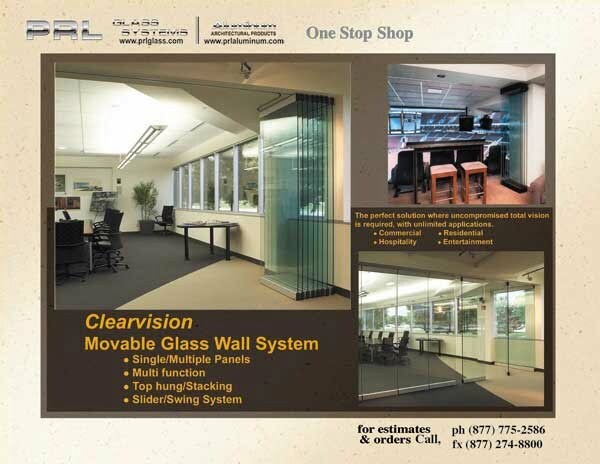 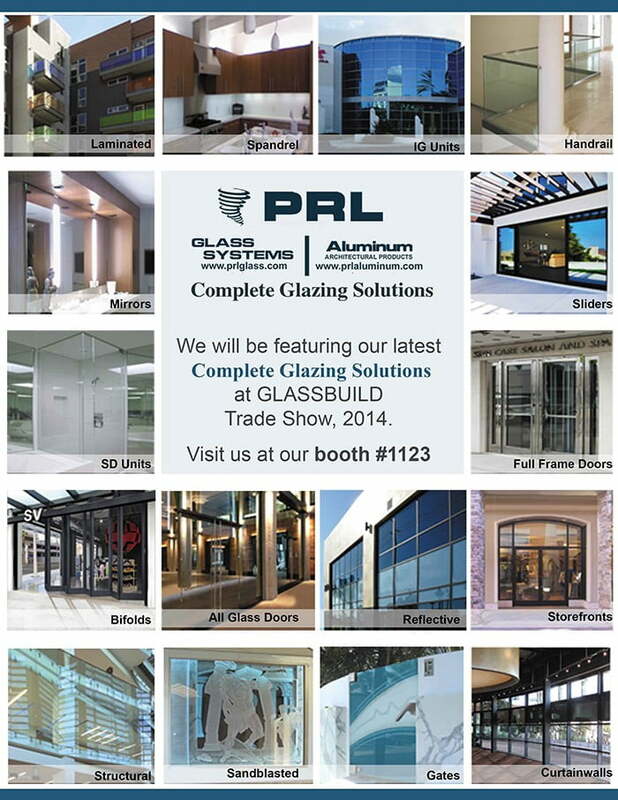 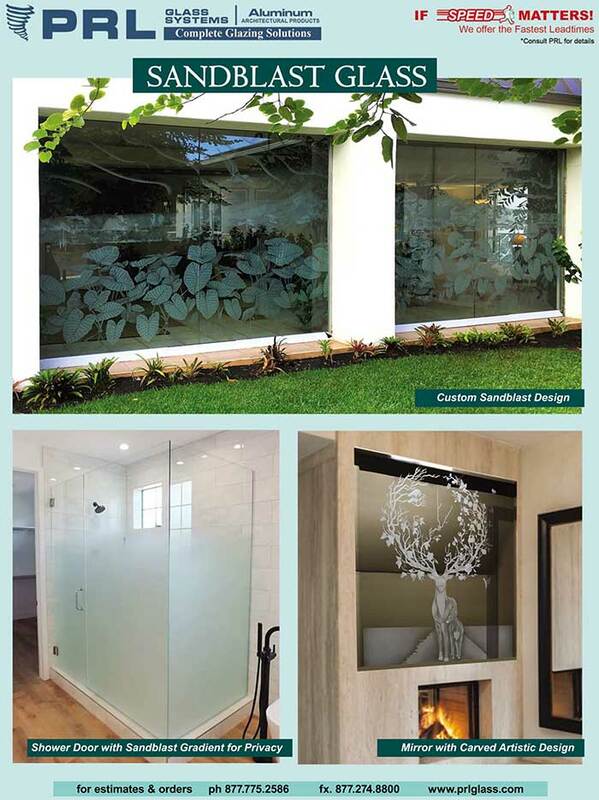 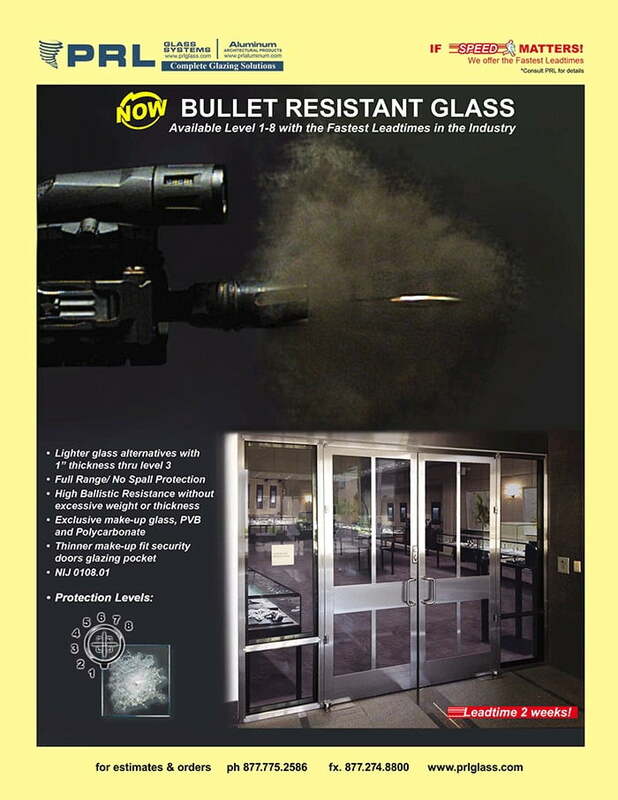 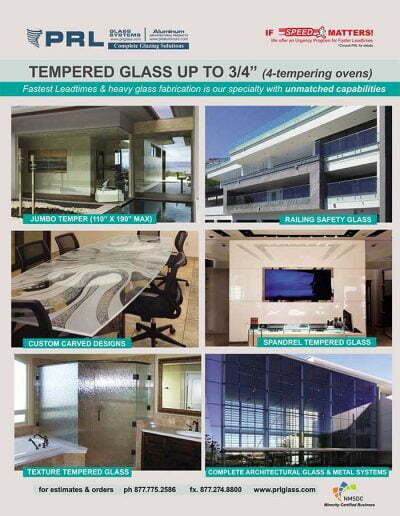 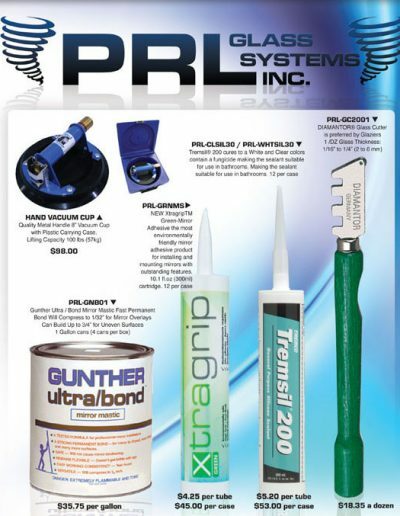 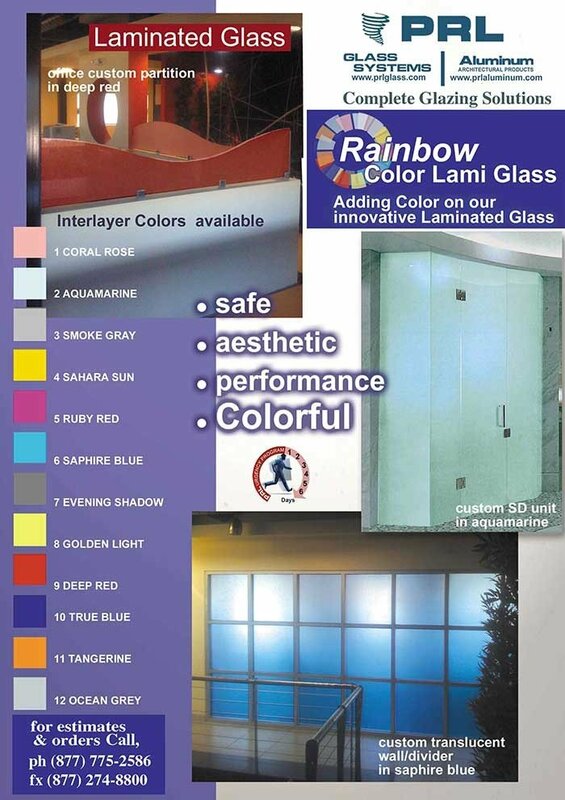 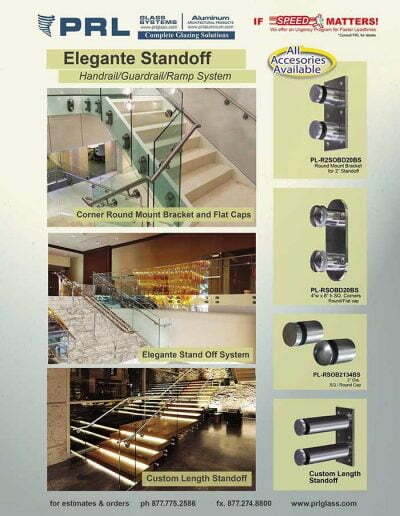 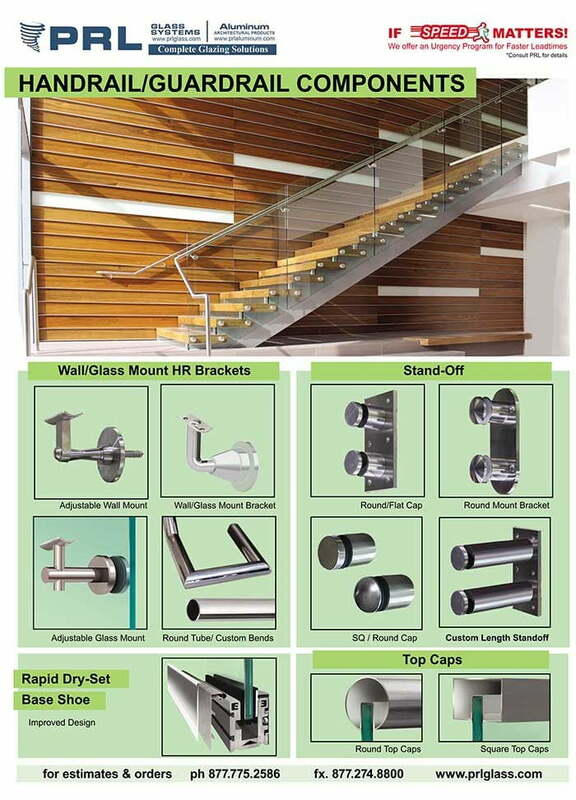 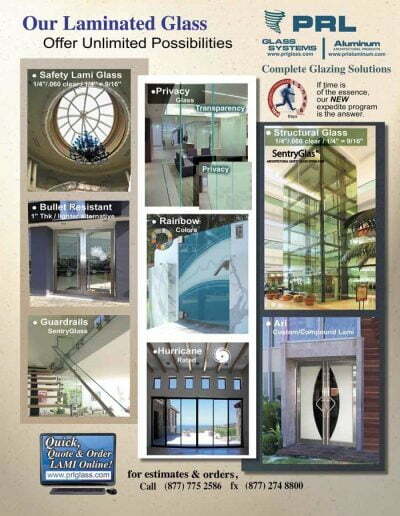 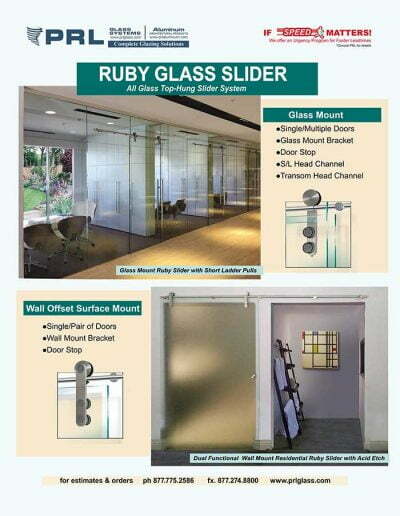 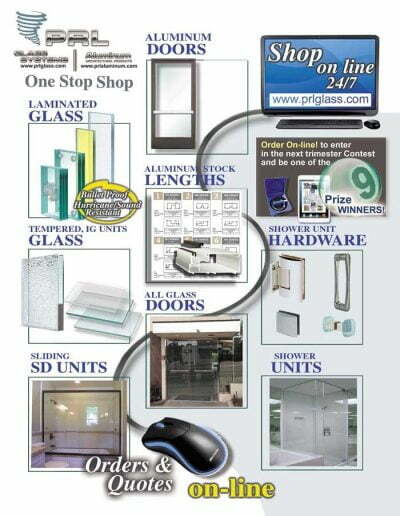 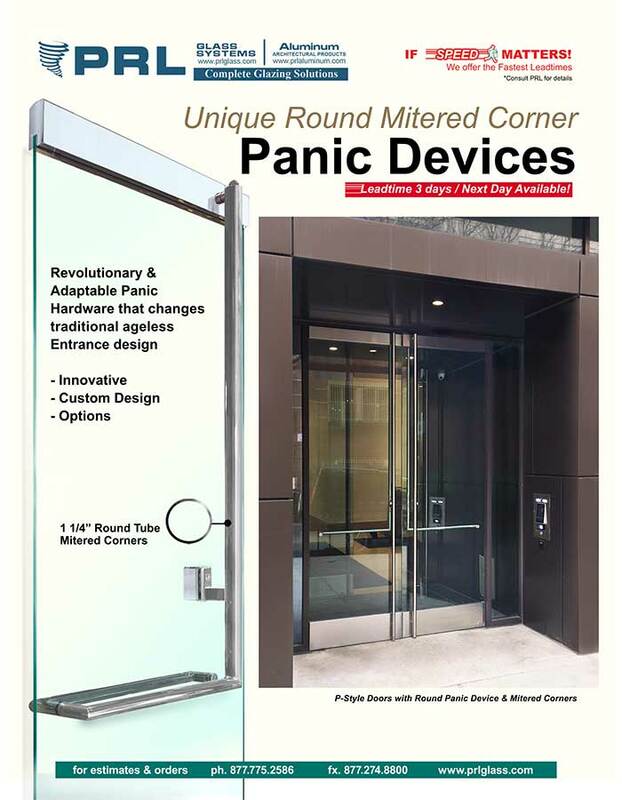 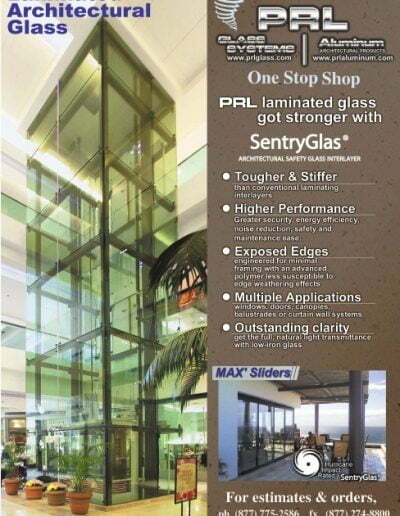 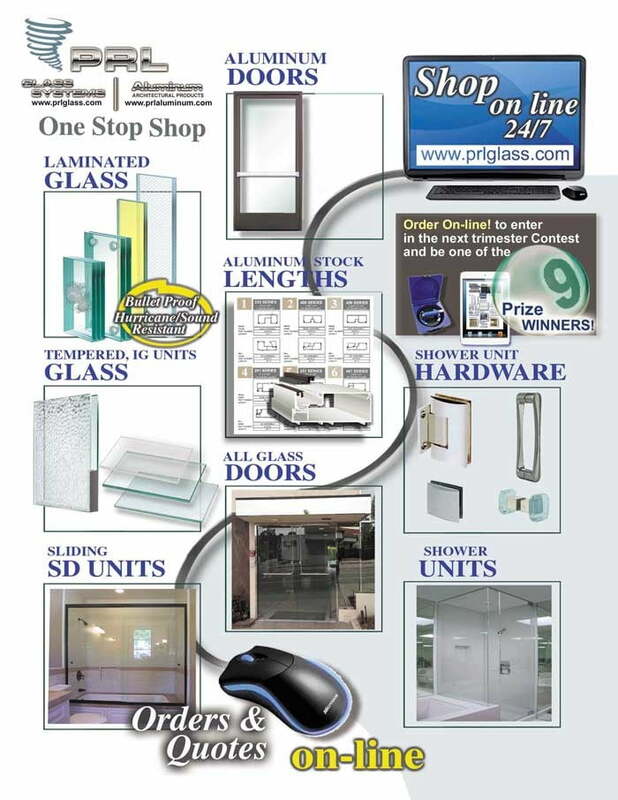 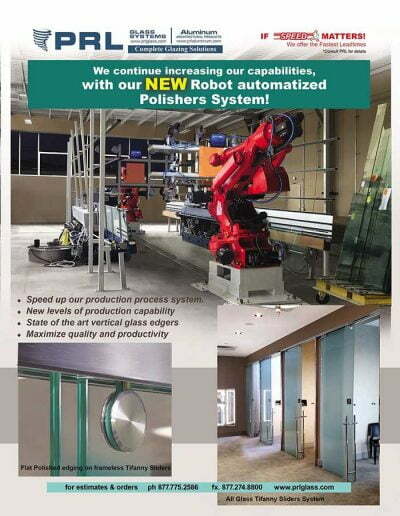 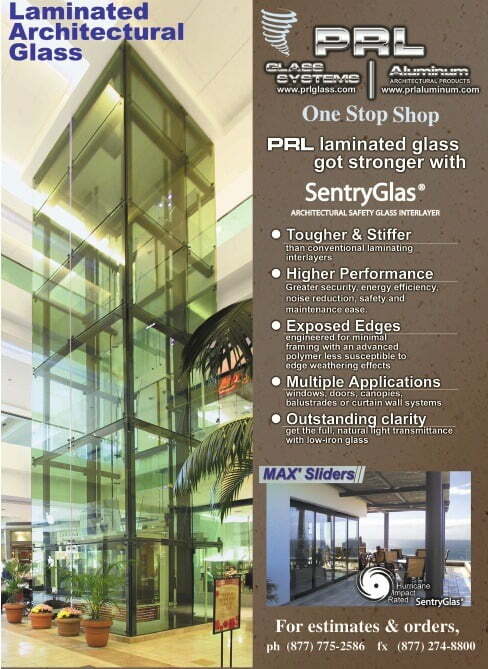 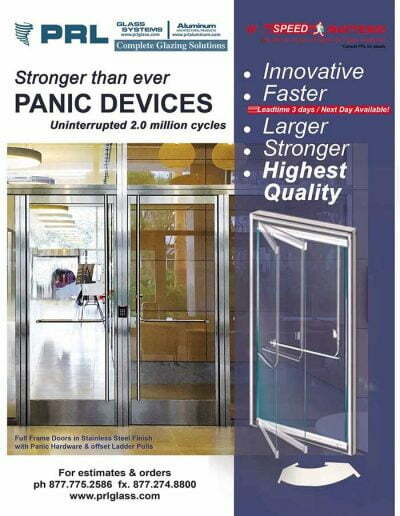 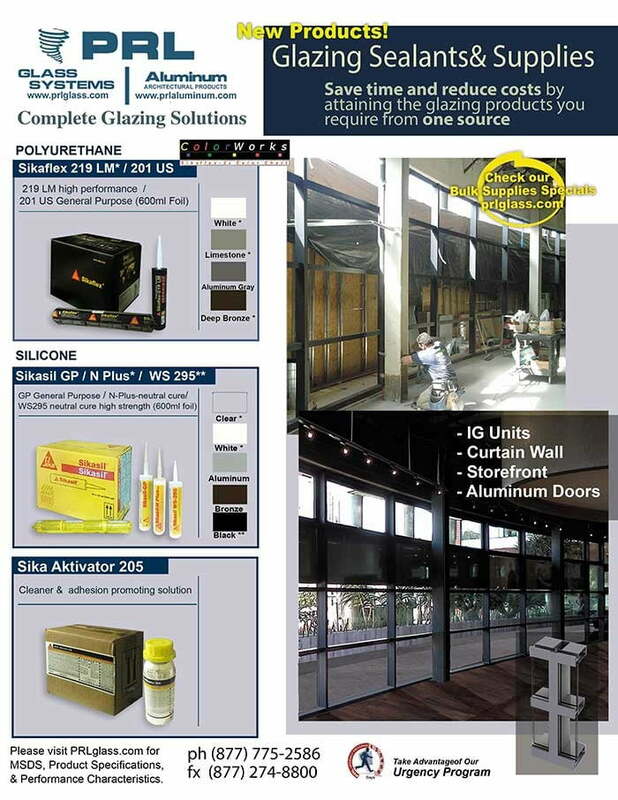 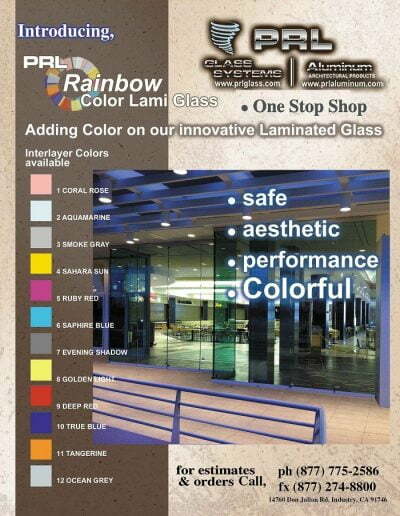 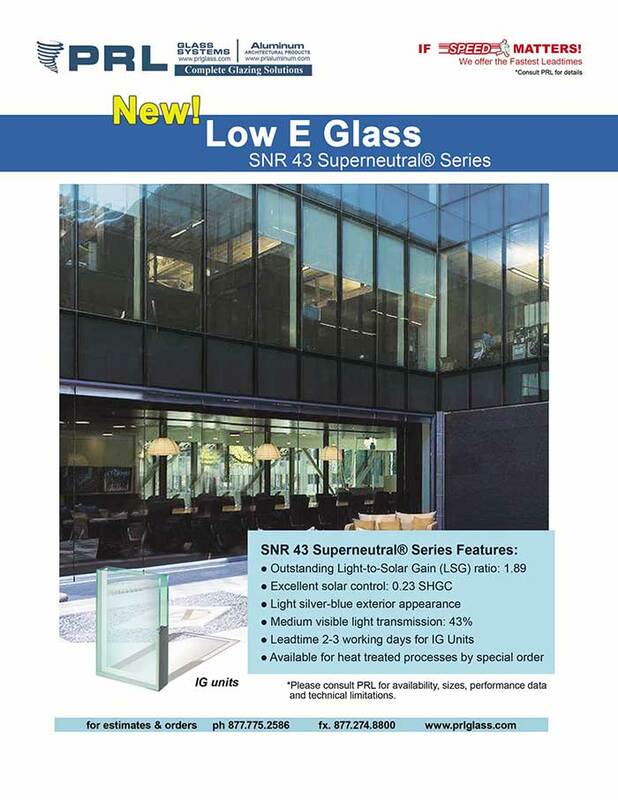 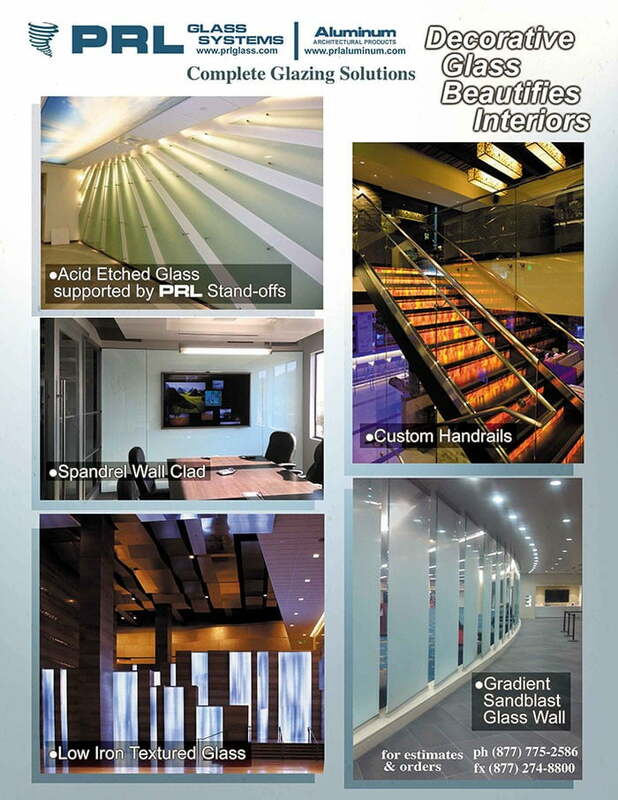 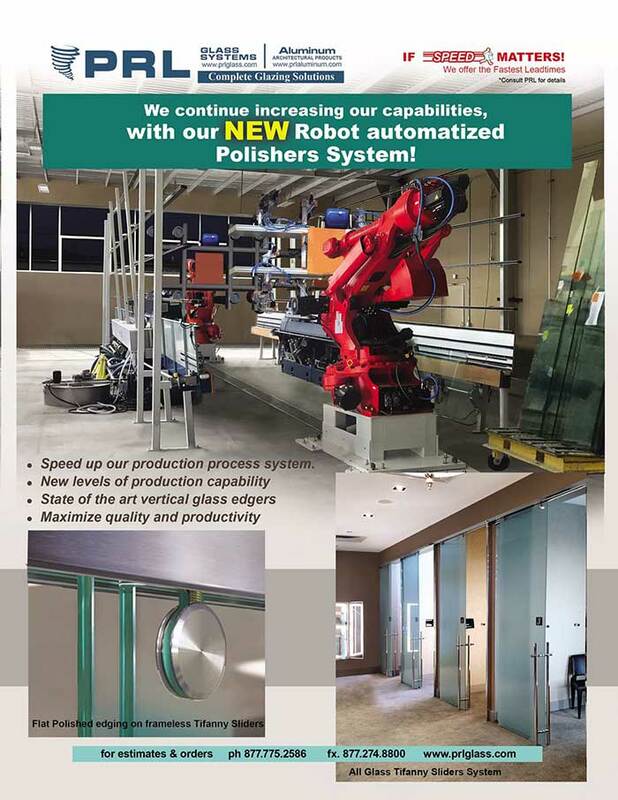 PRL has been one of the fastest growing Tempered and Laminated Glass related product manufacturers in the Industry. 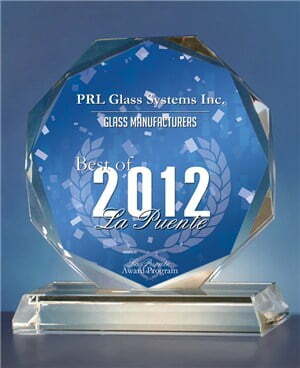 We are recognized for our excellent quality, diverse product line and very fast production time. 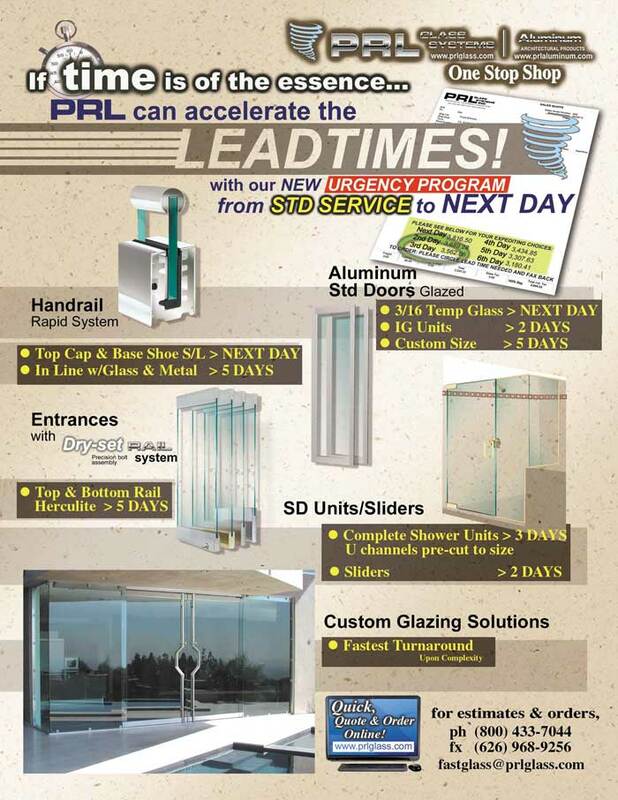 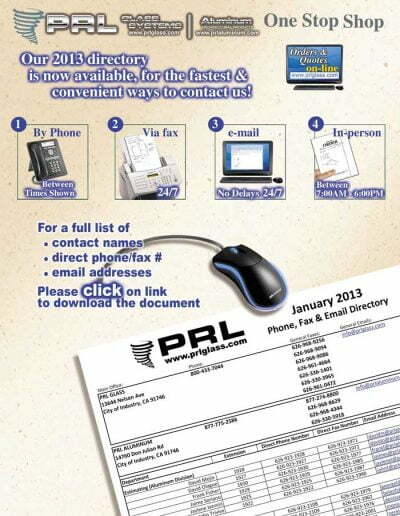 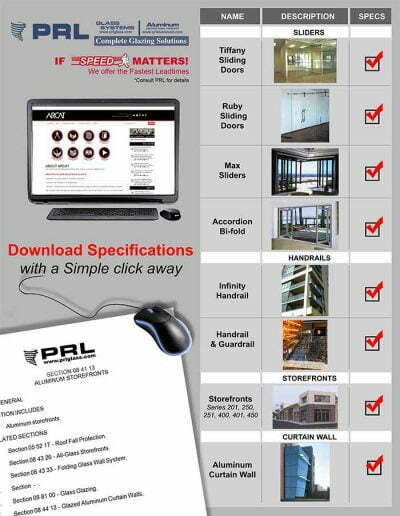 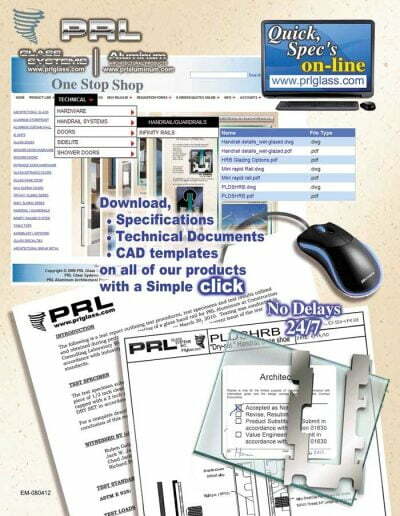 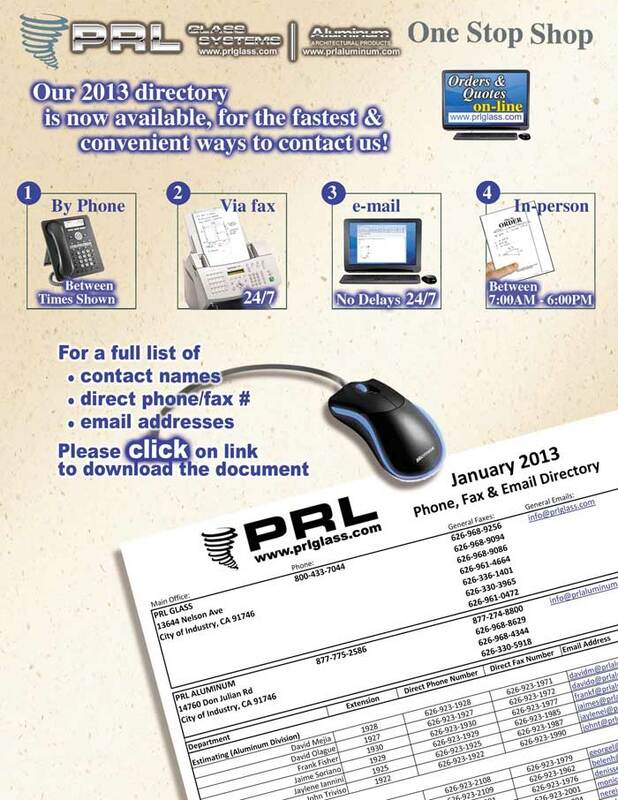 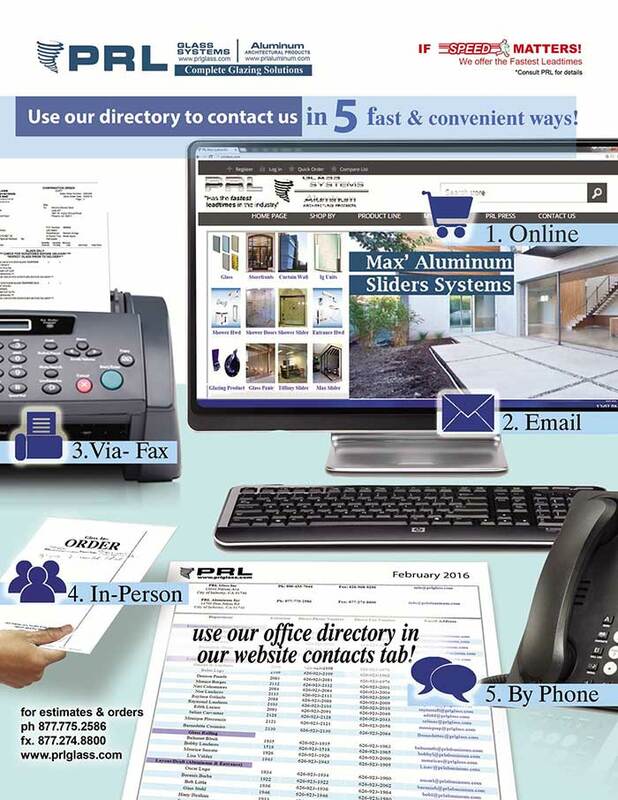 When we started PRL our goal was to provide top quality fabrication with the best lead time available. 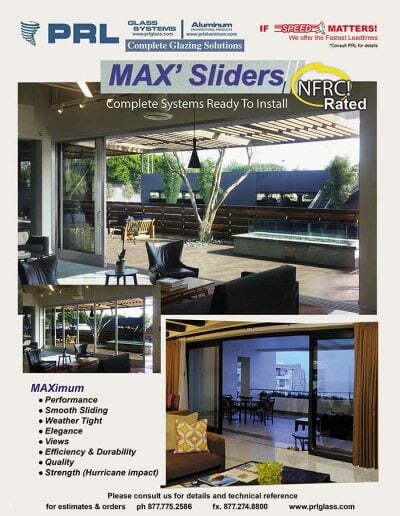 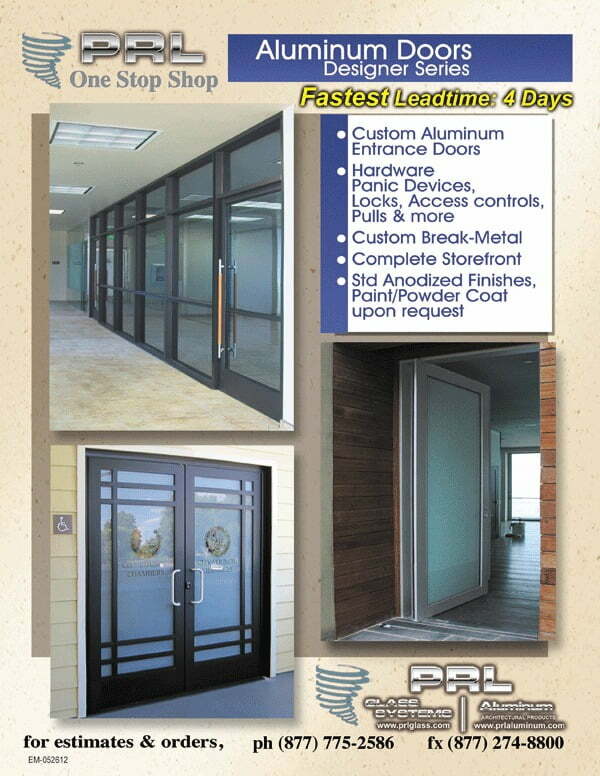 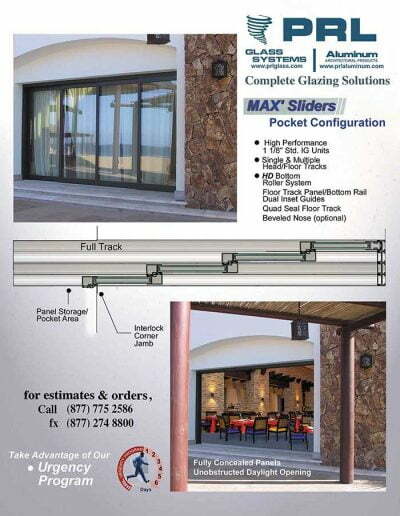 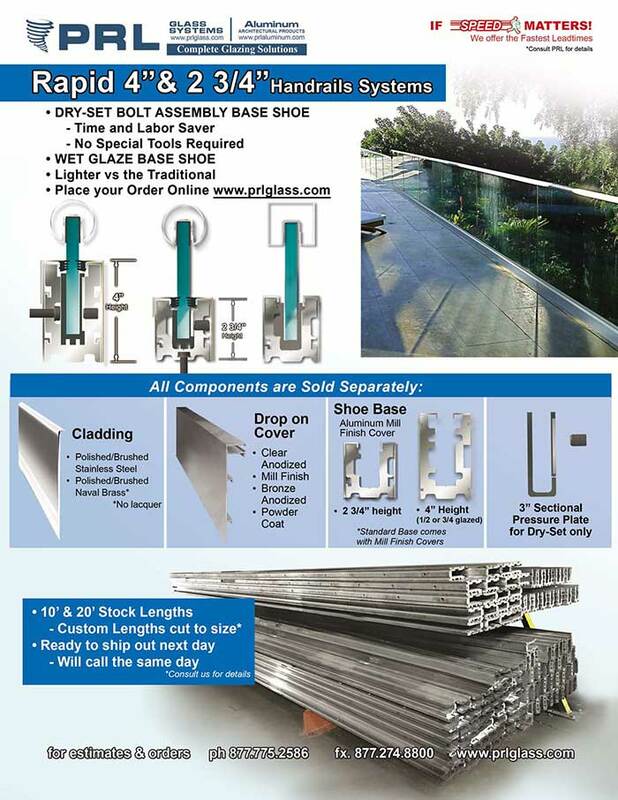 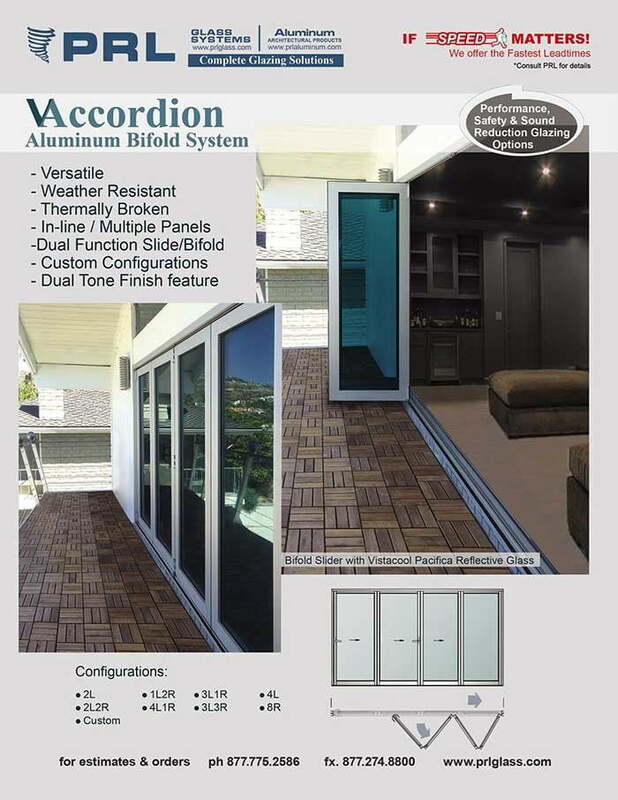 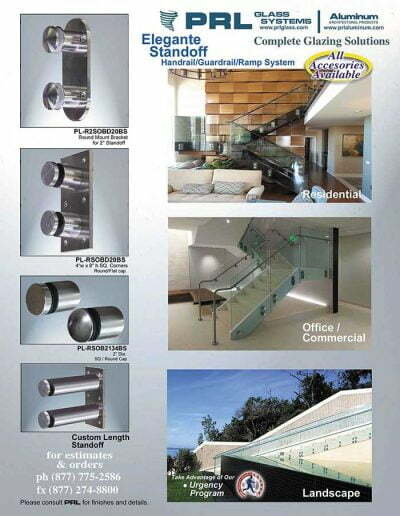 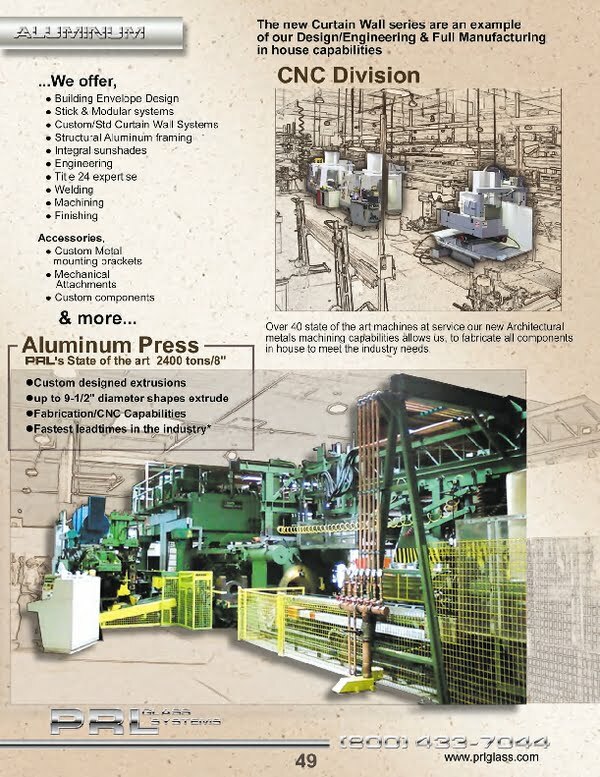 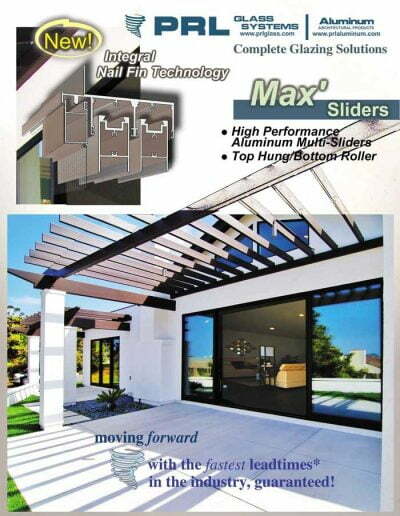 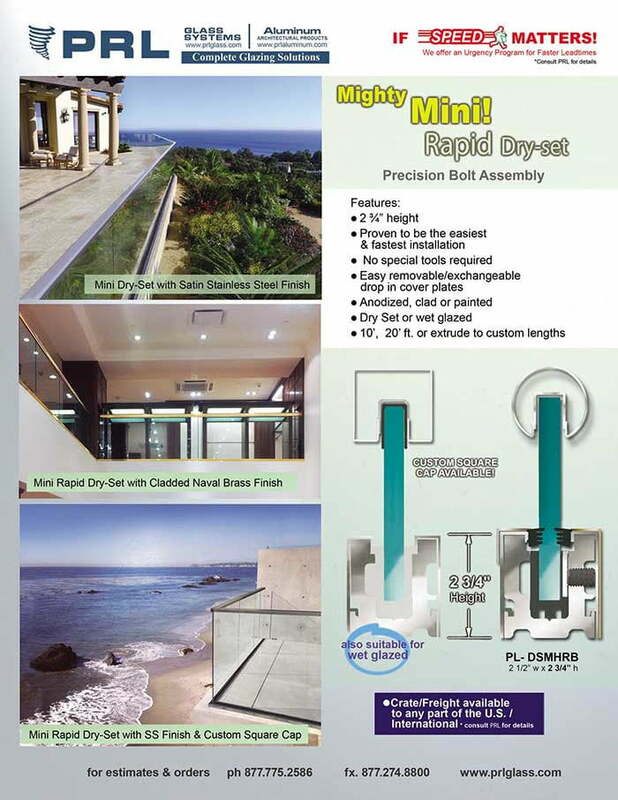 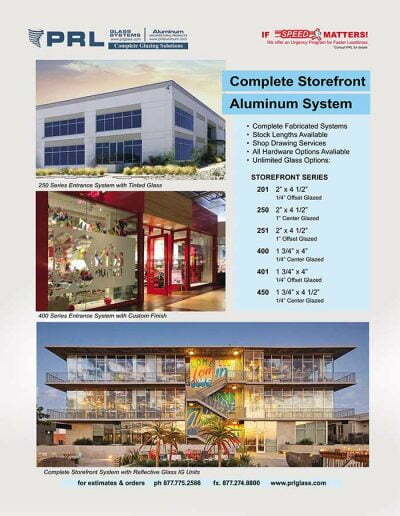 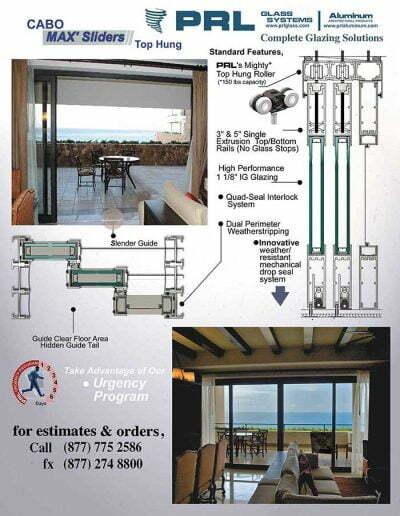 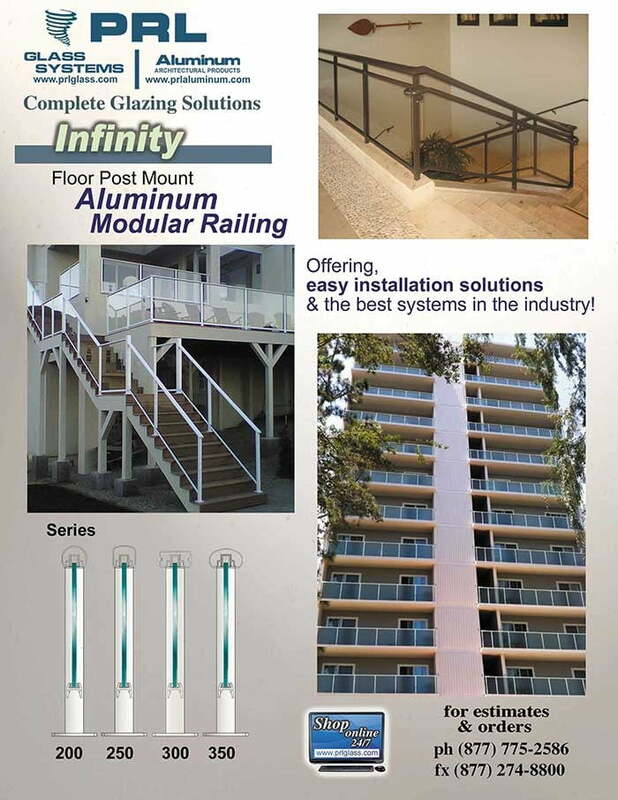 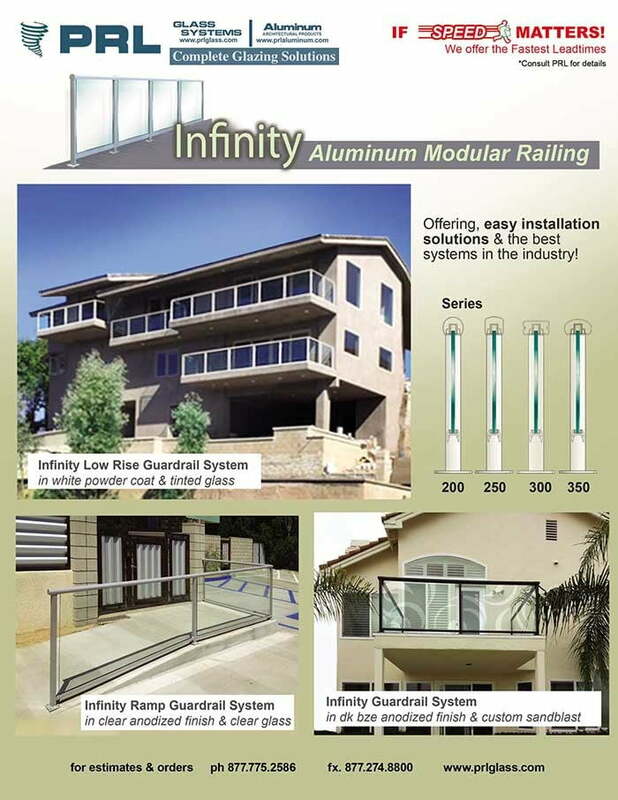 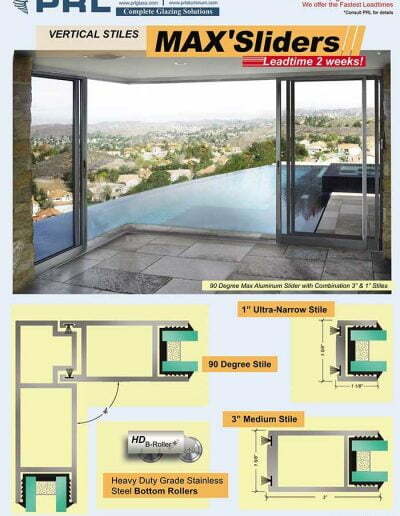 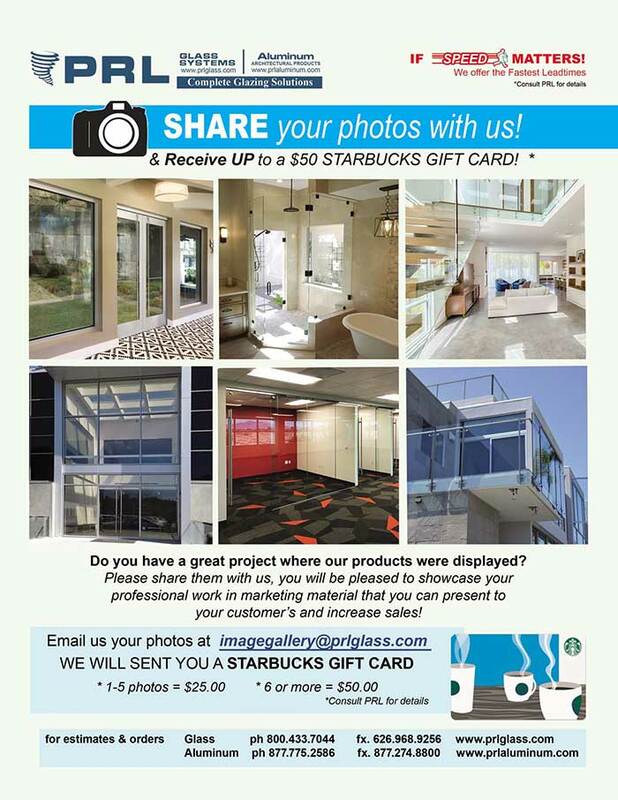 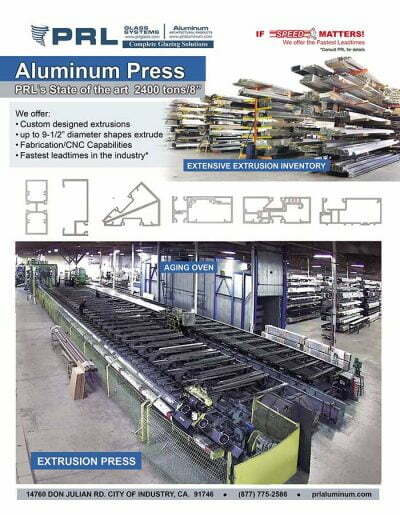 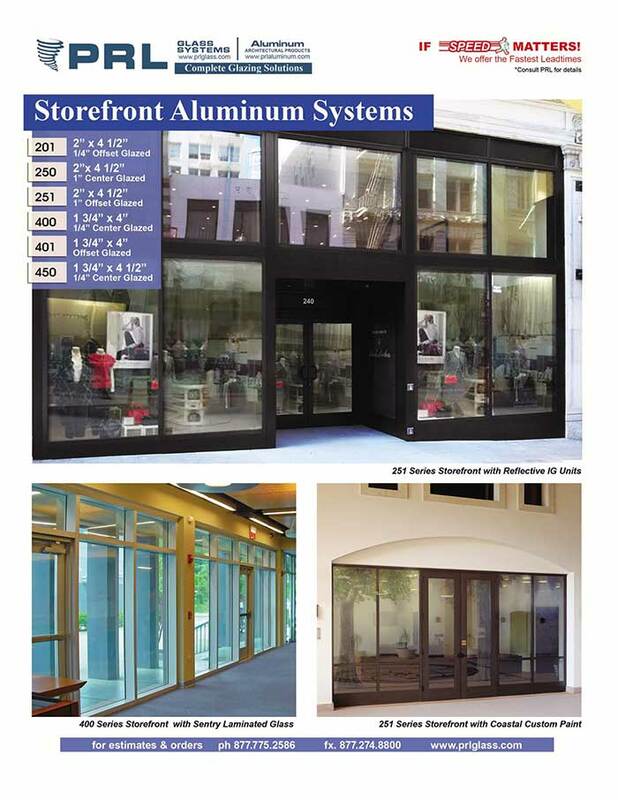 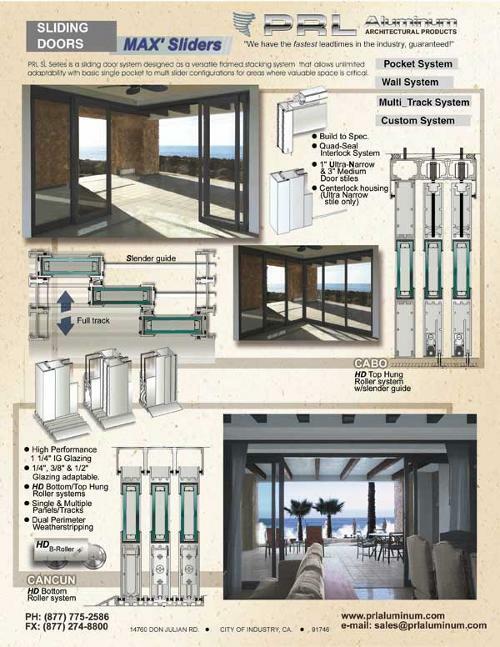 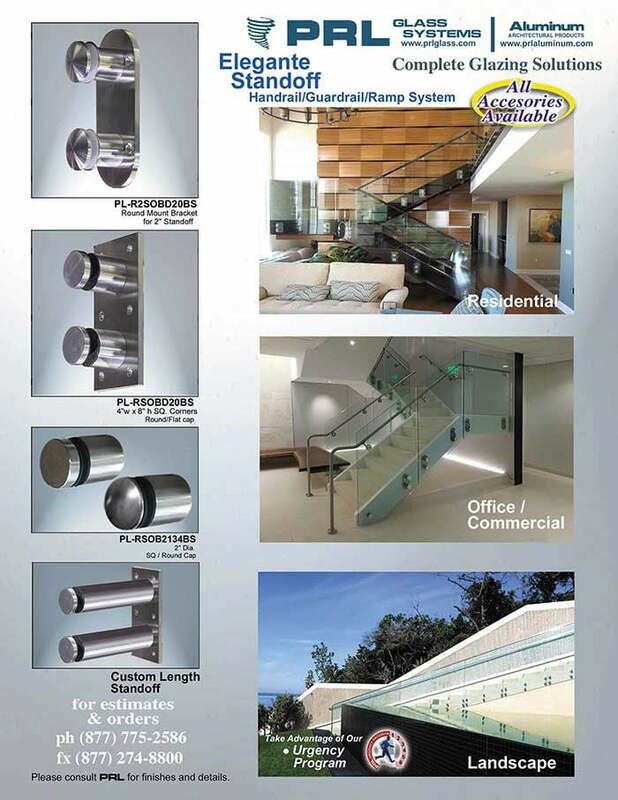 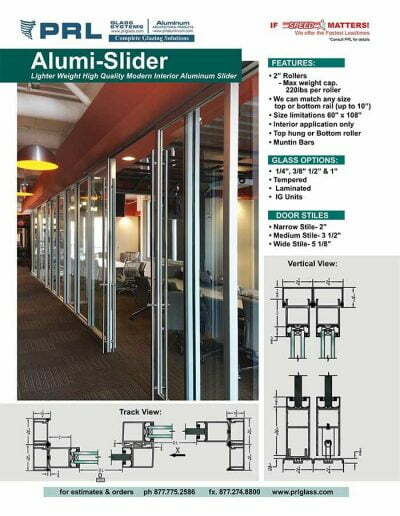 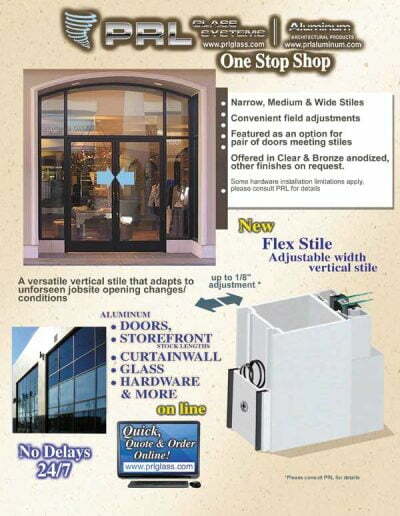 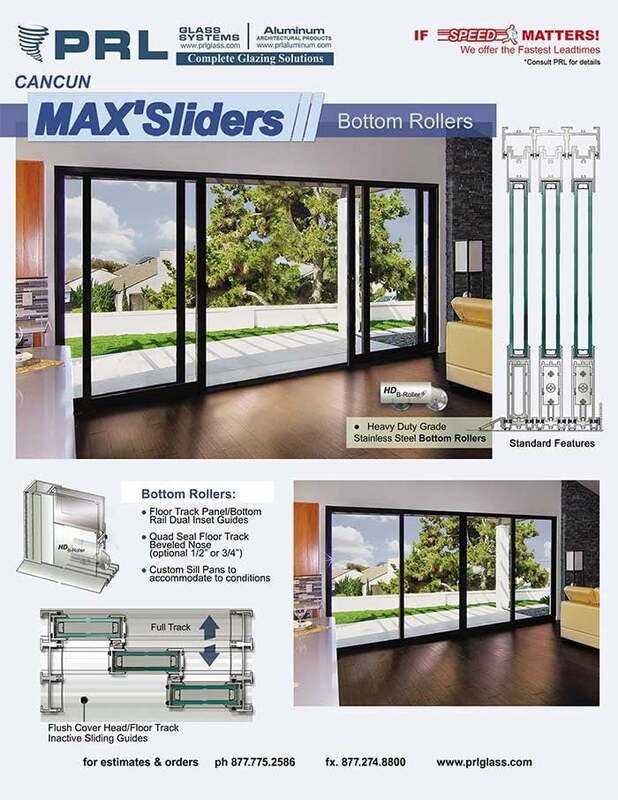 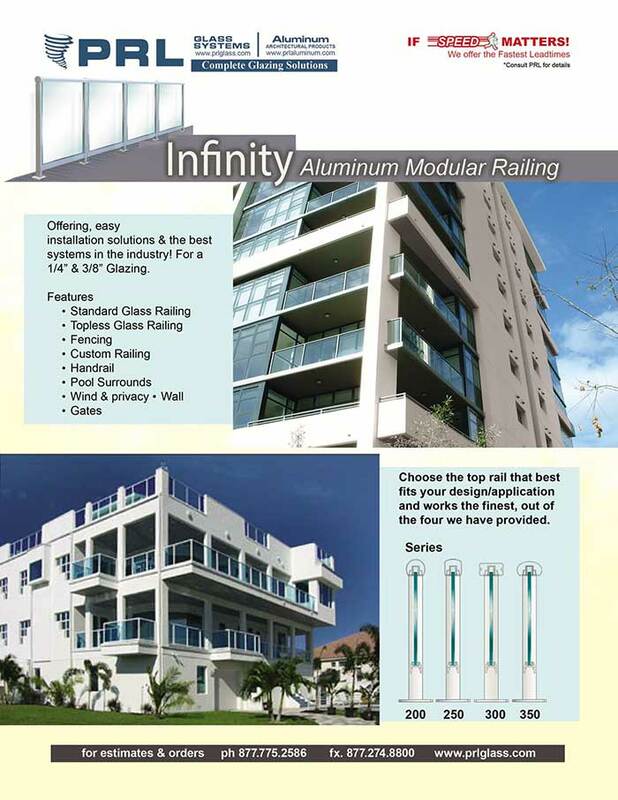 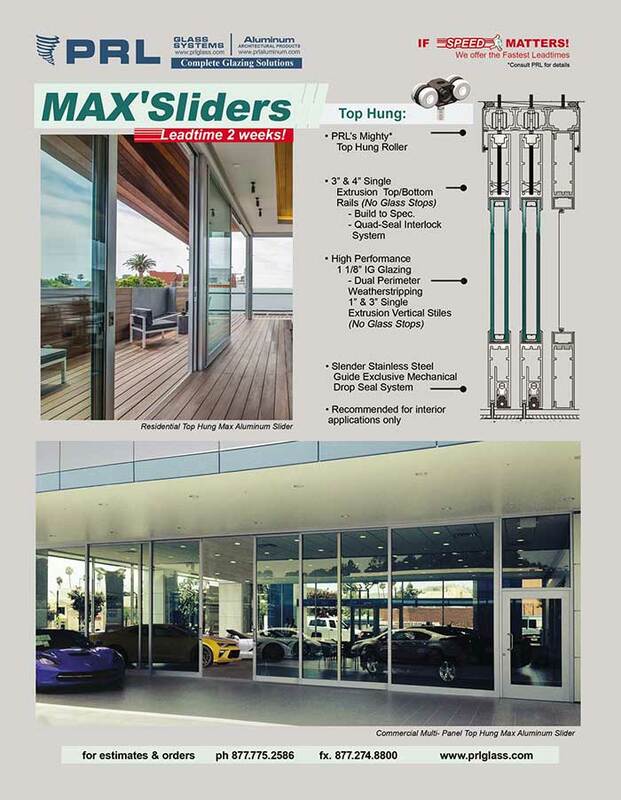 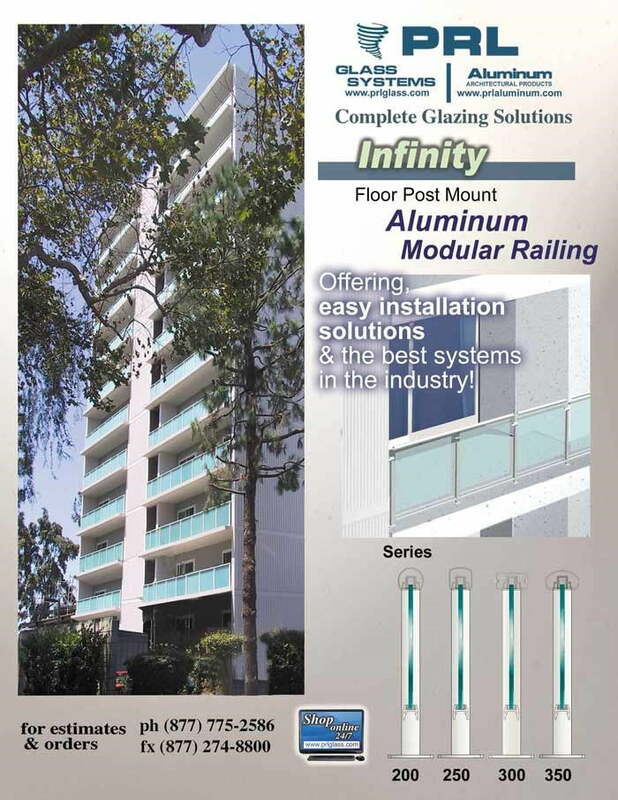 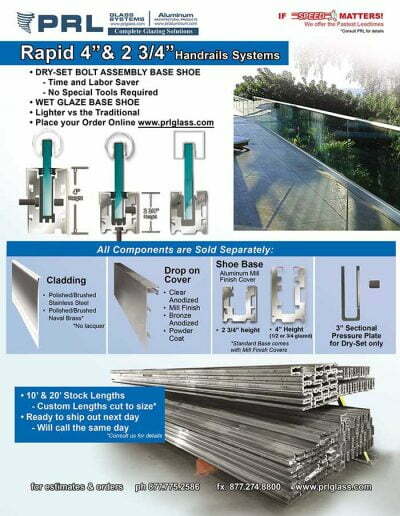 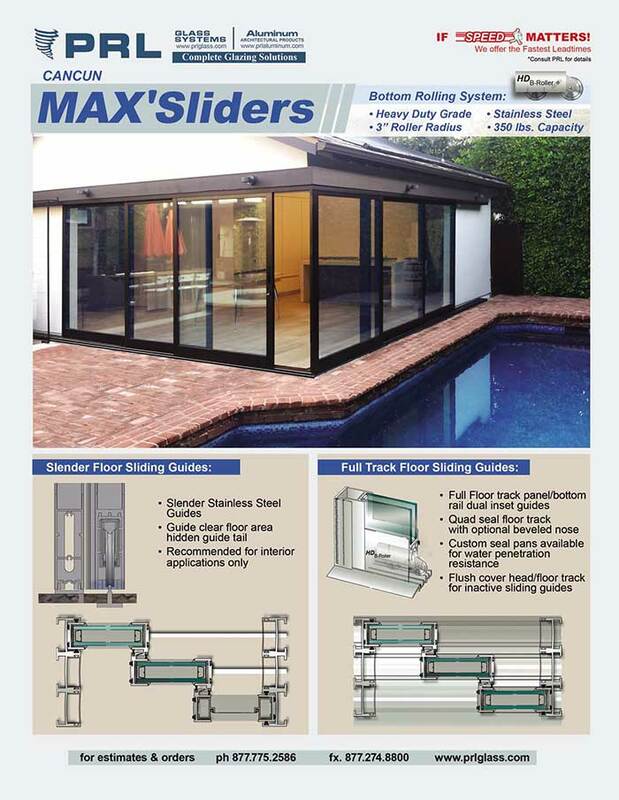 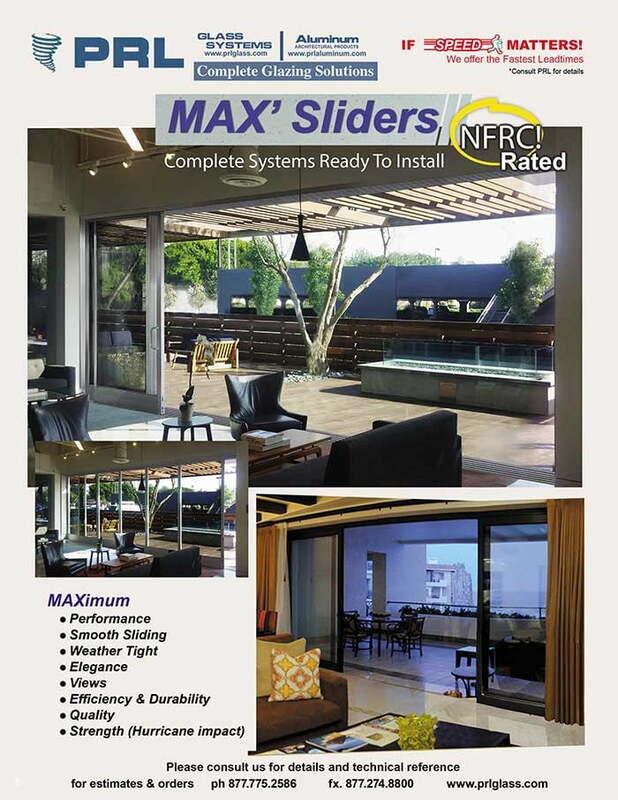 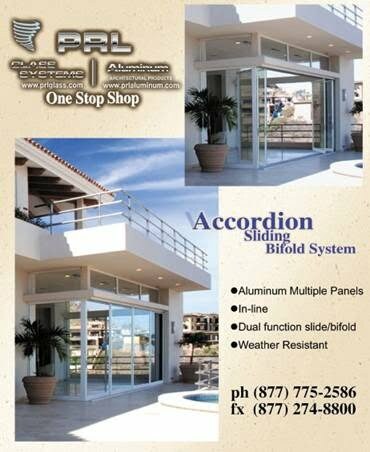 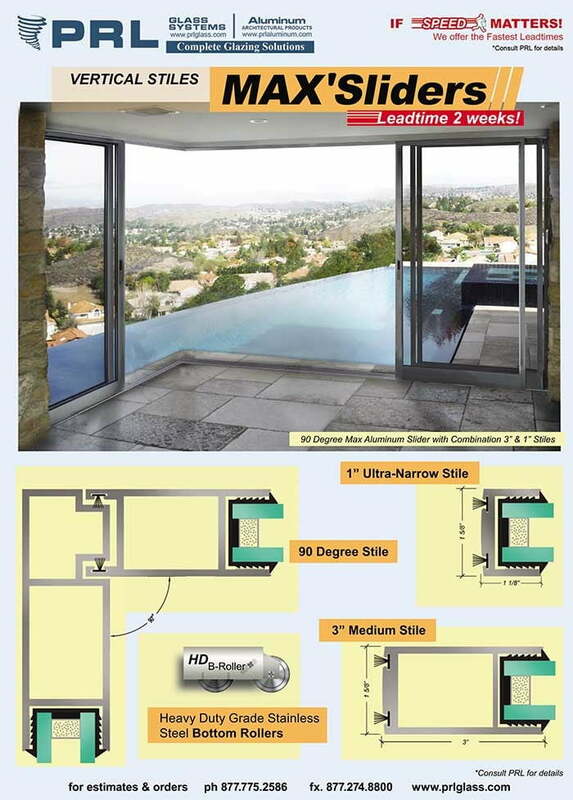 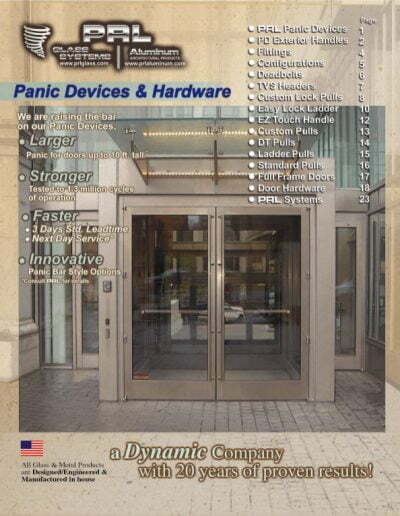 Today we are known for being the fastest fabricator in the industry on all of our product lines. 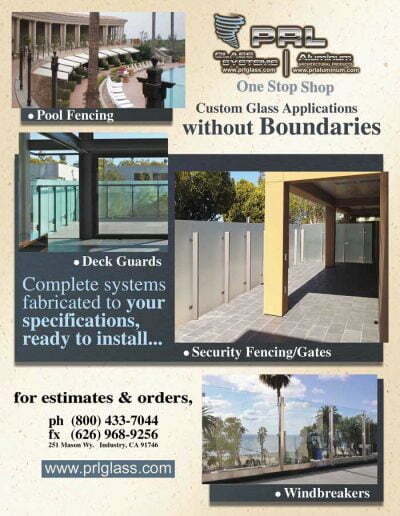 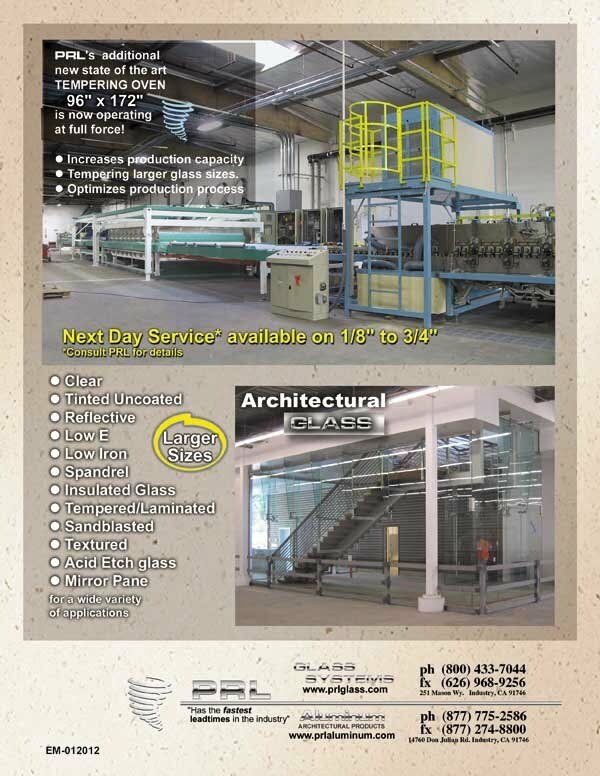 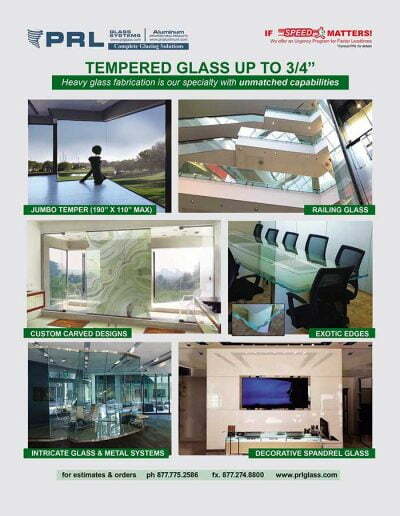 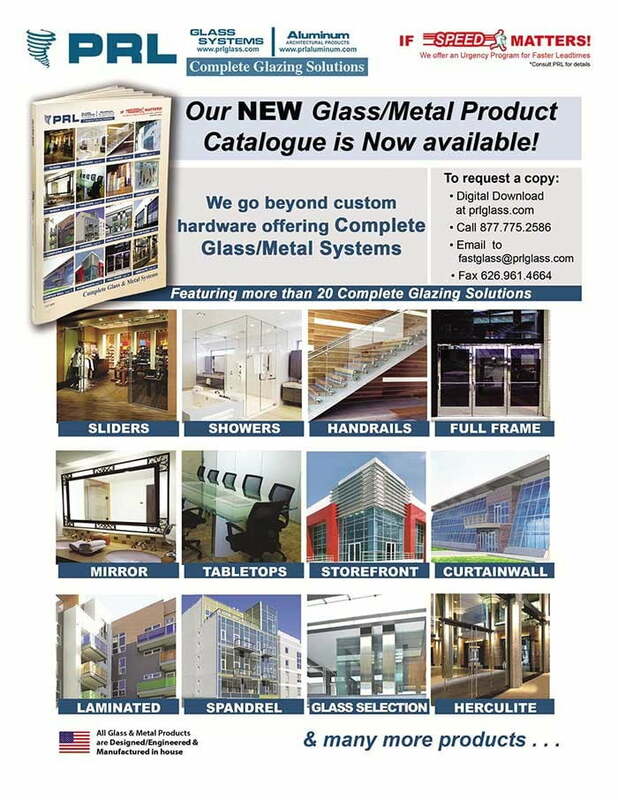 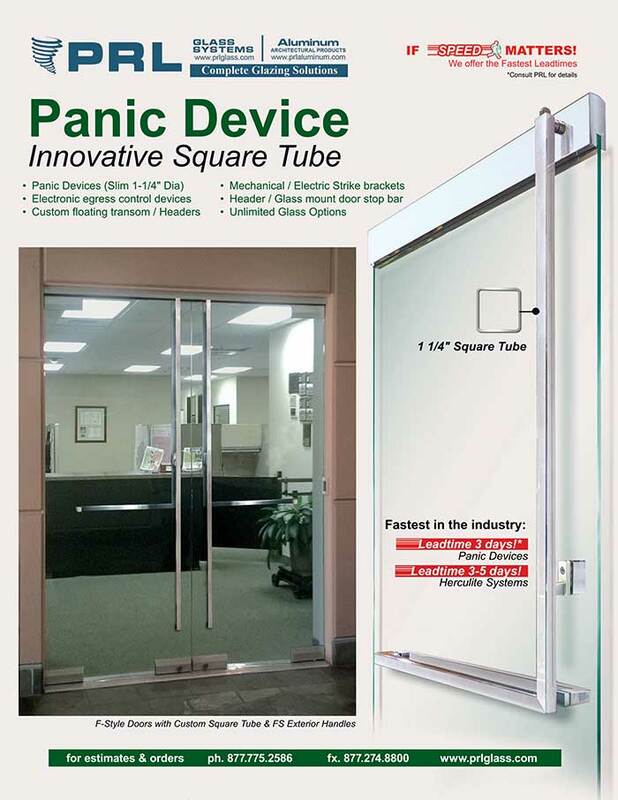 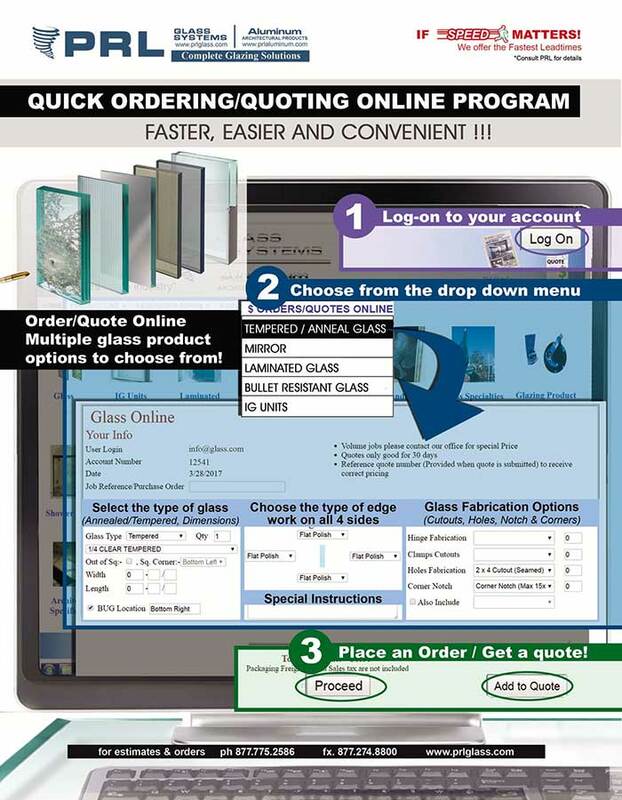 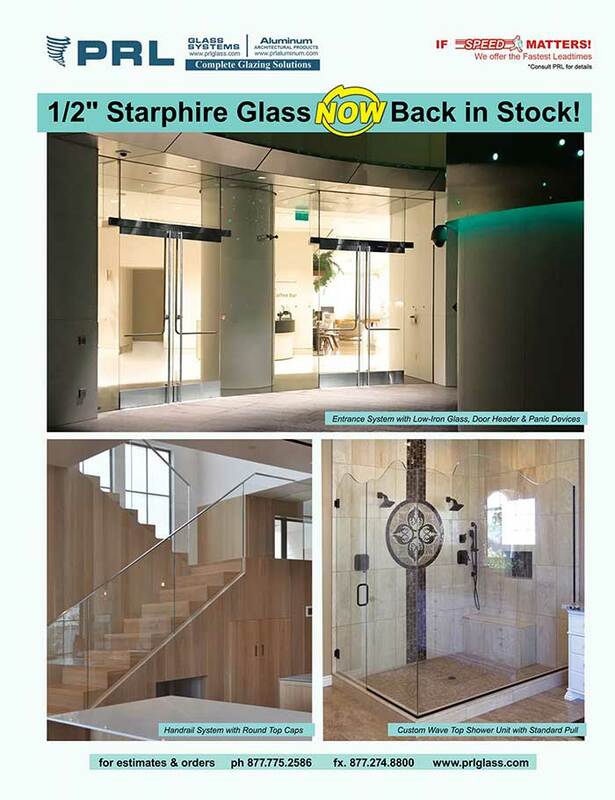 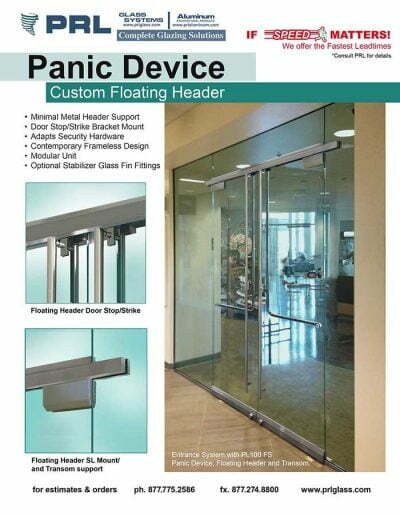 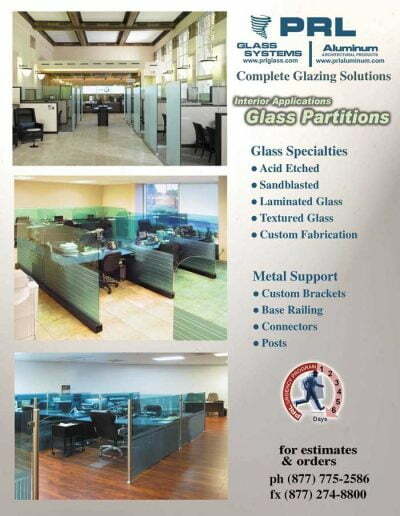 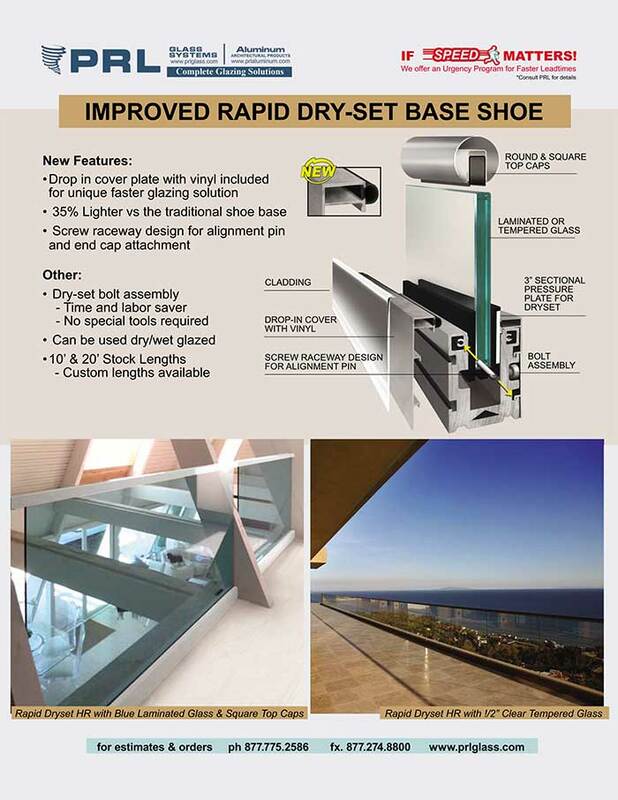 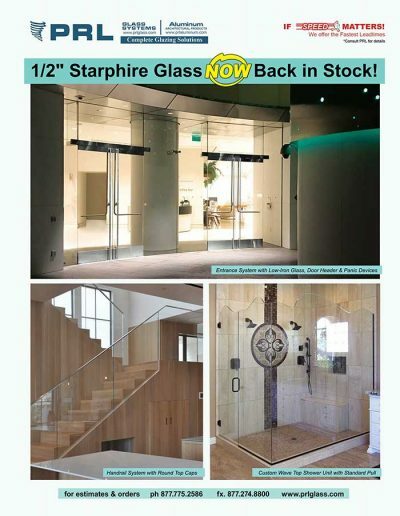 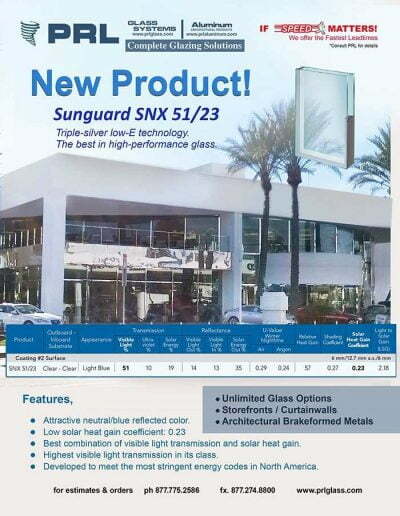 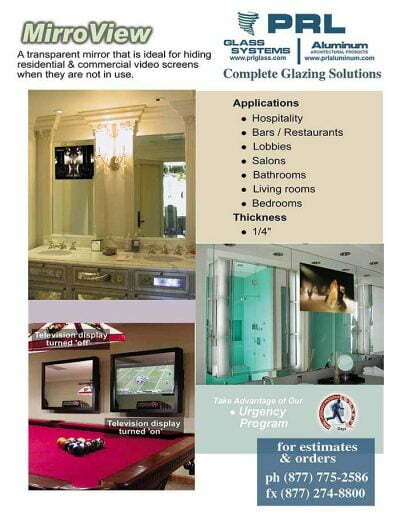 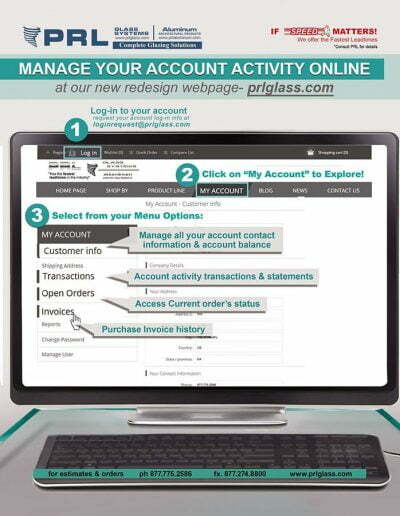 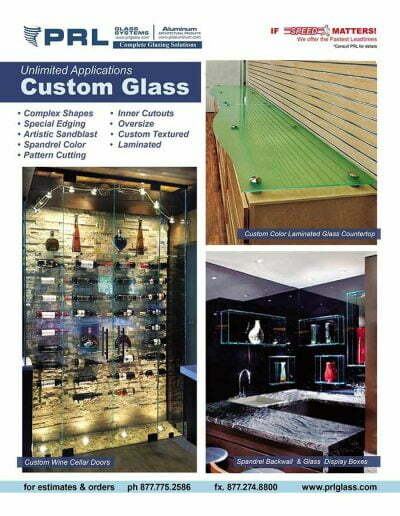 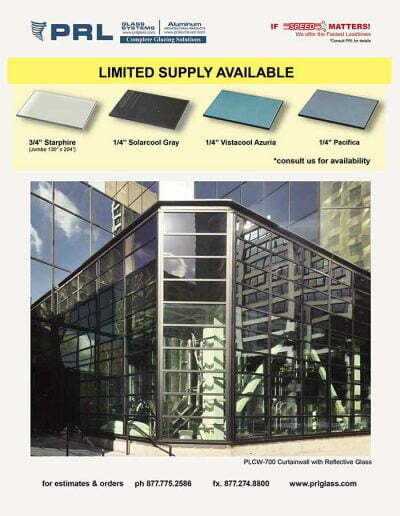 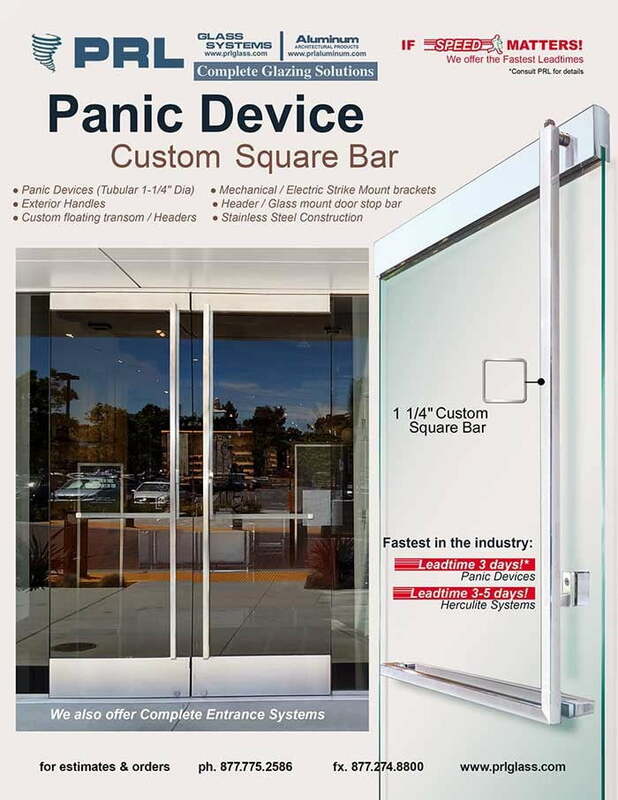 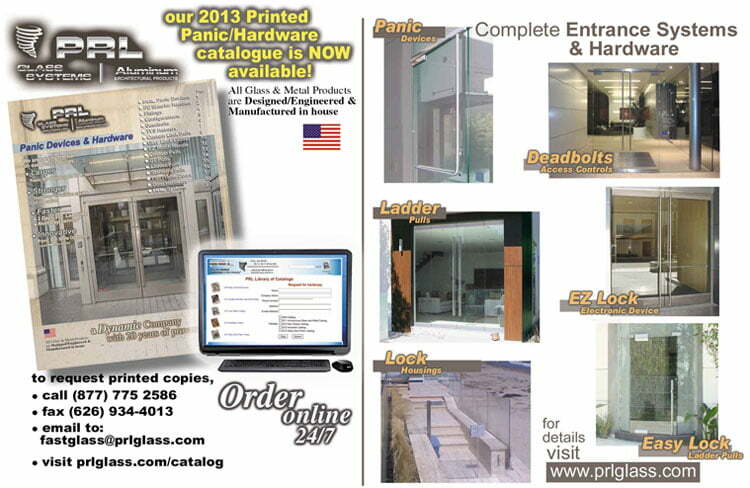 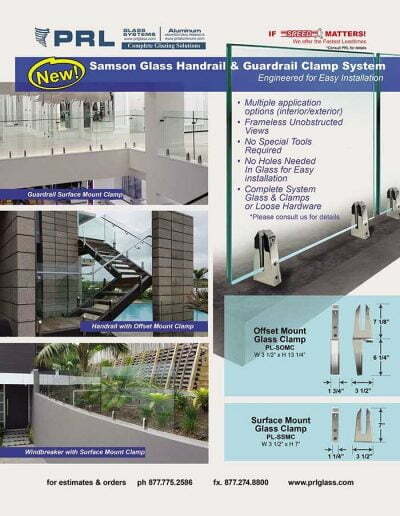 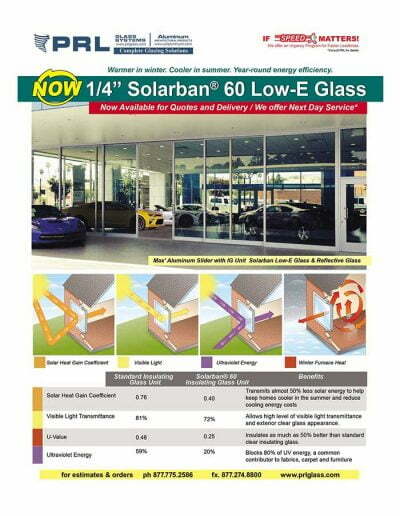 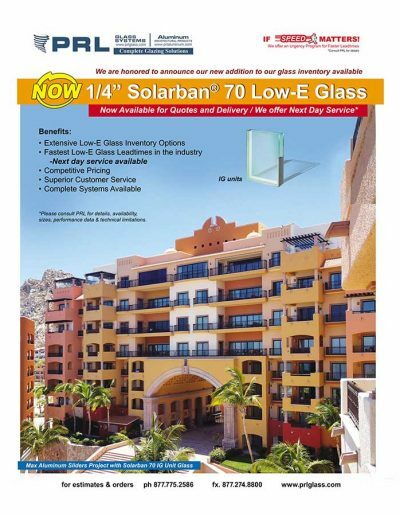 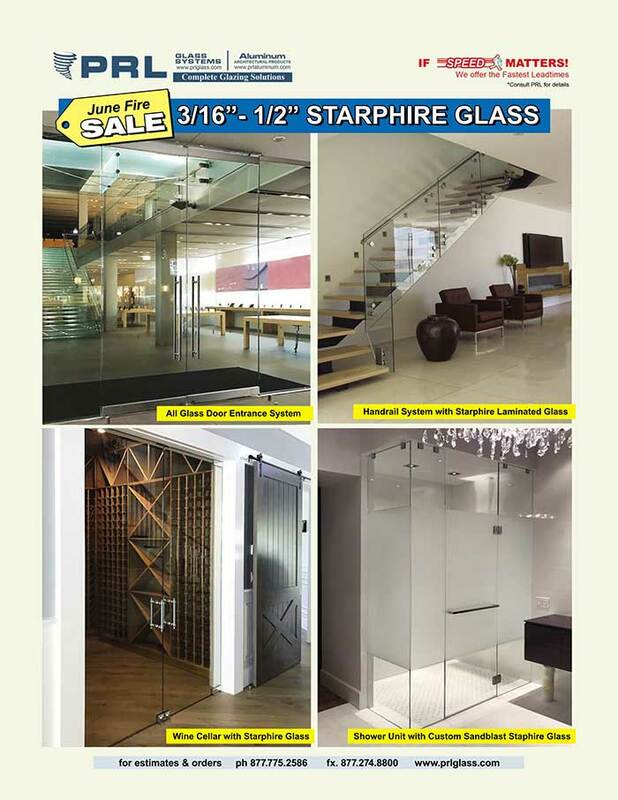 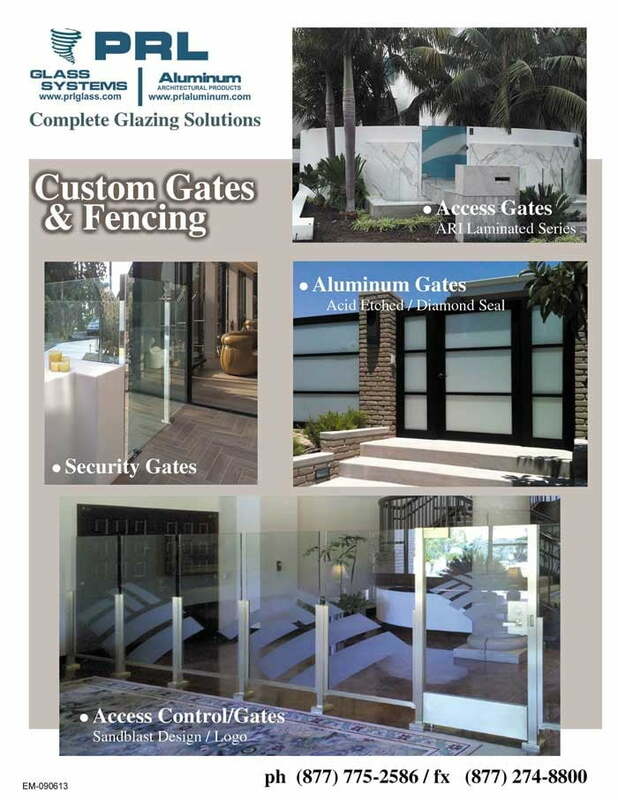 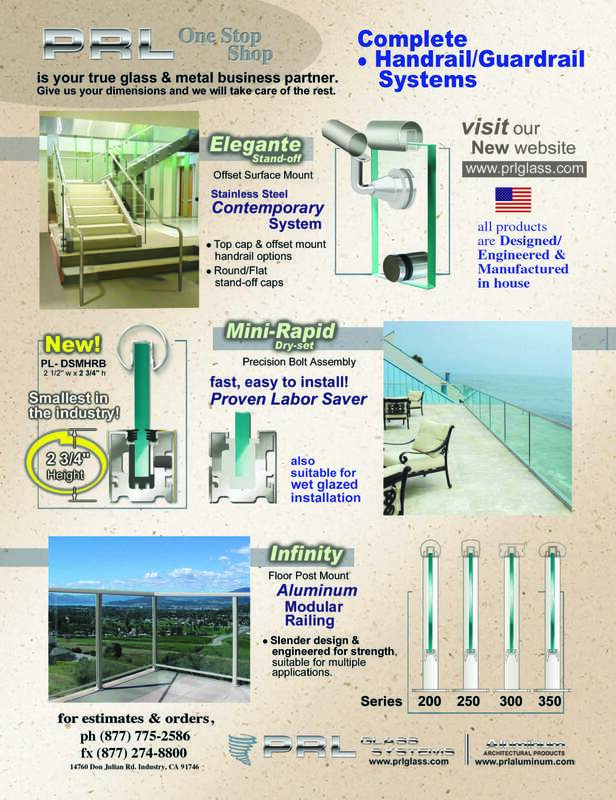 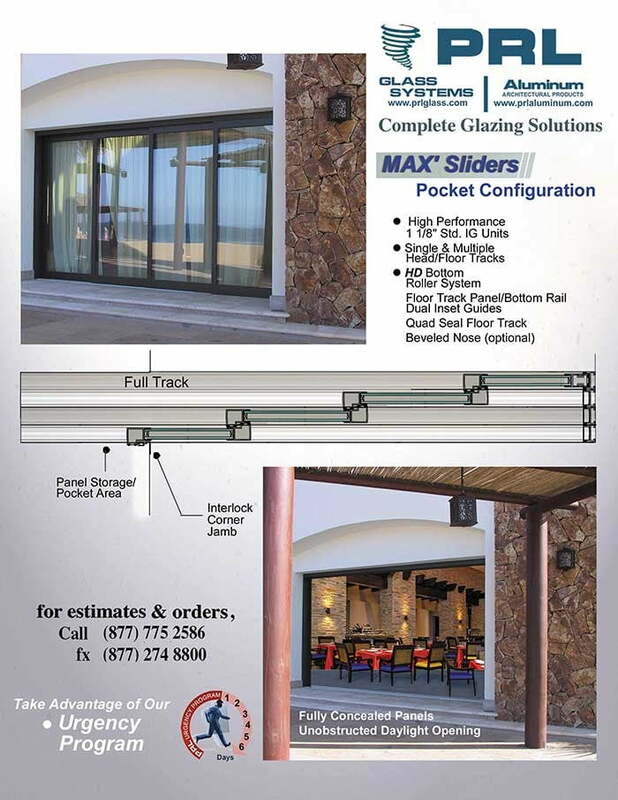 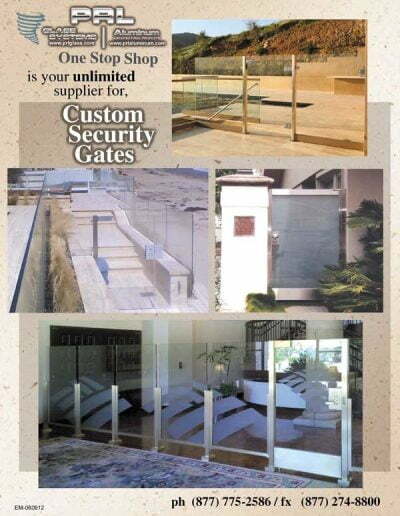 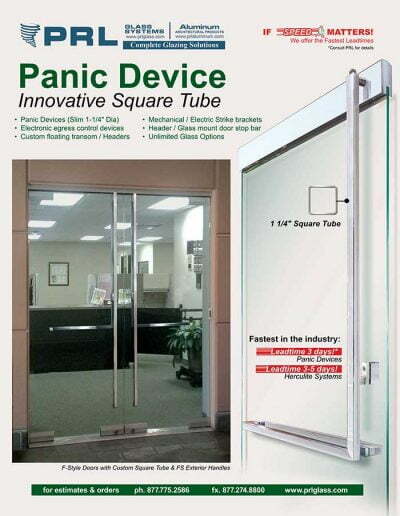 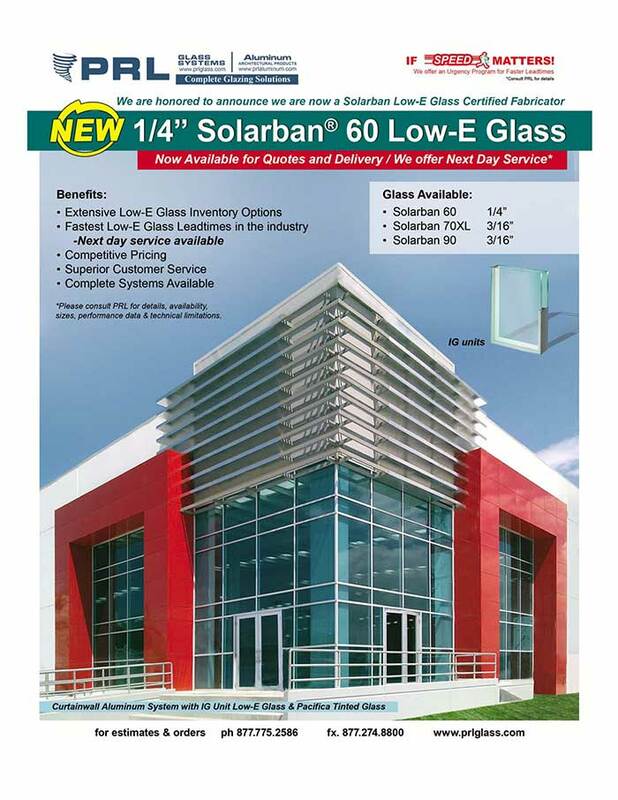 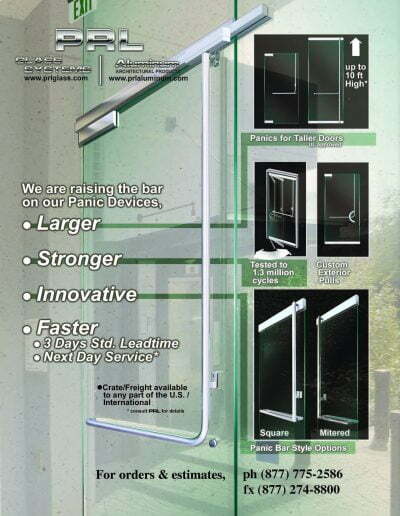 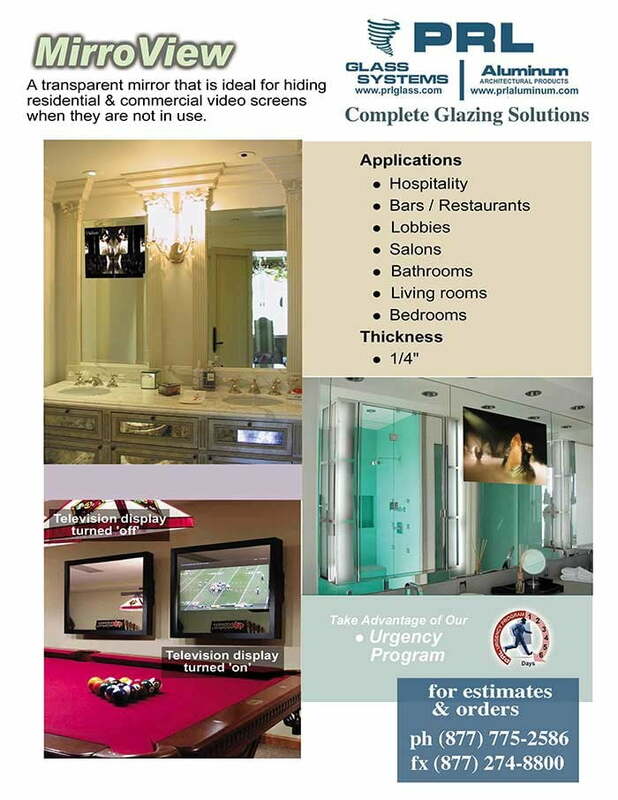 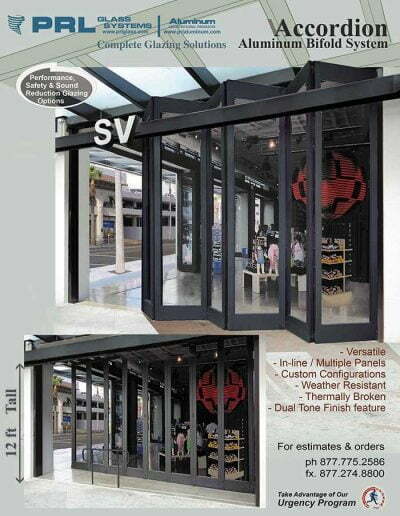 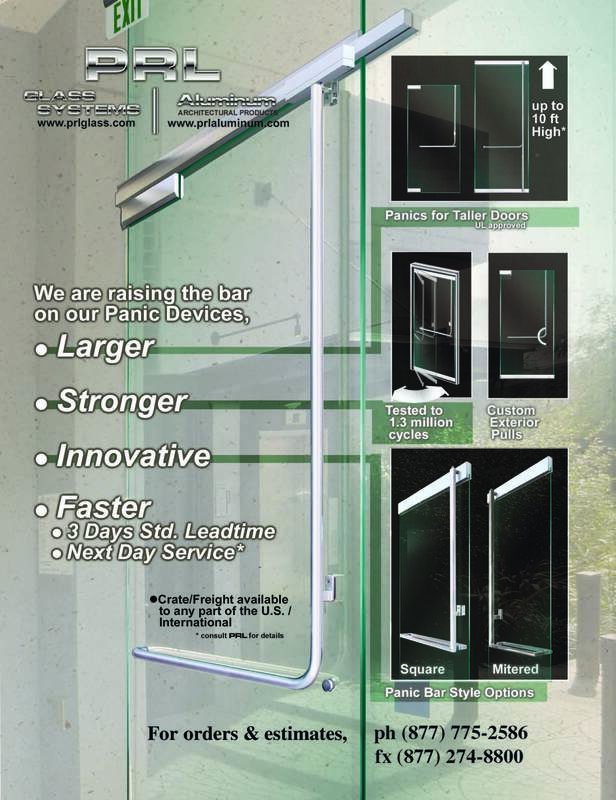 Most of our glass orders ship within 24 to 48 hours including heavy tempered fabricated glass. We are one of the few, if not the only tempering and laminated glass company that can offer 3/4″ tempered glass overnight when necessary. 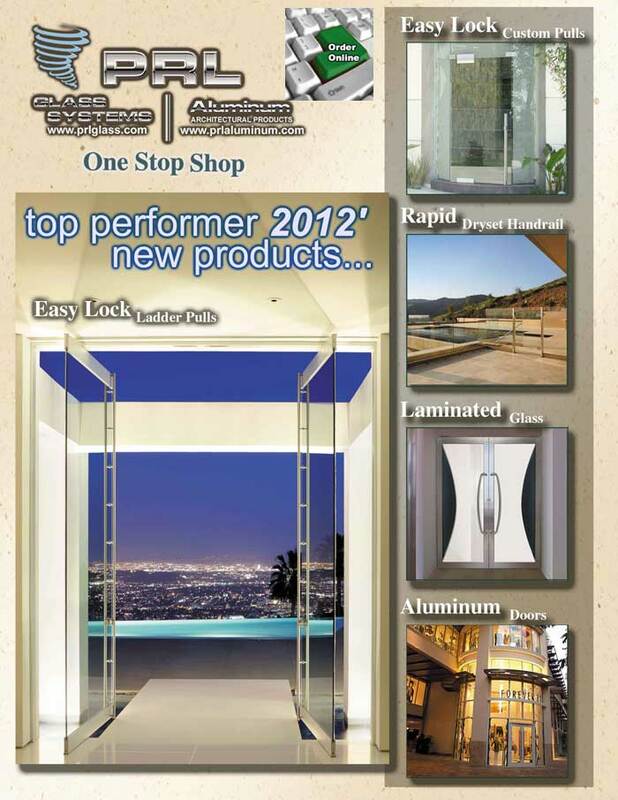 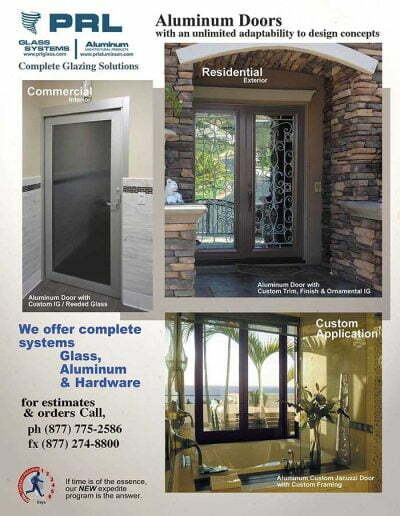 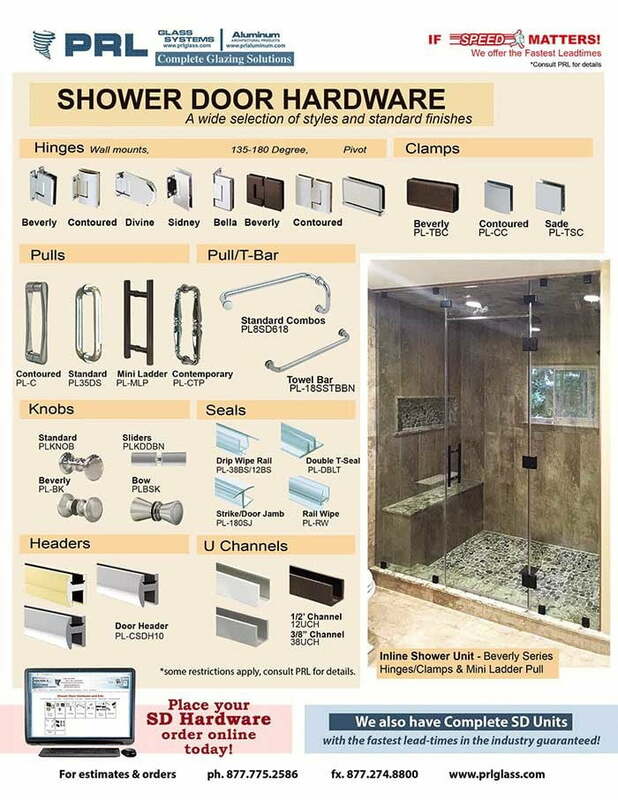 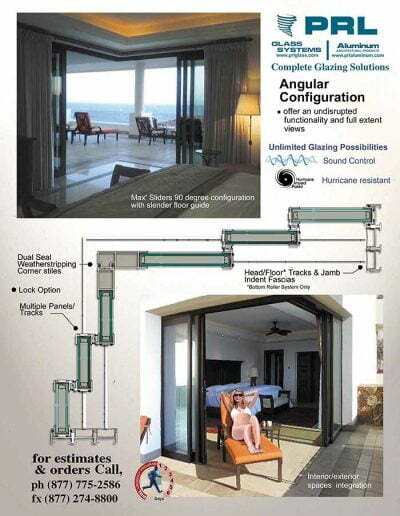 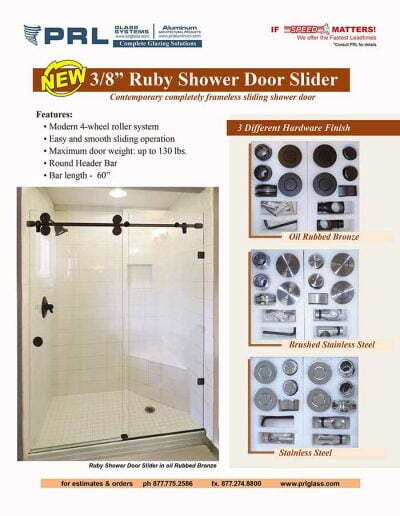 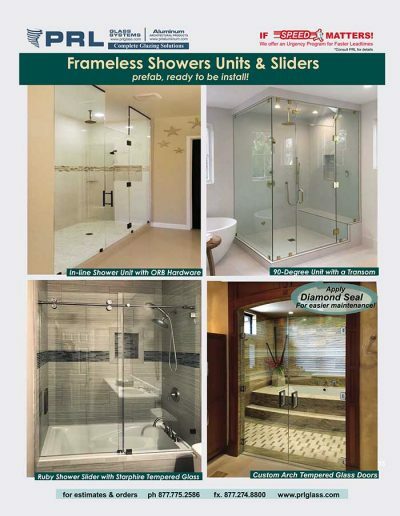 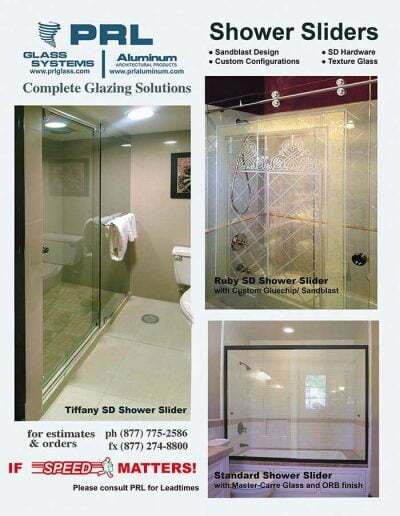 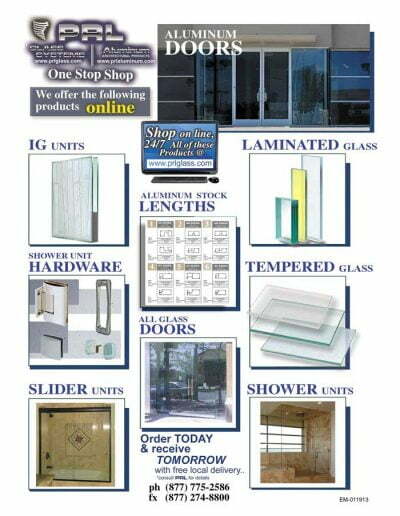 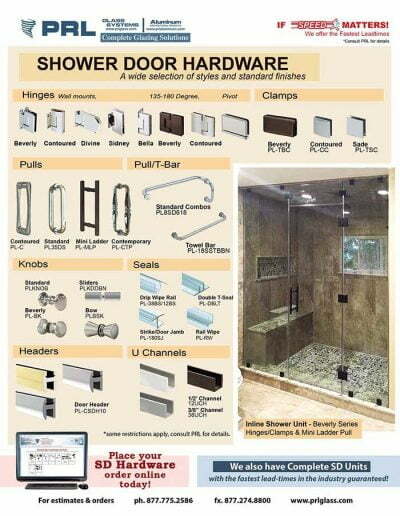 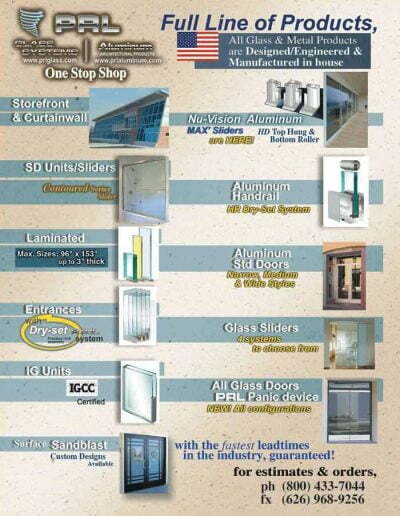 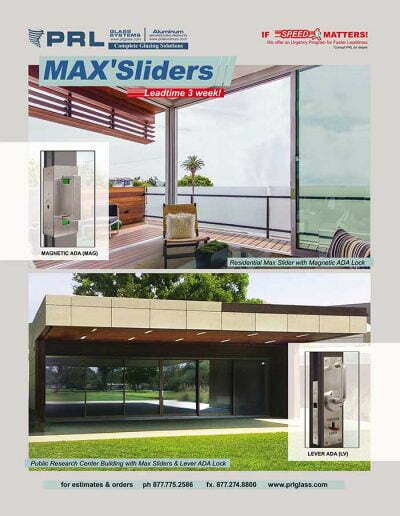 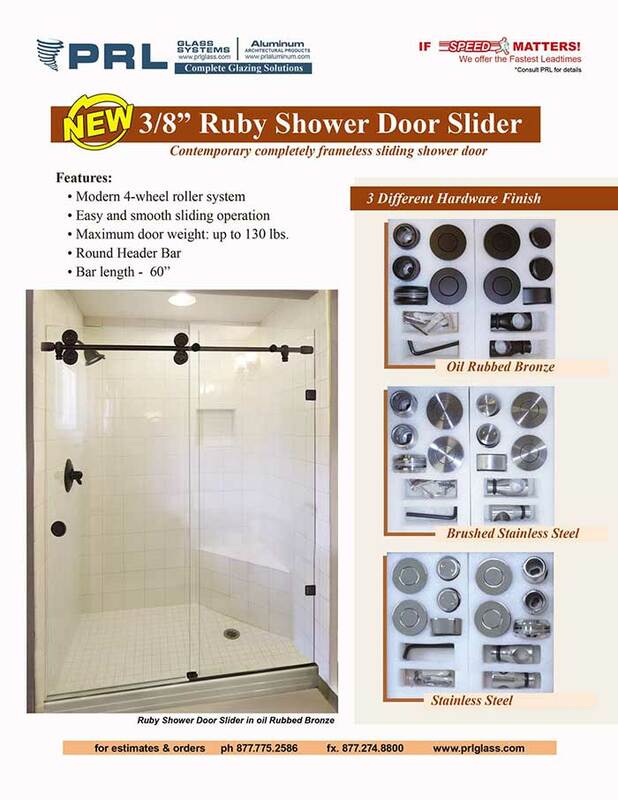 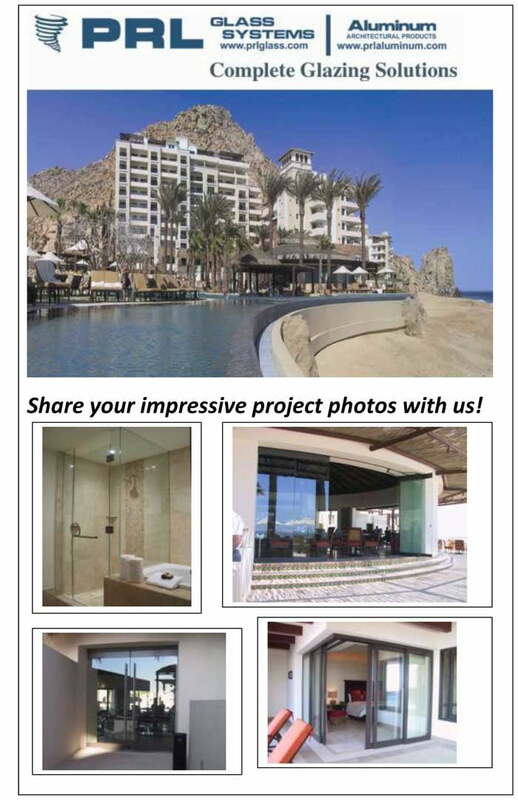 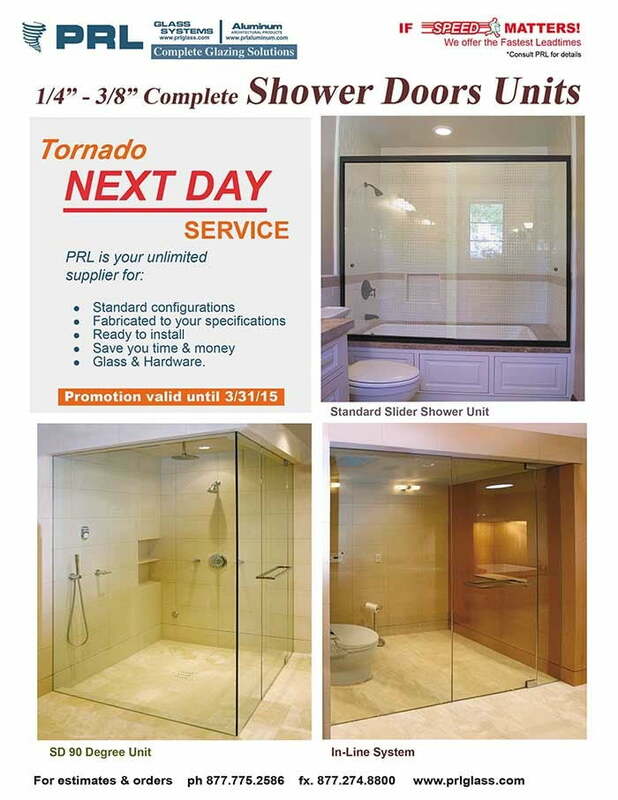 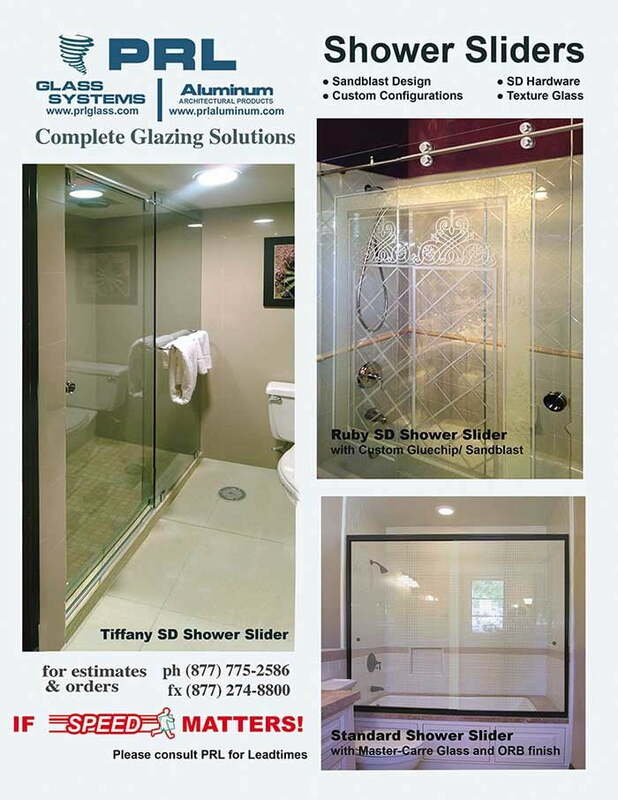 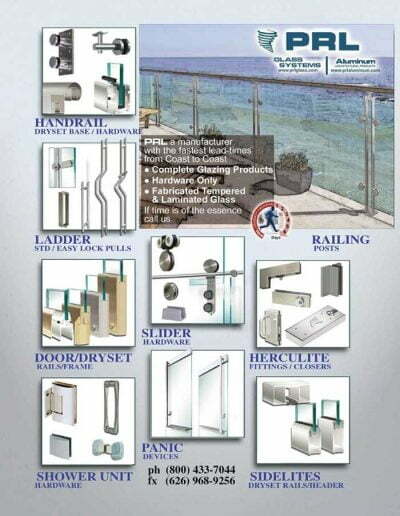 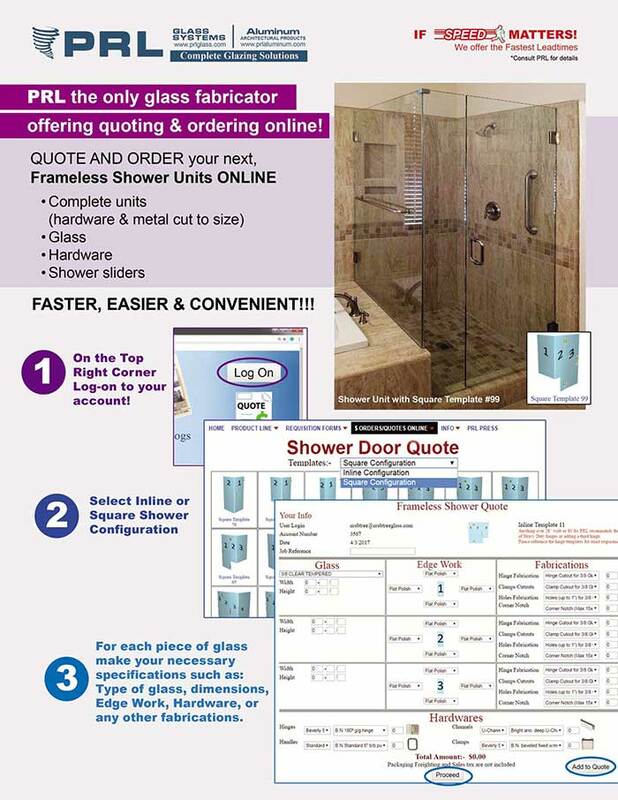 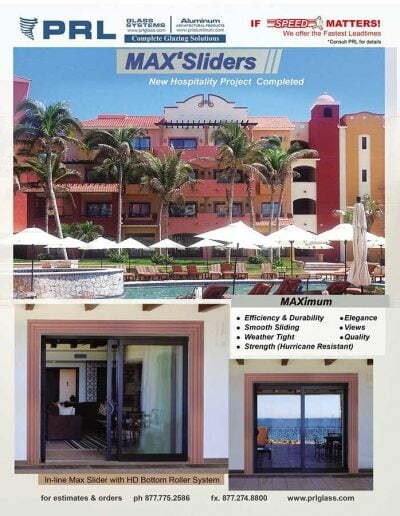 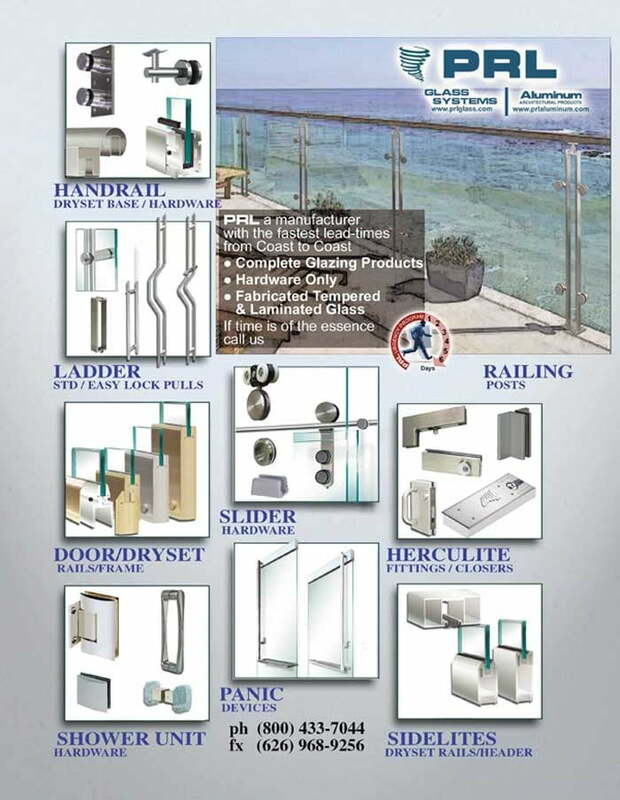 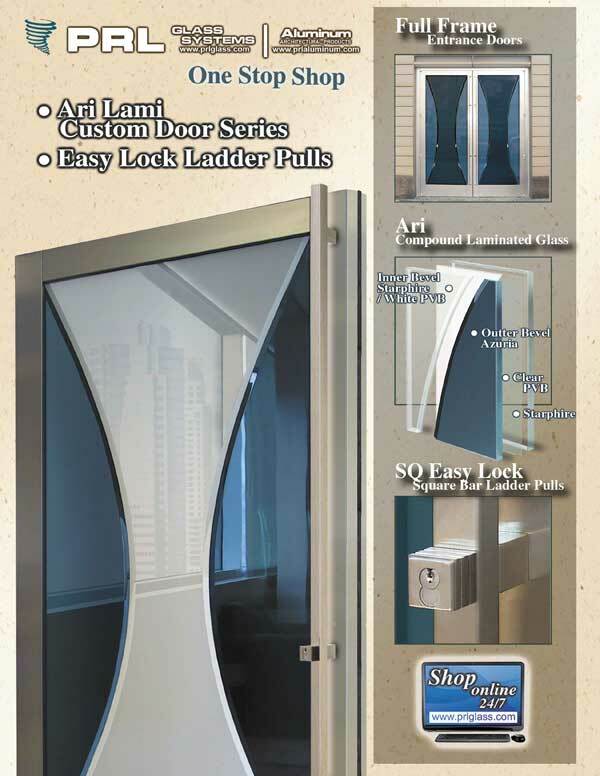 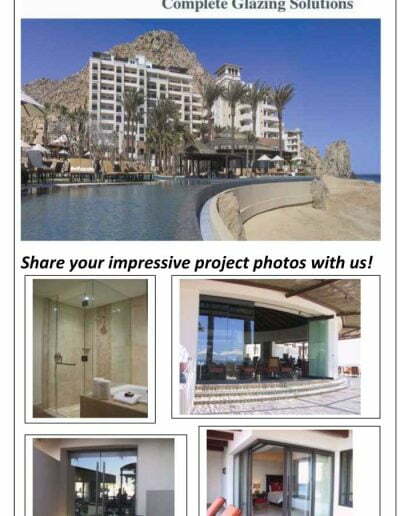 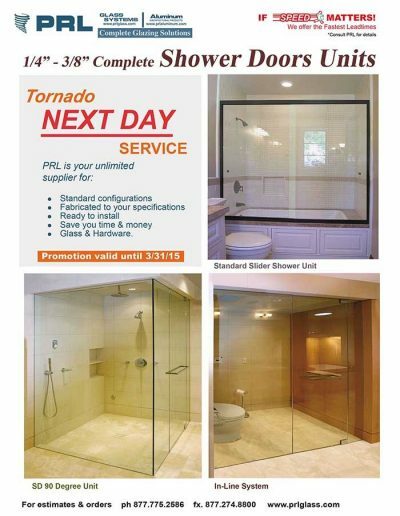 Our Shower Door Division offers complete fabricated heavy shower enclosures that typically ship within 3 to 5 days. 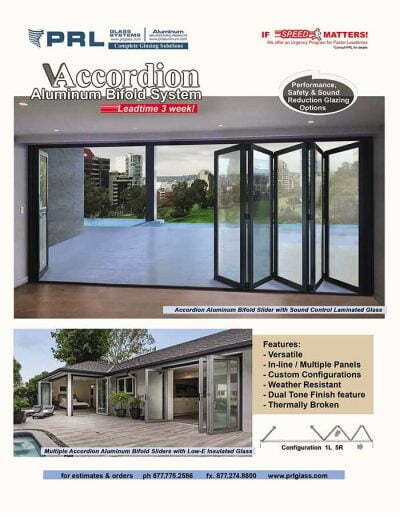 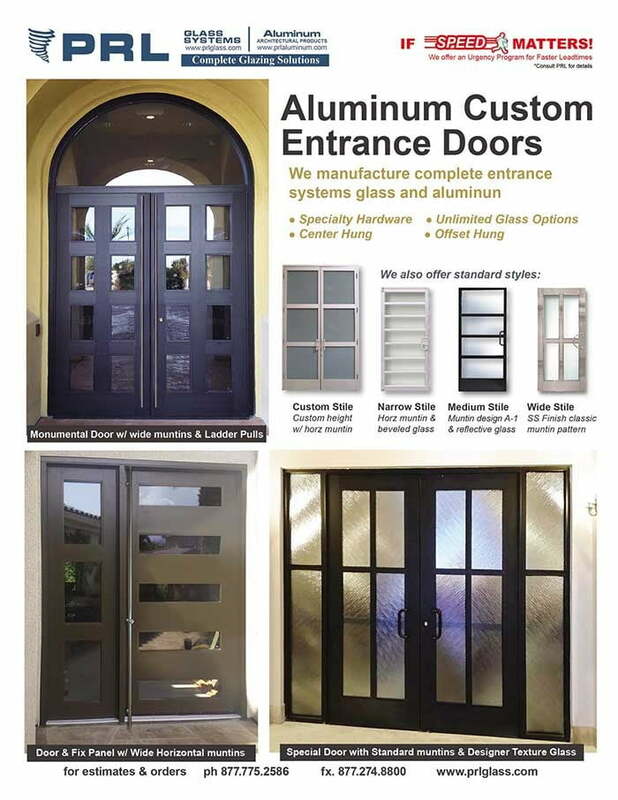 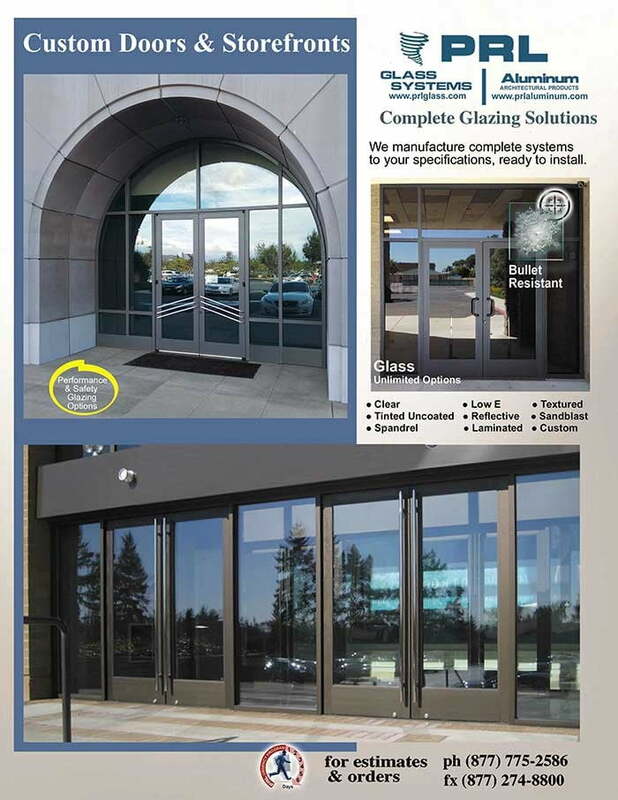 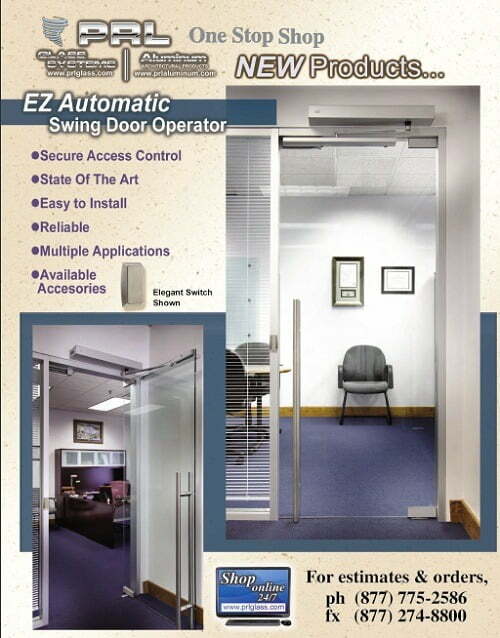 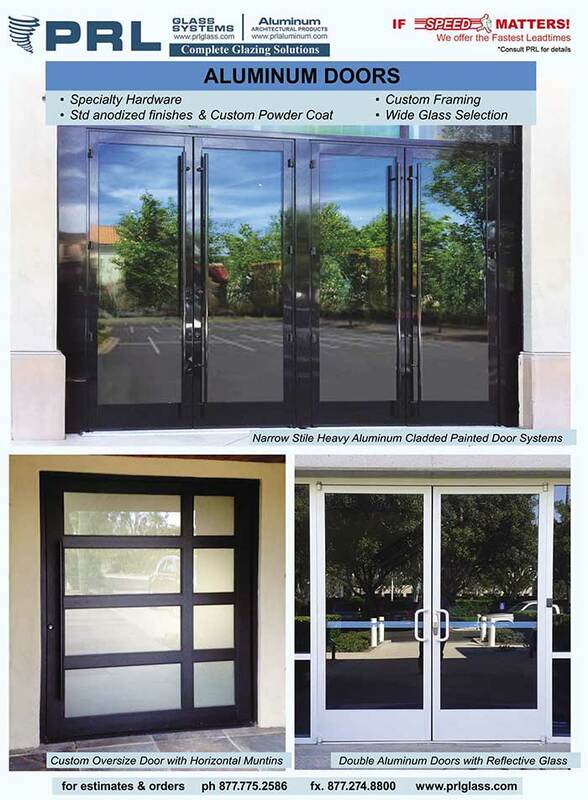 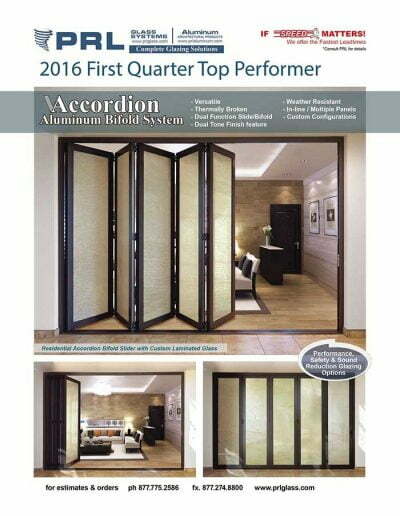 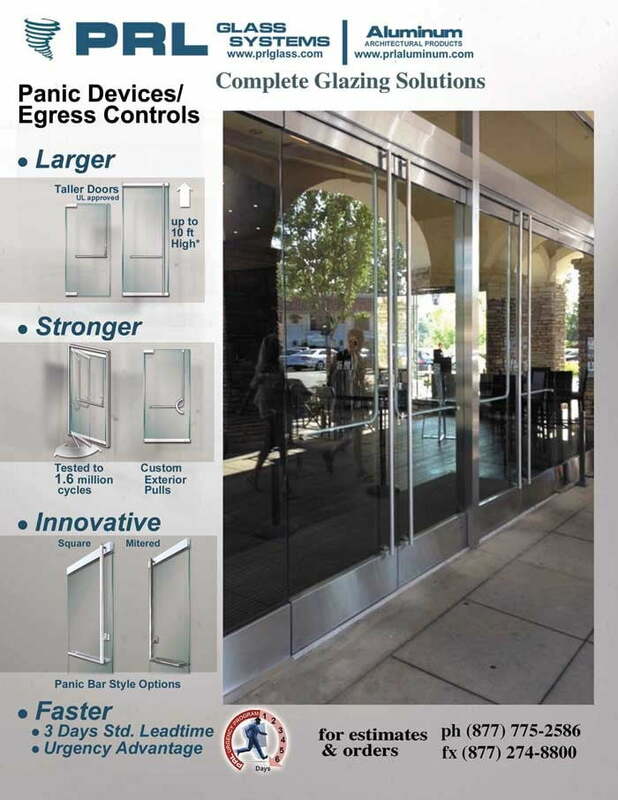 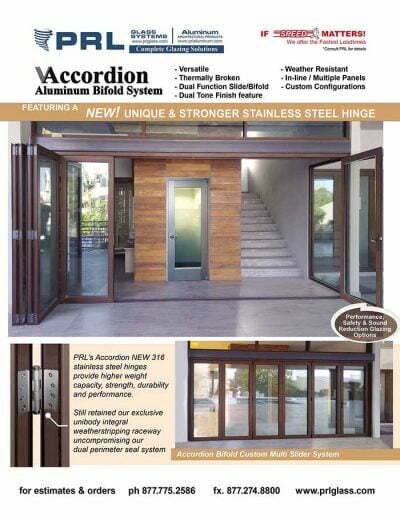 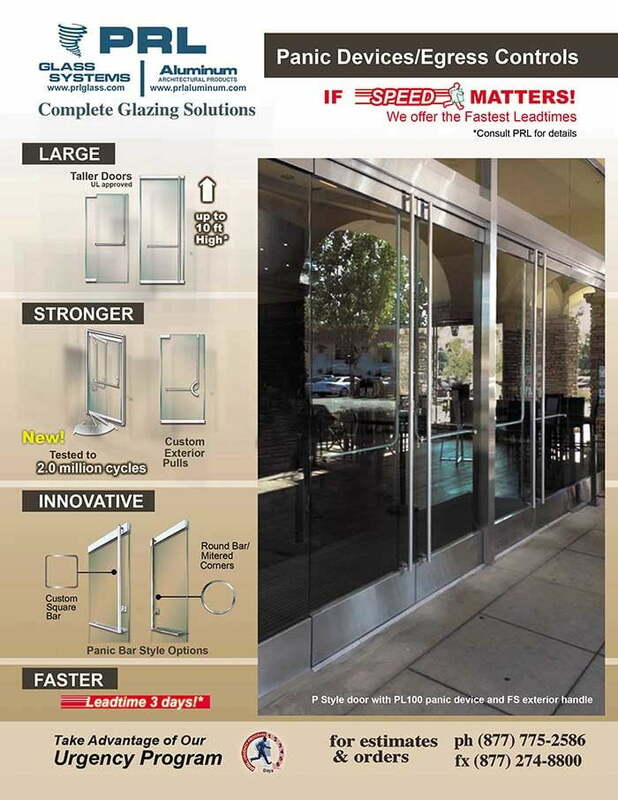 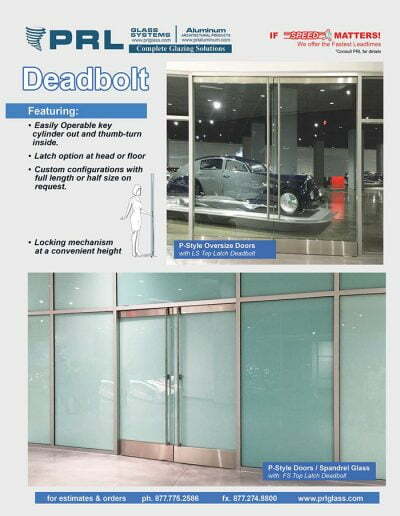 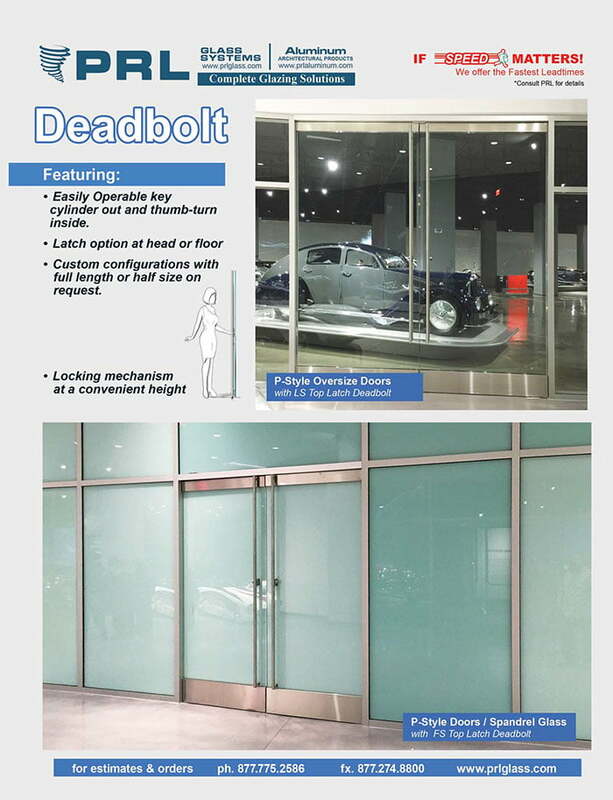 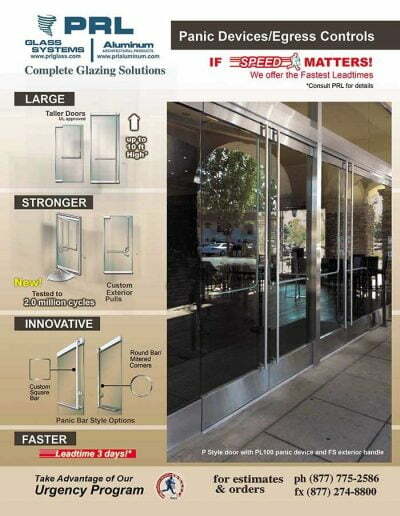 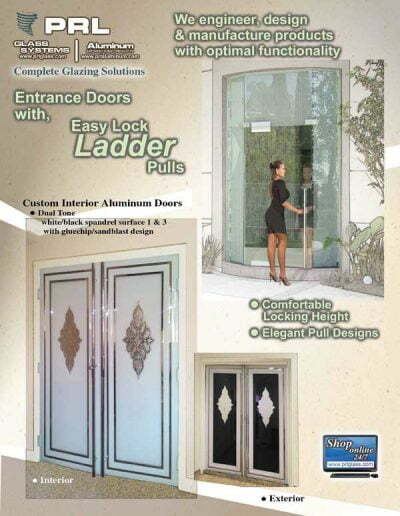 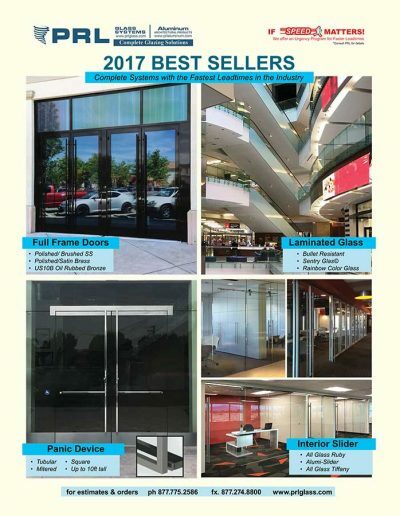 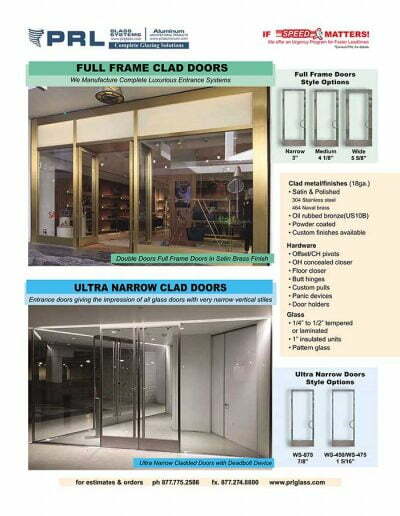 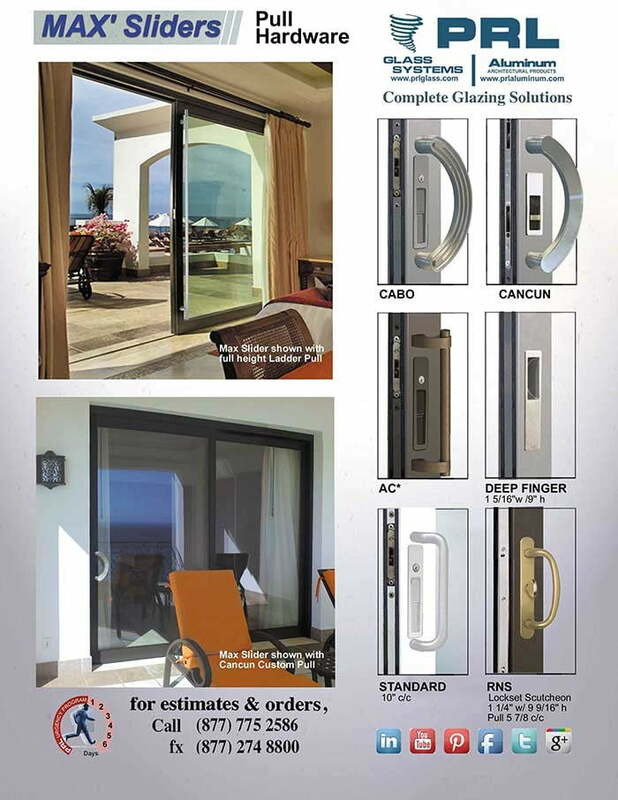 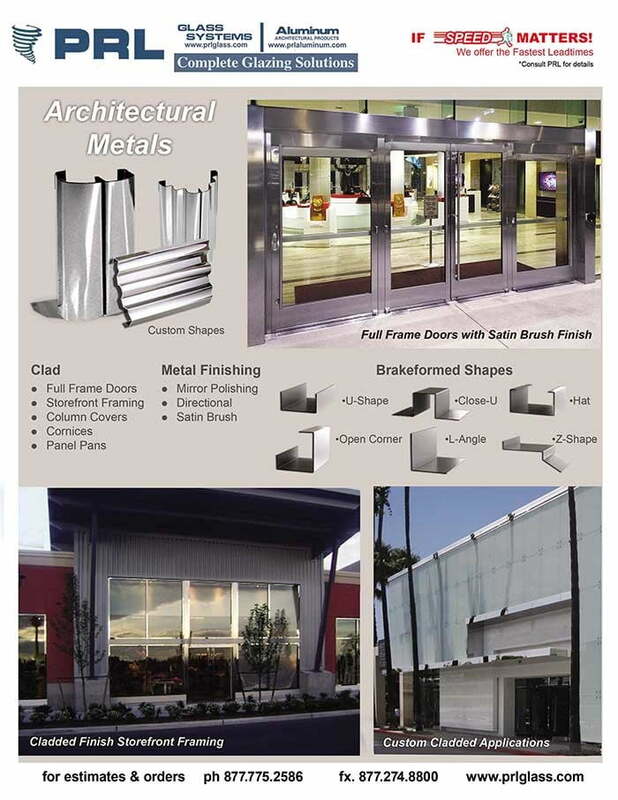 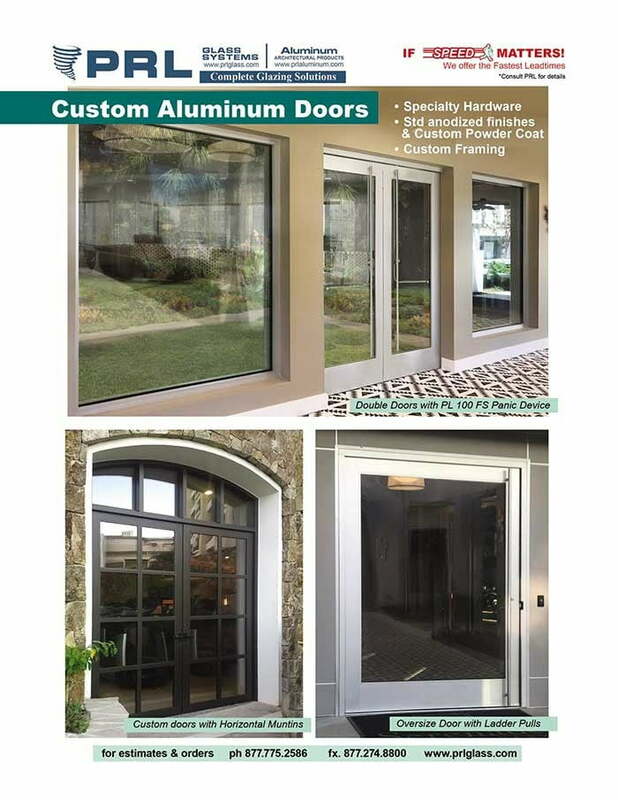 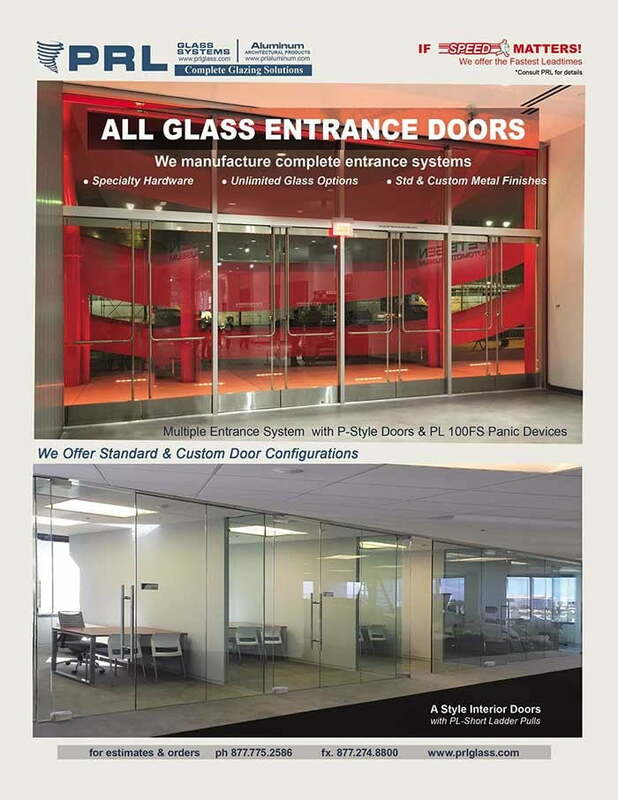 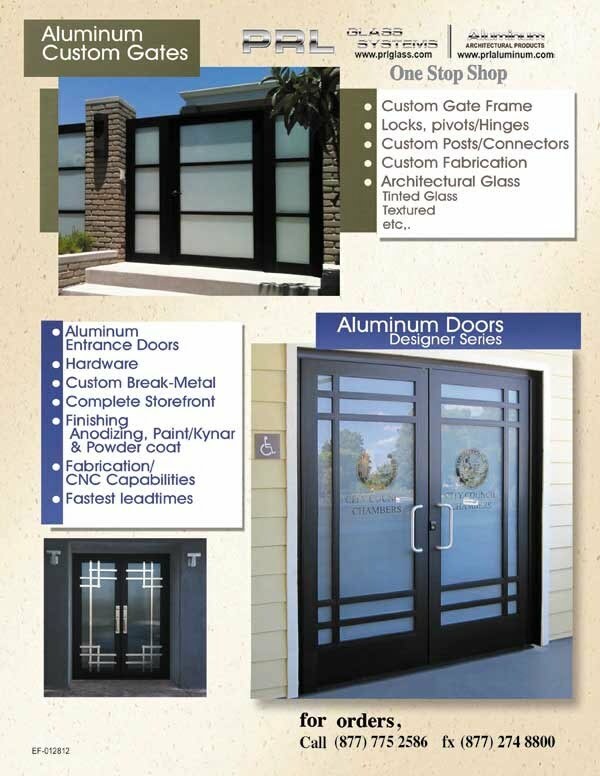 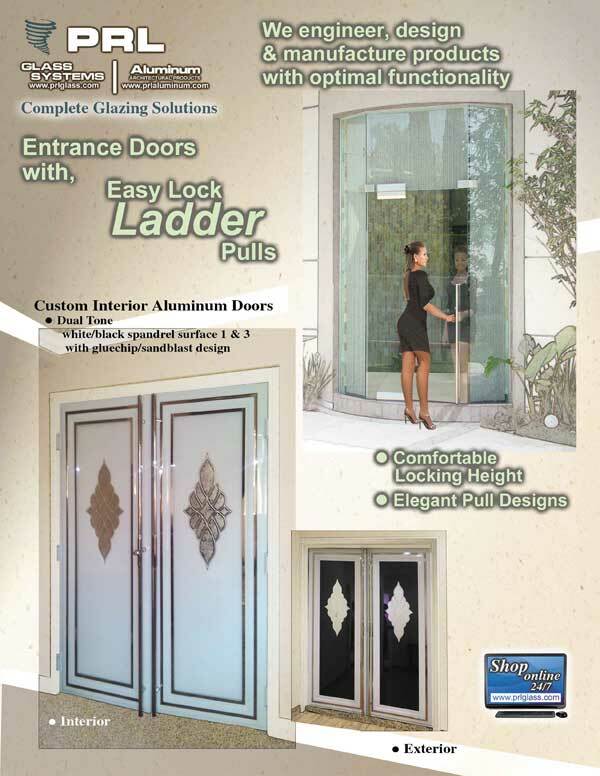 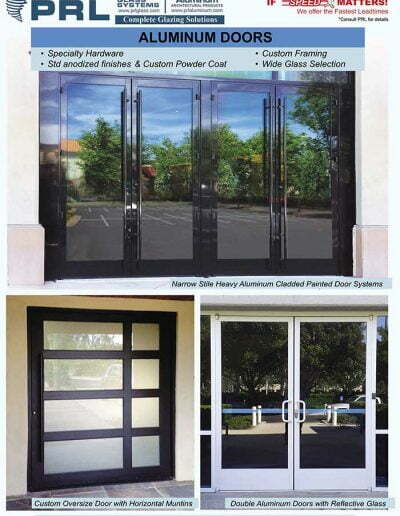 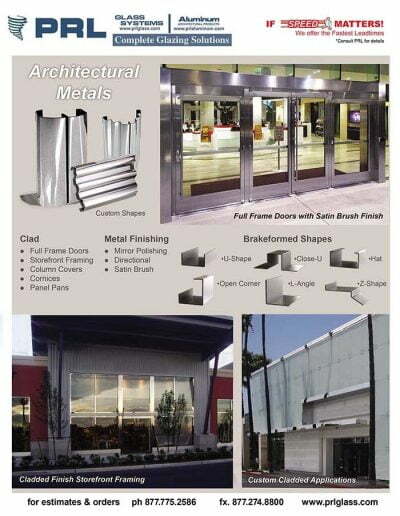 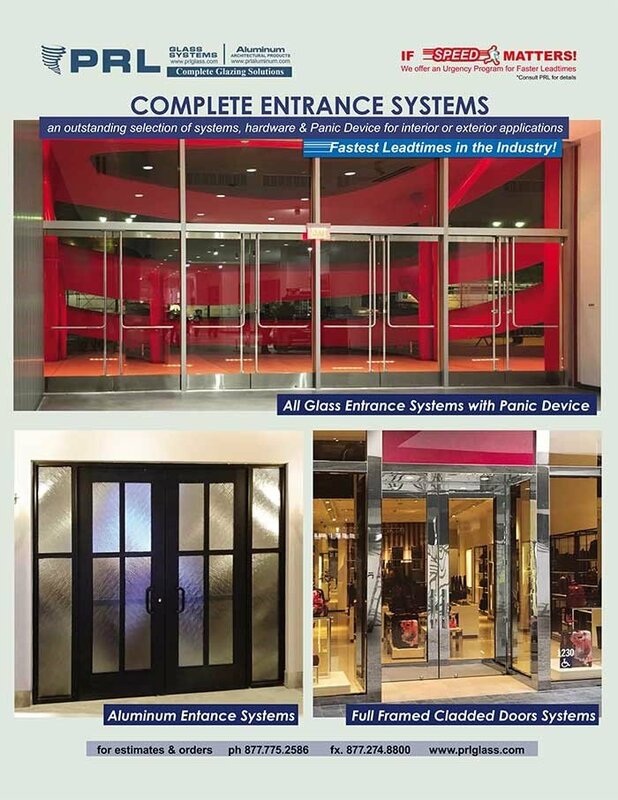 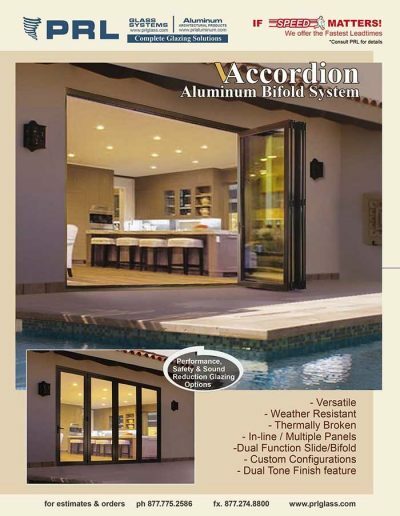 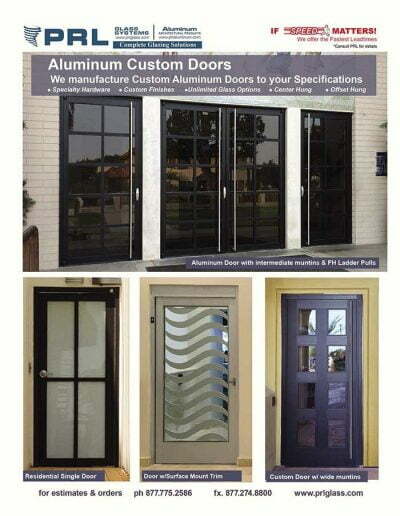 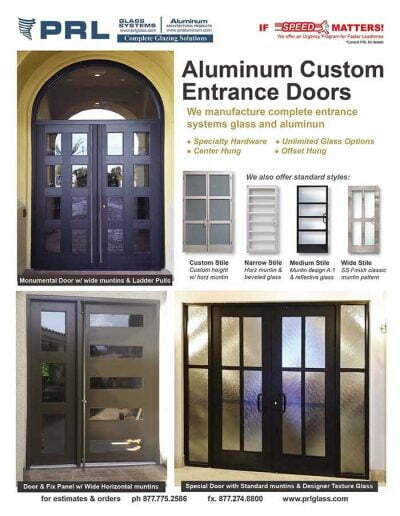 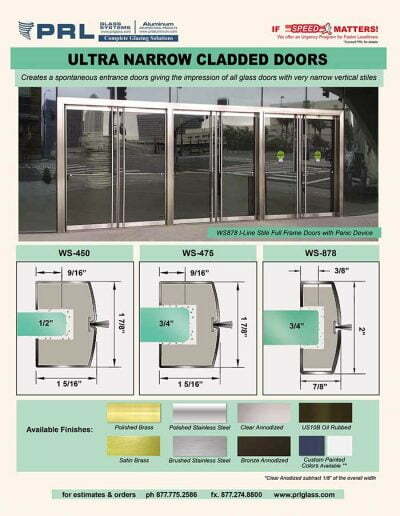 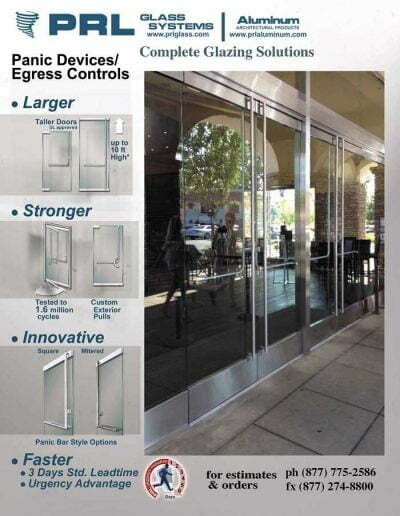 Our All Glass Entrance Door Division (Glass doors) supplies complete door systems, many of which are produced within this same time frame. 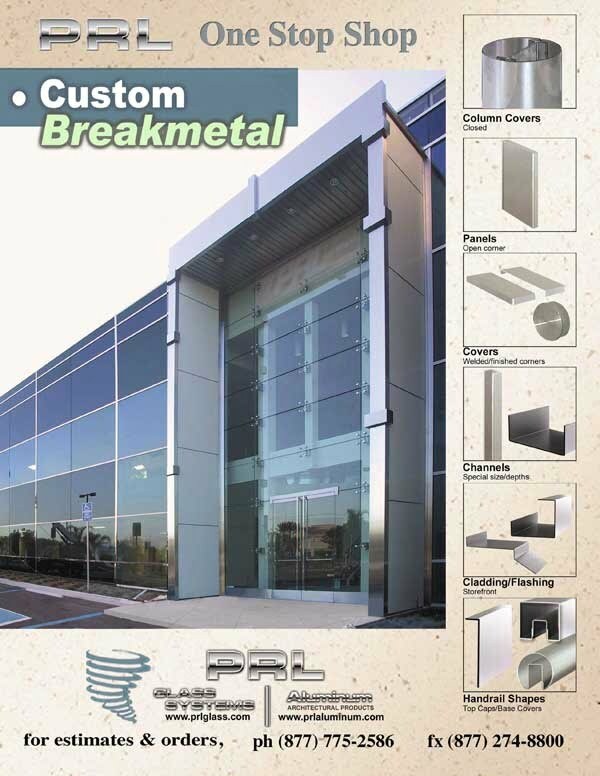 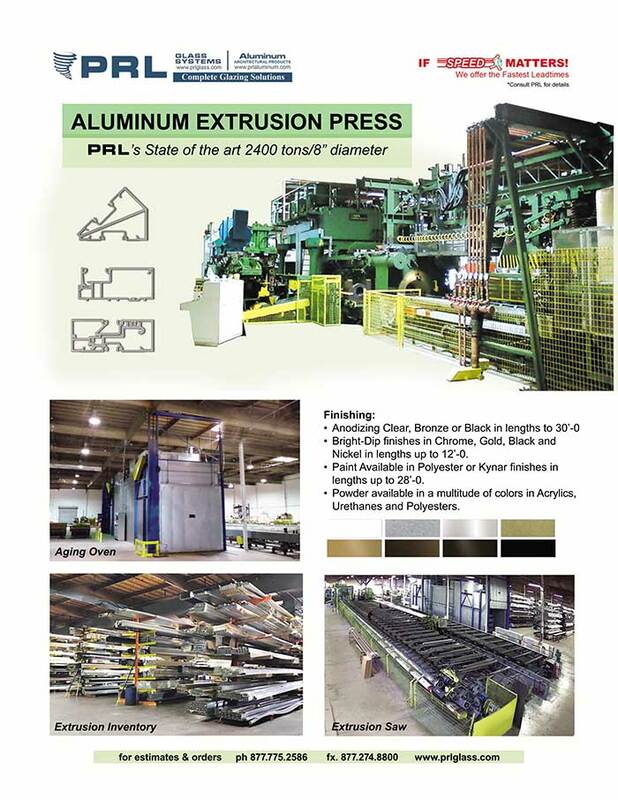 At PRL we are also known for our excellent custom fabrication capabilities. 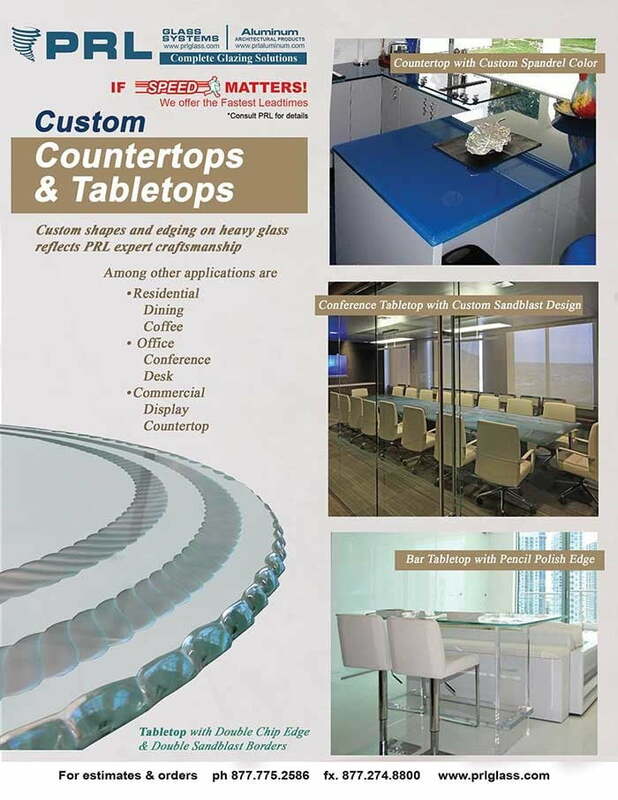 When it comes to intricate notching, pattern cuts, curved shapes and specialty edgework, our superior quality is unsurpassed. 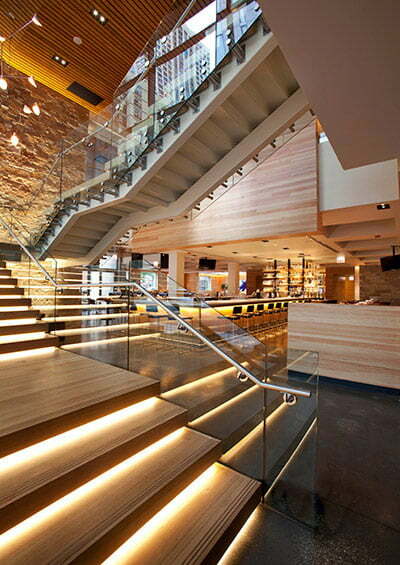 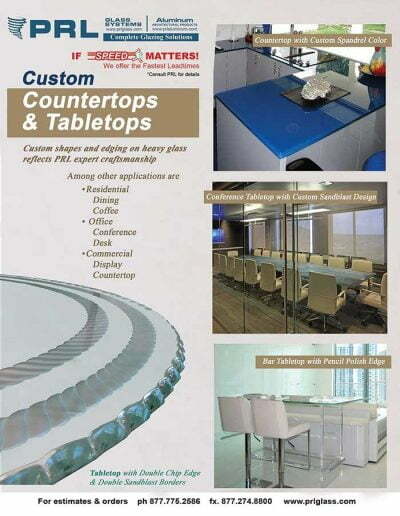 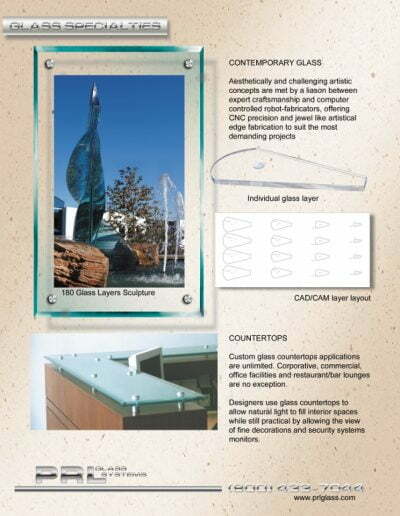 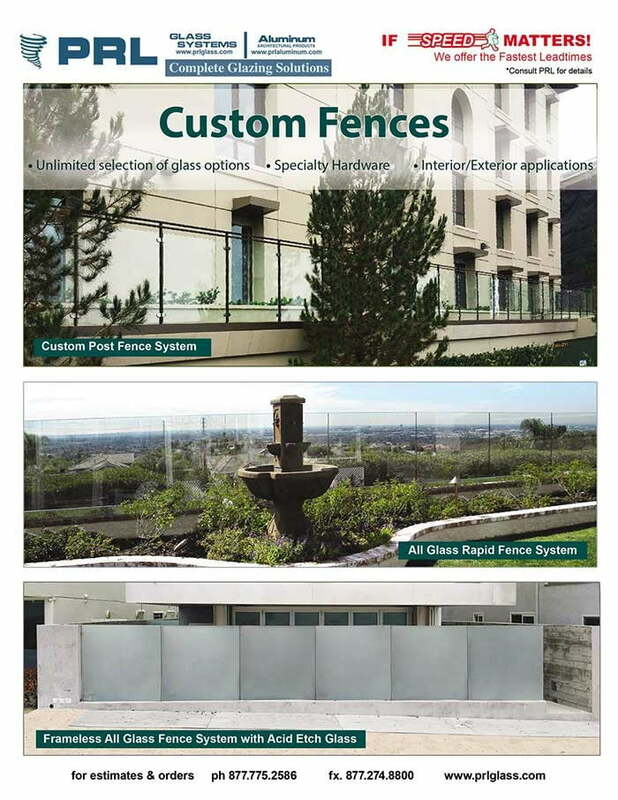 Beveled, Bull-nose, Ogee, Waterfall and Oceansurf are some of our custom edges for heavy glass tables. 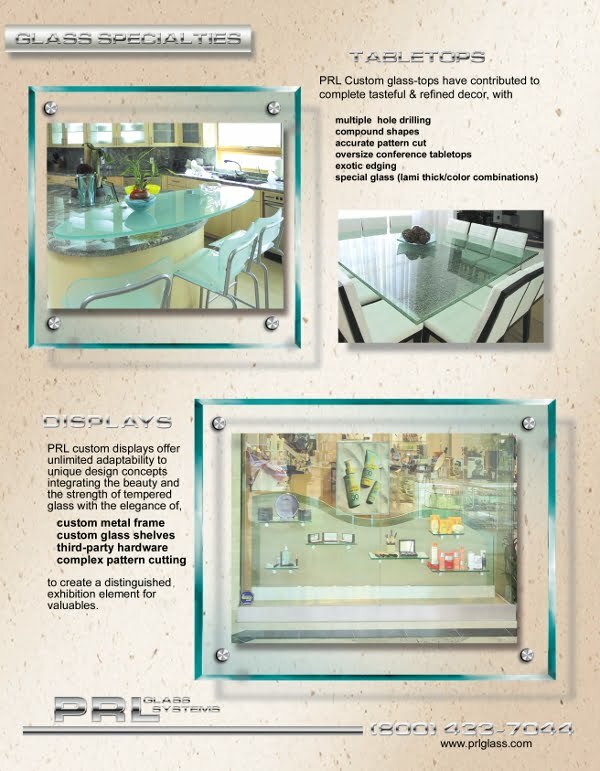 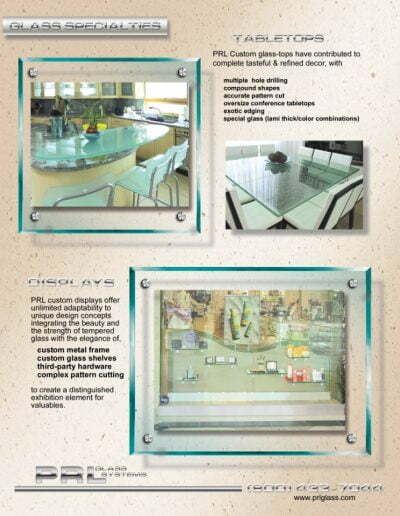 We also supply “Cracked” laminated glass for tables and decorator applications.